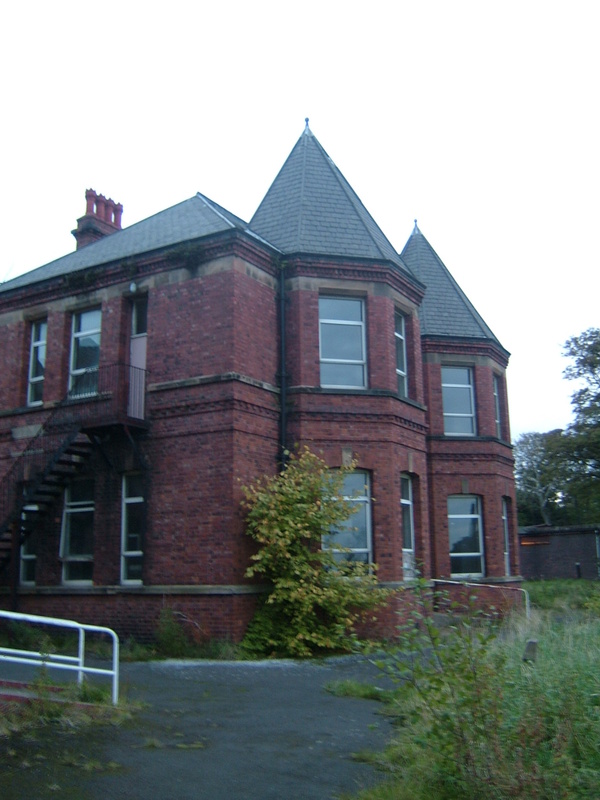 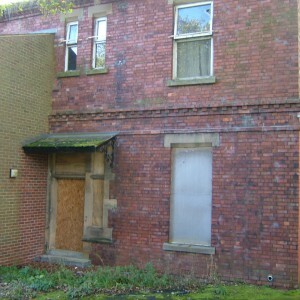 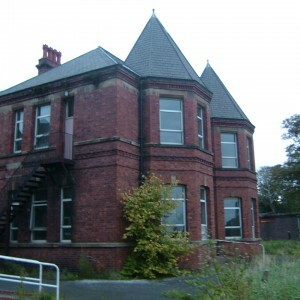 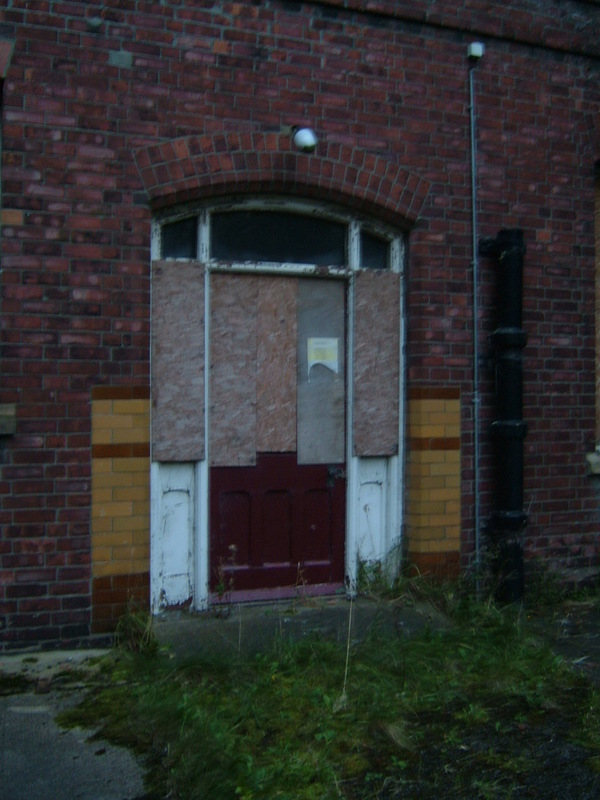 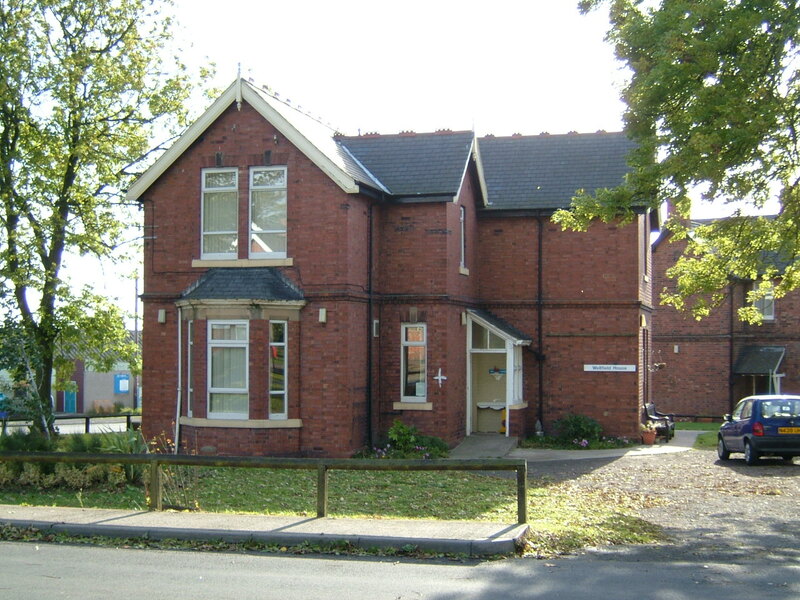 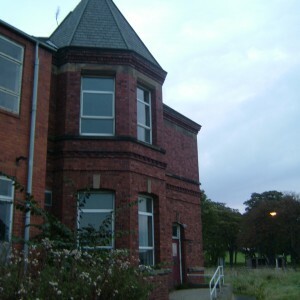 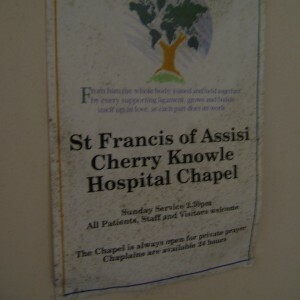 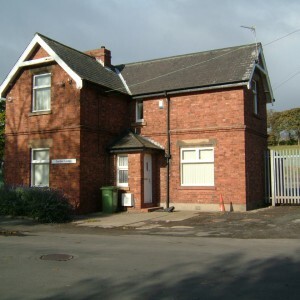 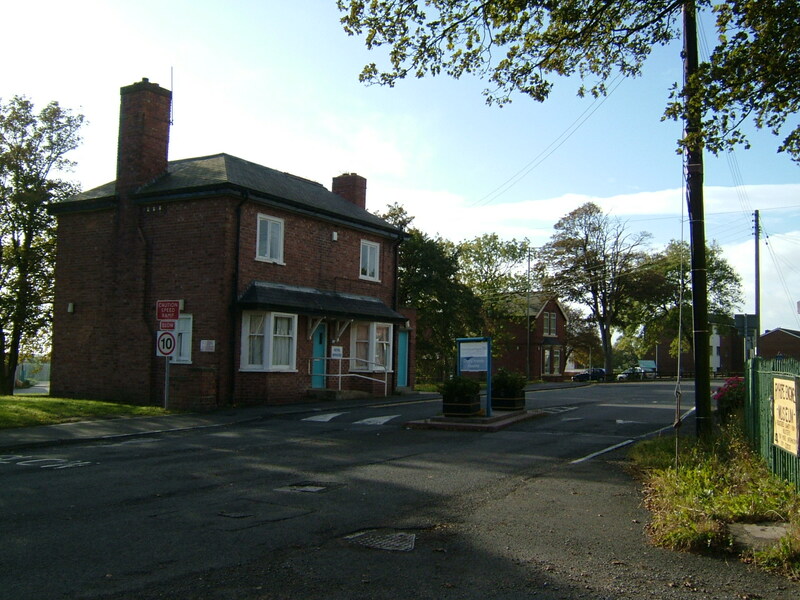 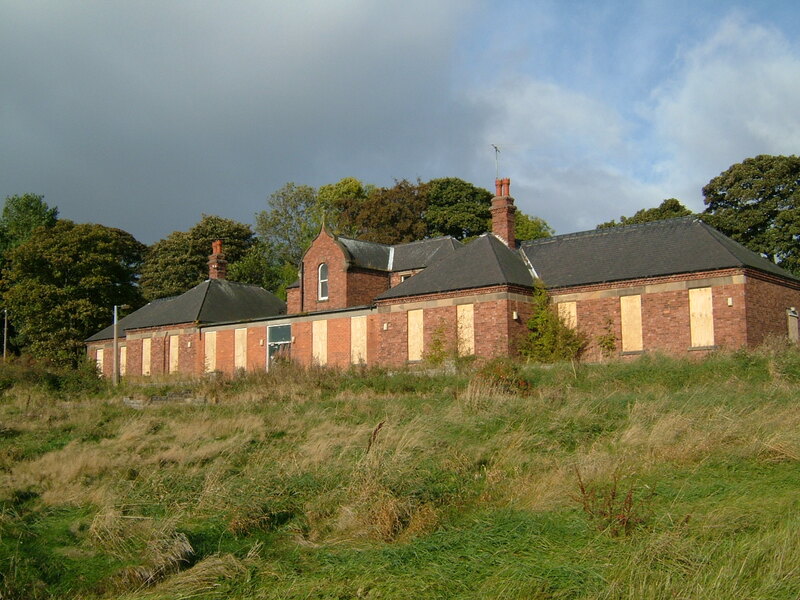 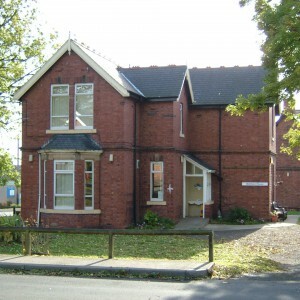 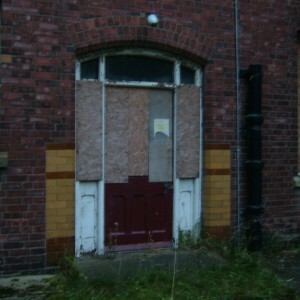 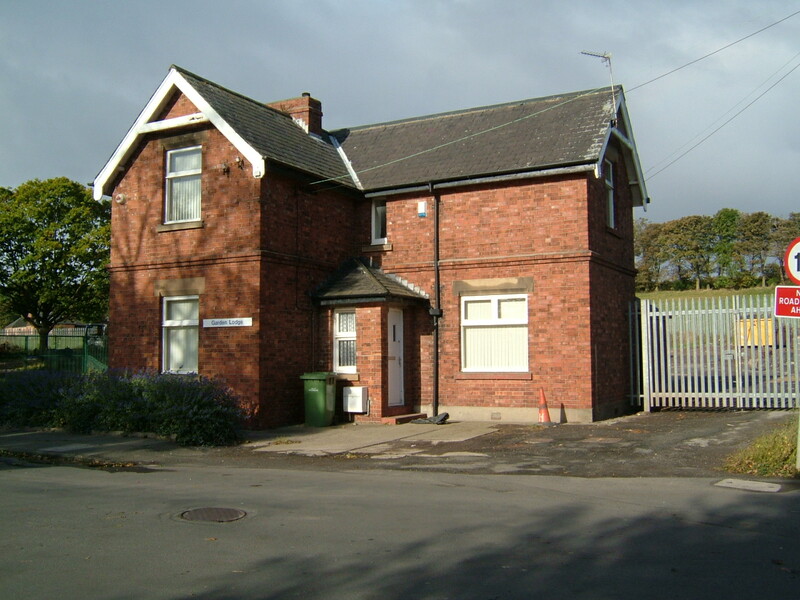 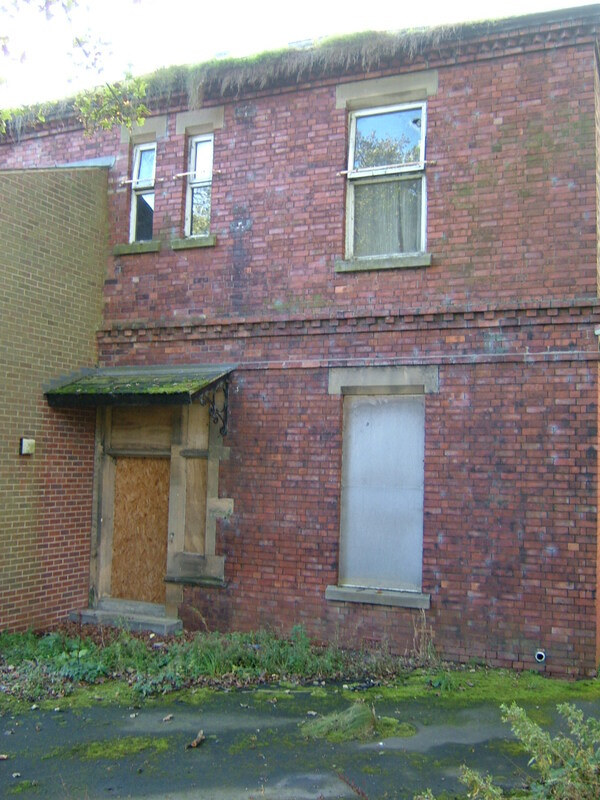 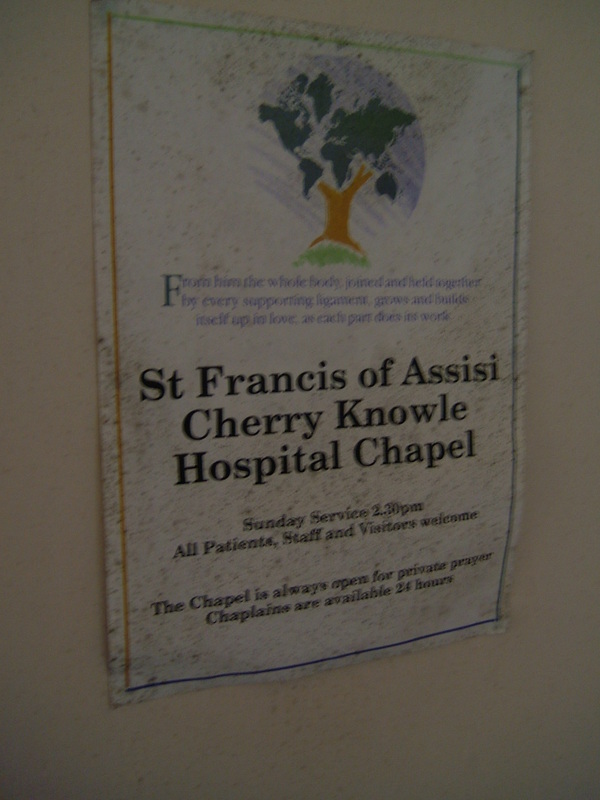 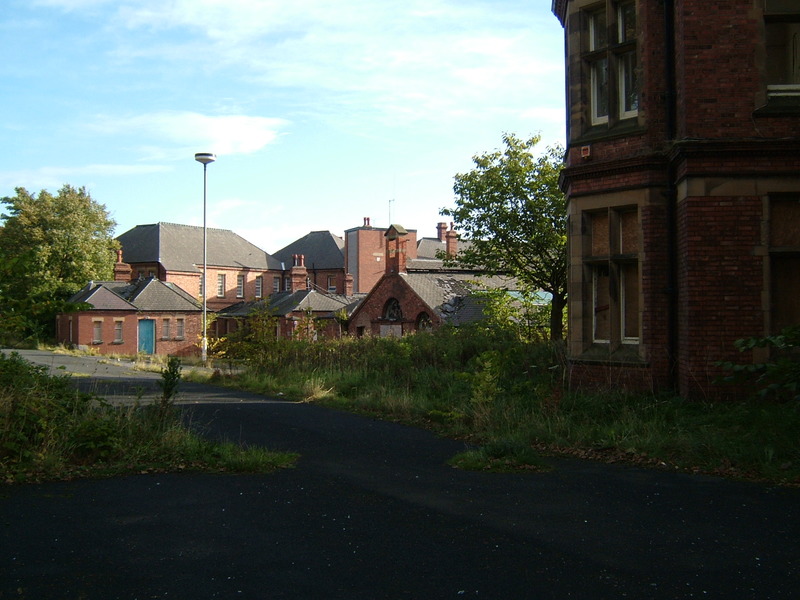 Closed: 1998 (main building), although part of hospital remains in use. 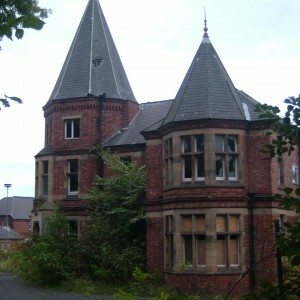 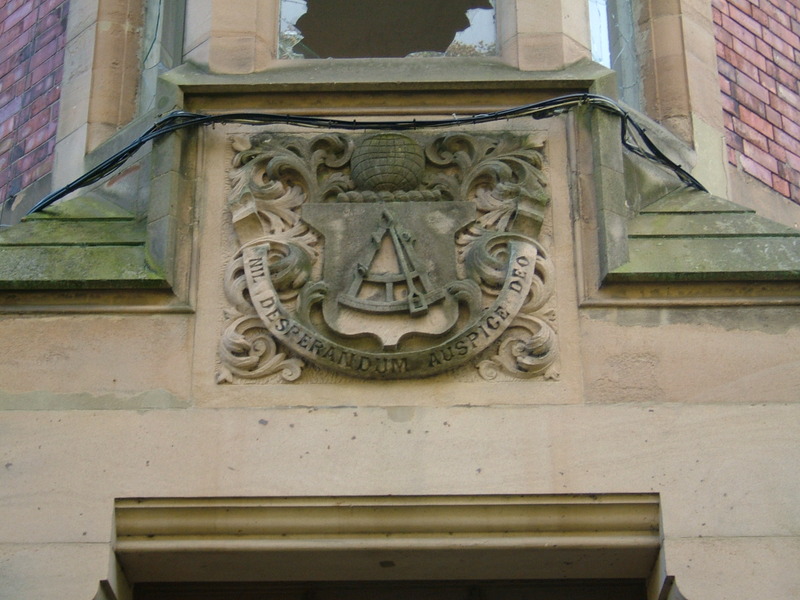 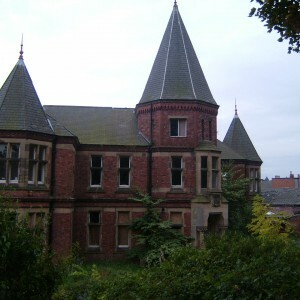 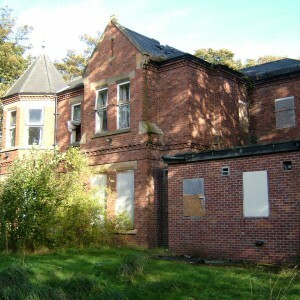 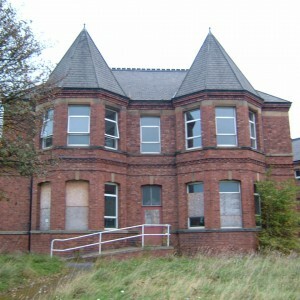 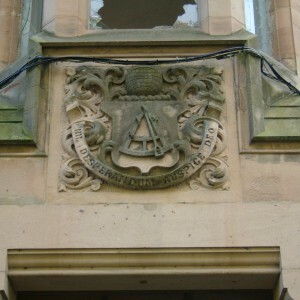 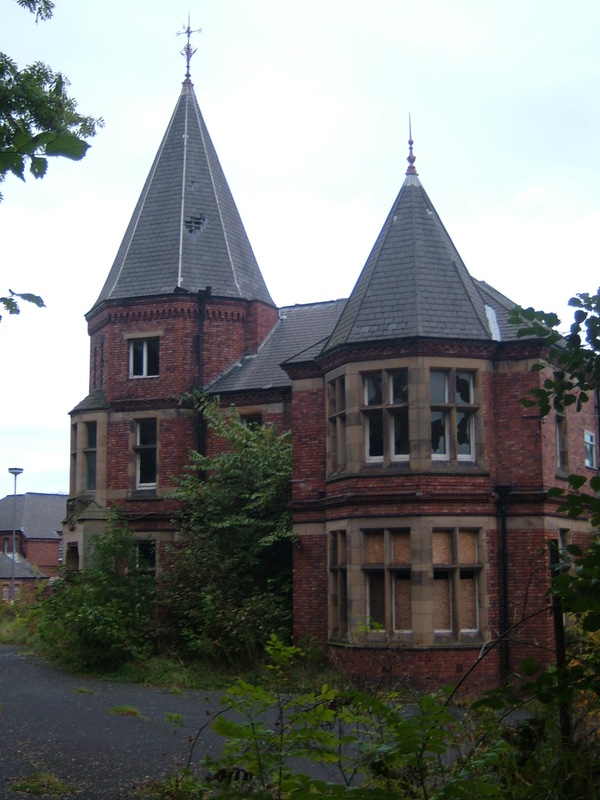 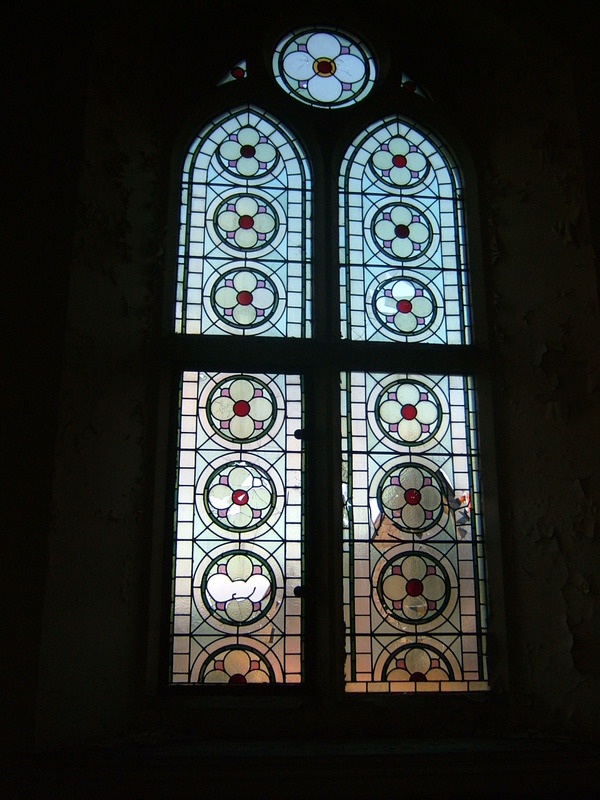 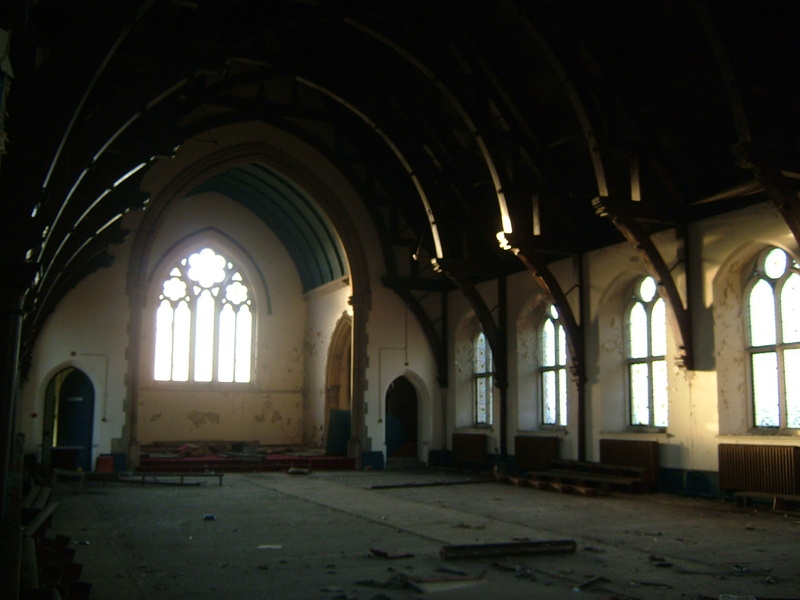 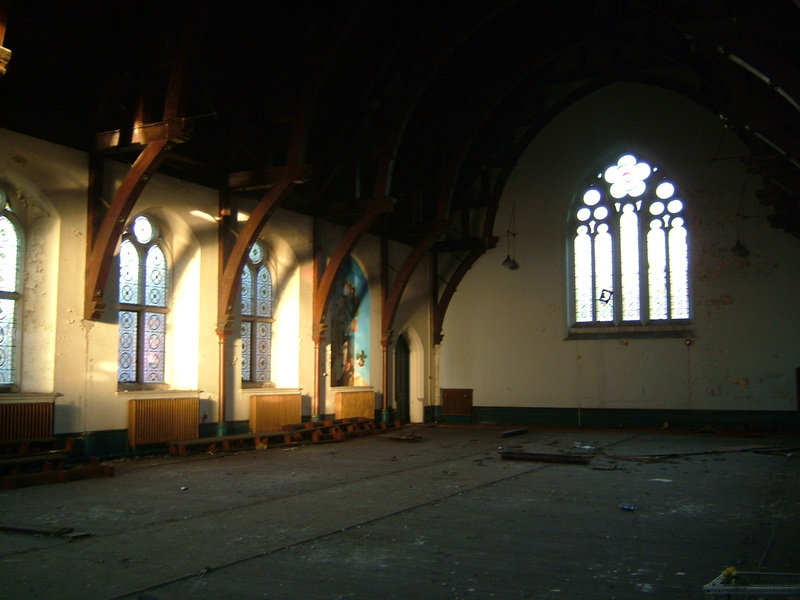 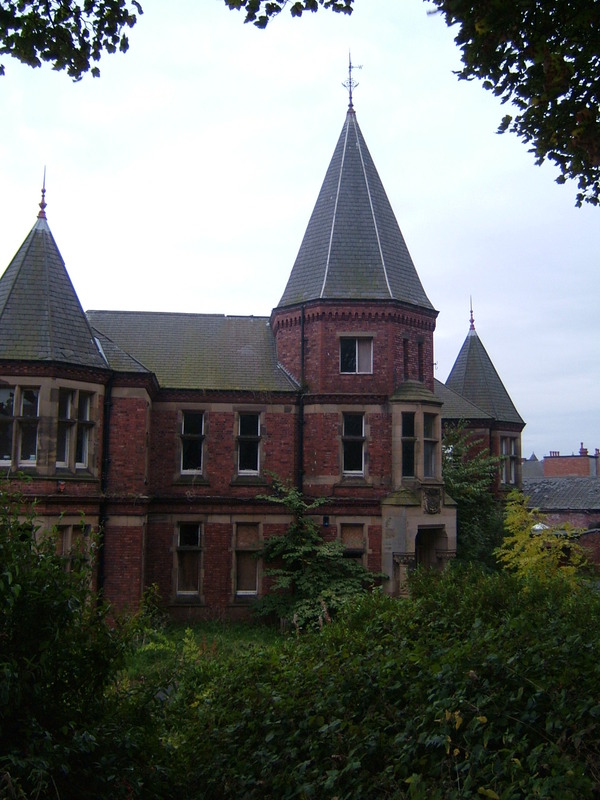 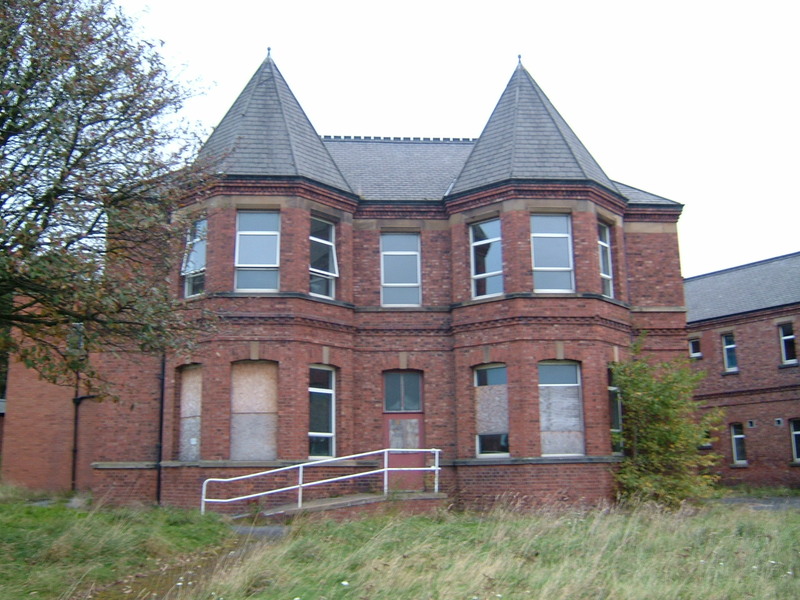 Sunderland County Borough began construction of its own asylum during 1893, completed in 1895. 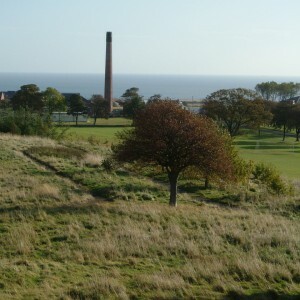 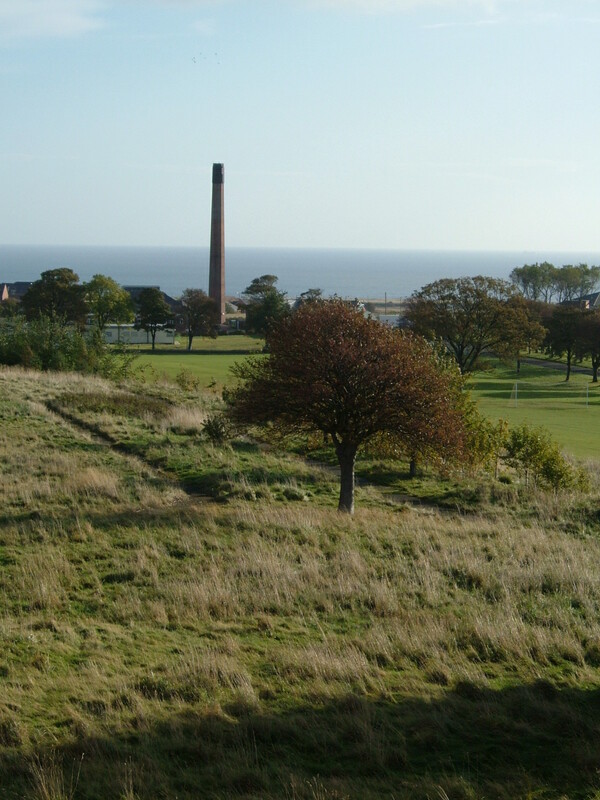 The site chosen consisted of sloping land outside the village of Ryhope, with views across to the North Sea. 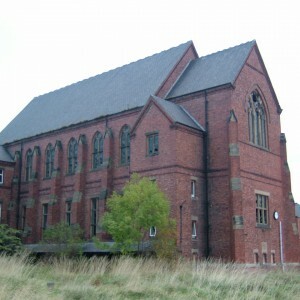 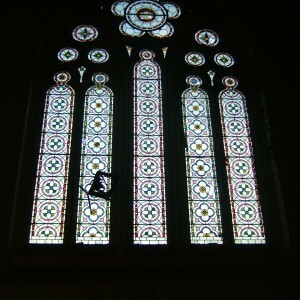 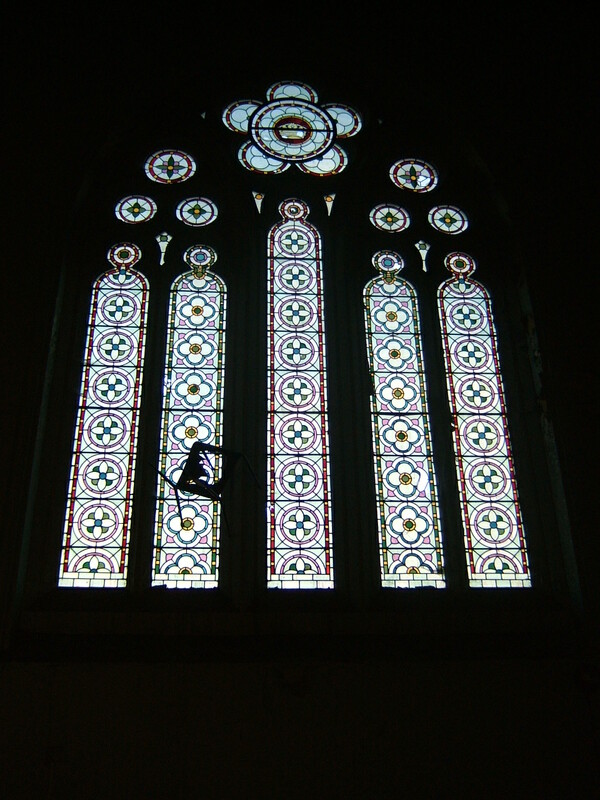 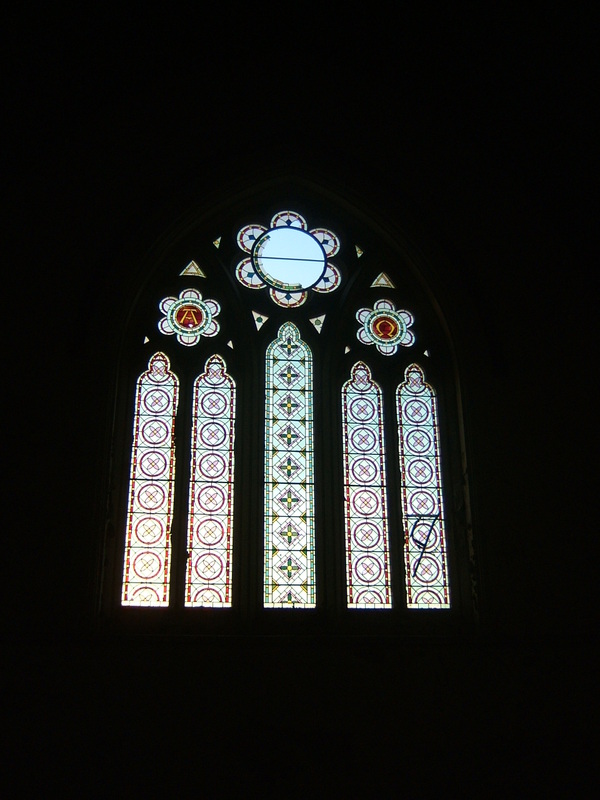 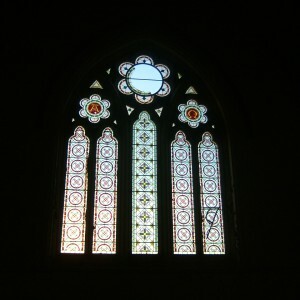 George Hine was chosen as Architect and produced a compact arrow layout consisting of six blocks of wards and the usual facilities including combined recreation hall and chapel in the centre of the south elevations. 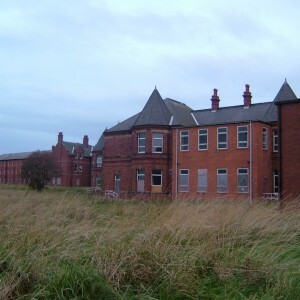 Other accomodation included a nurse’s block to the west, lodge cottage, terraced cottages for married attendants, a Superintendents residence, Isolation Hospital, and a villa block which was added in 1902. 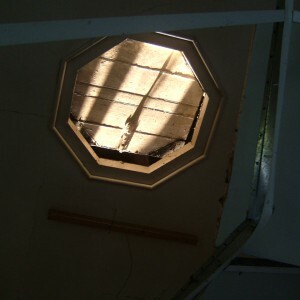 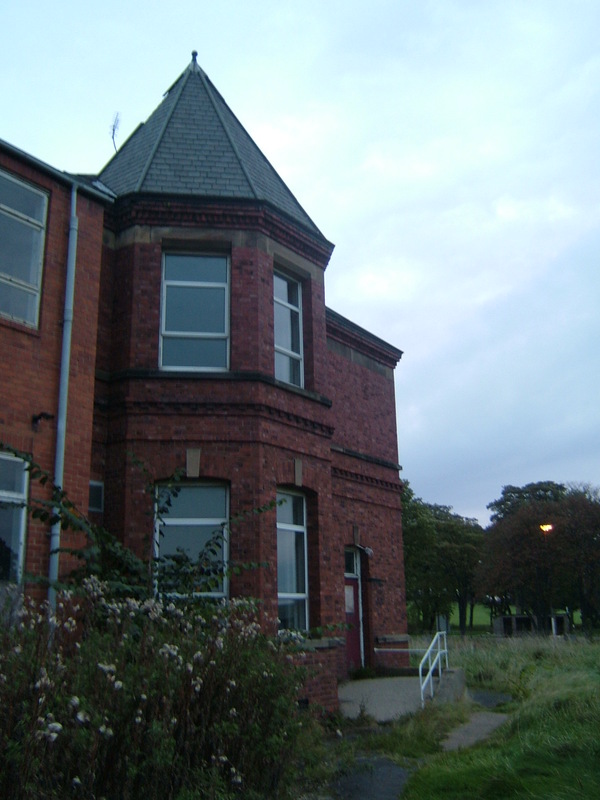 The administration block is notable for it’s unusual triangular plan. 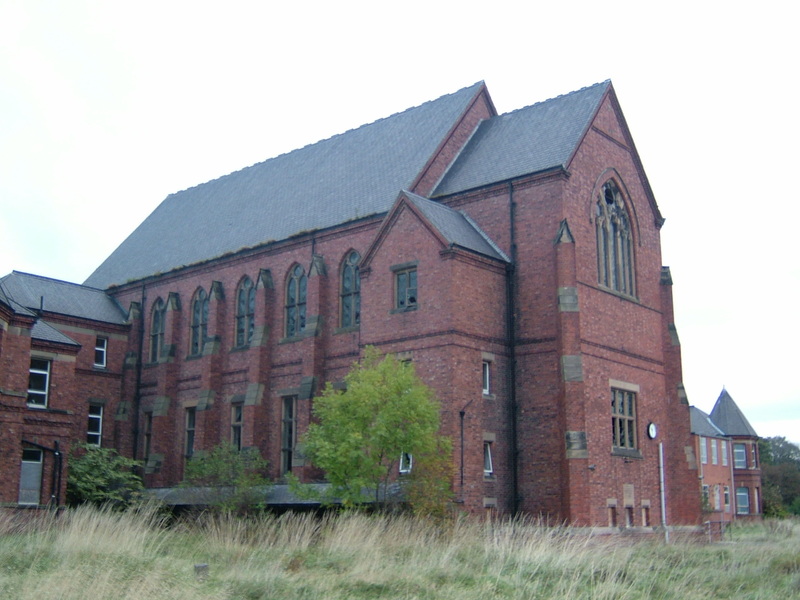 The building was designed on a compact arrow plan and constructed from red brick with stone dressings and slate roofs with distinctive caps over the bay windows, characteristic of Hine’s early commissions. 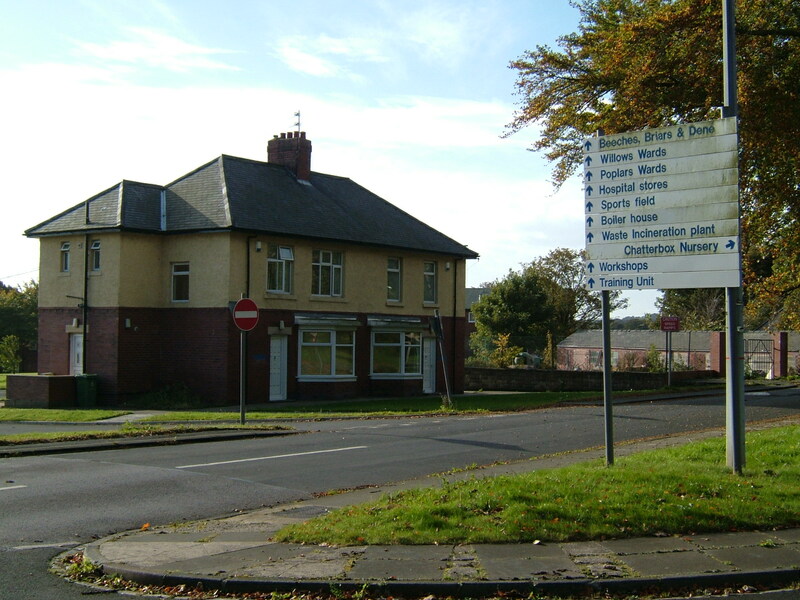 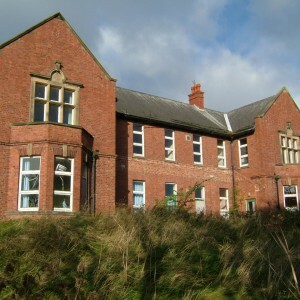 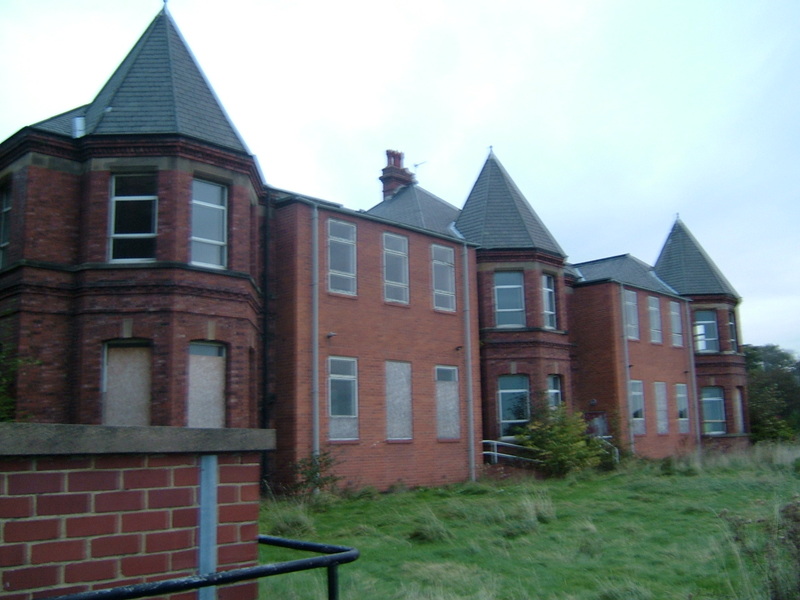 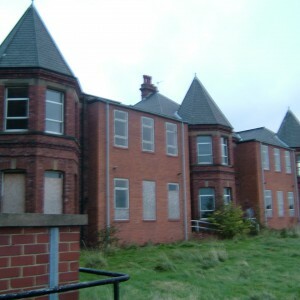 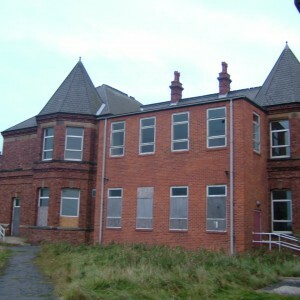 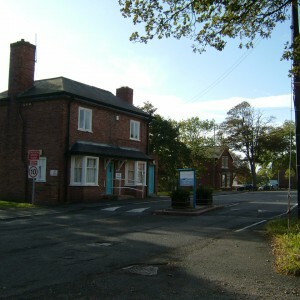 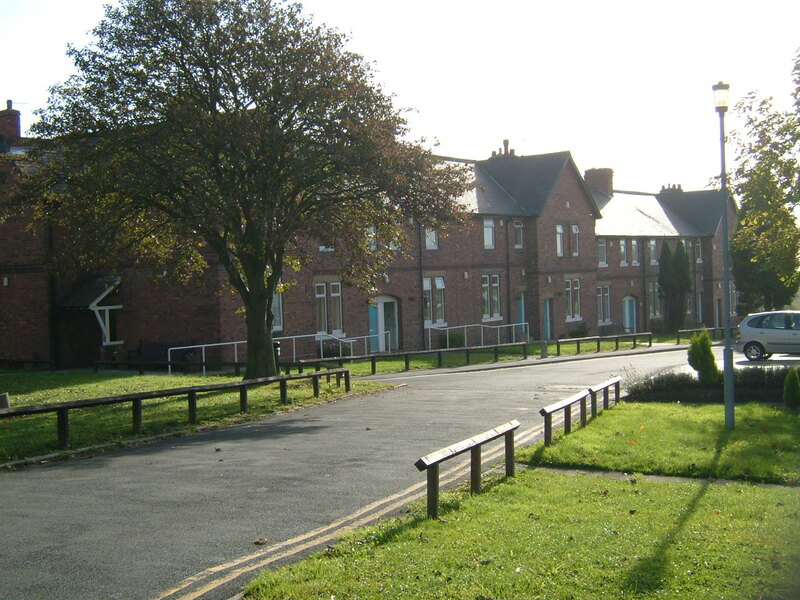 Further developments took place during the 1930’s and after with the construction of an admissions hospital and convalescent villas to the south, extended Nurse’s home to the west of the main building and the wartime emergency medical service huts close to the main gate, later Ryhope General hospital. 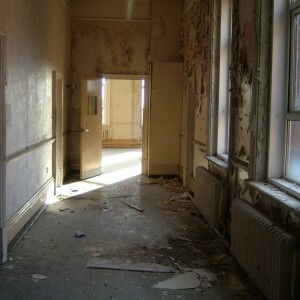 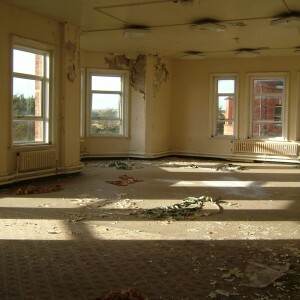 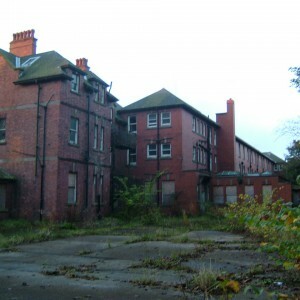 The site became Cherry Knowle hospital on being incorporated into the National Health Service in 1948. 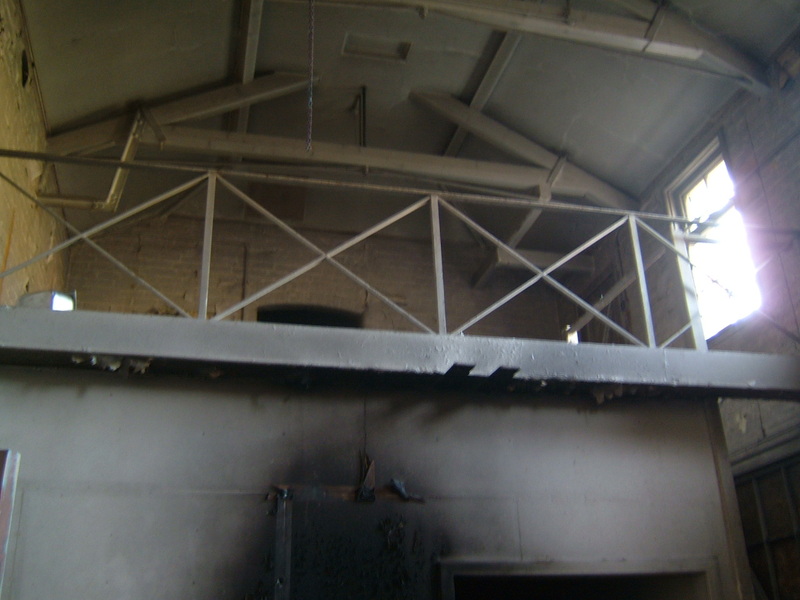 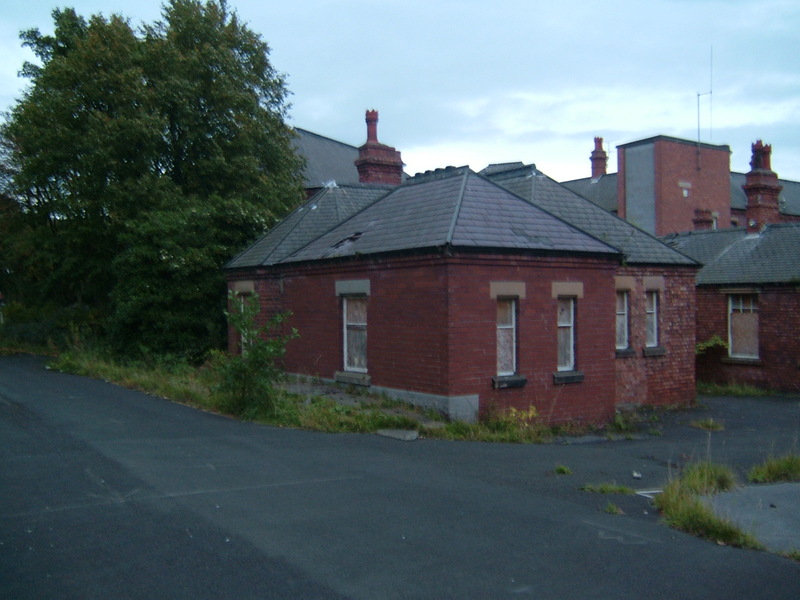 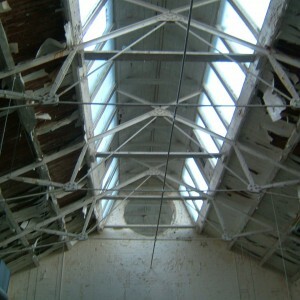 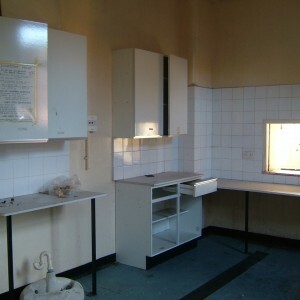 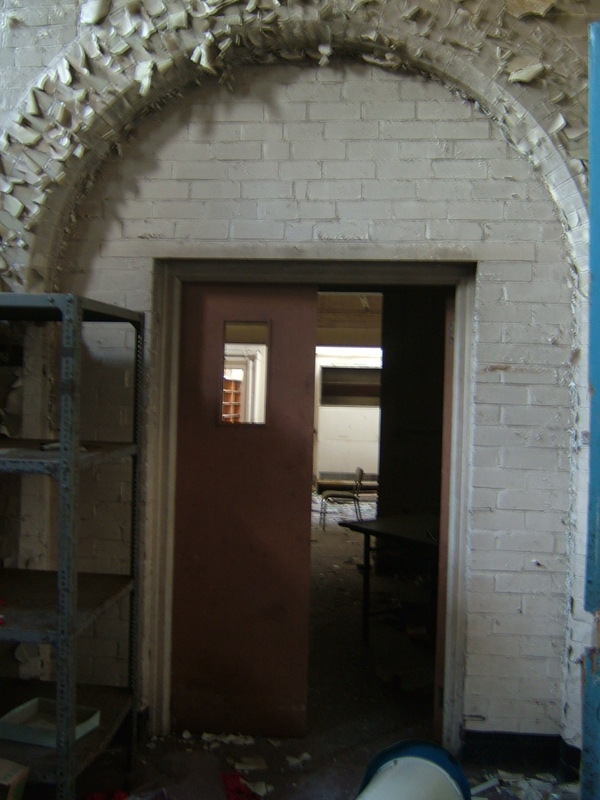 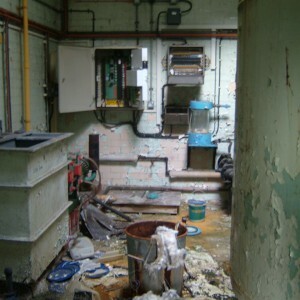 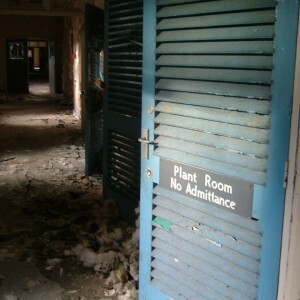 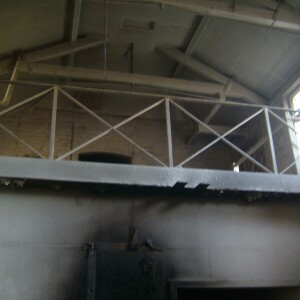 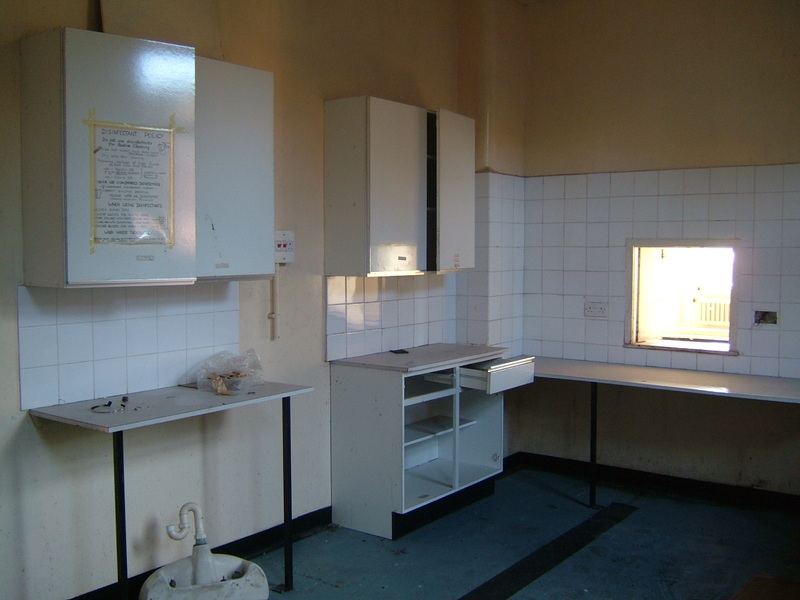 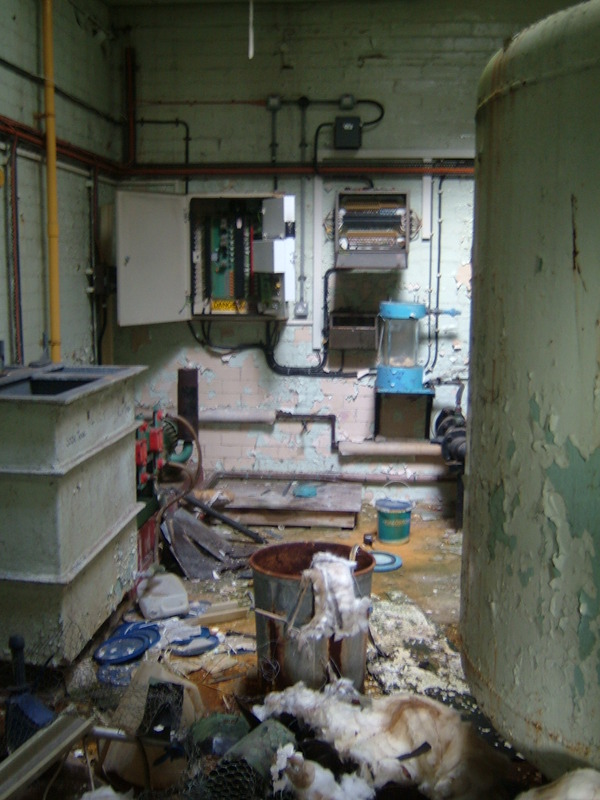 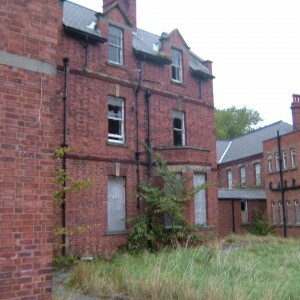 Later developments under the NHS included a new boiler house and further staff accomodation within the grounds. 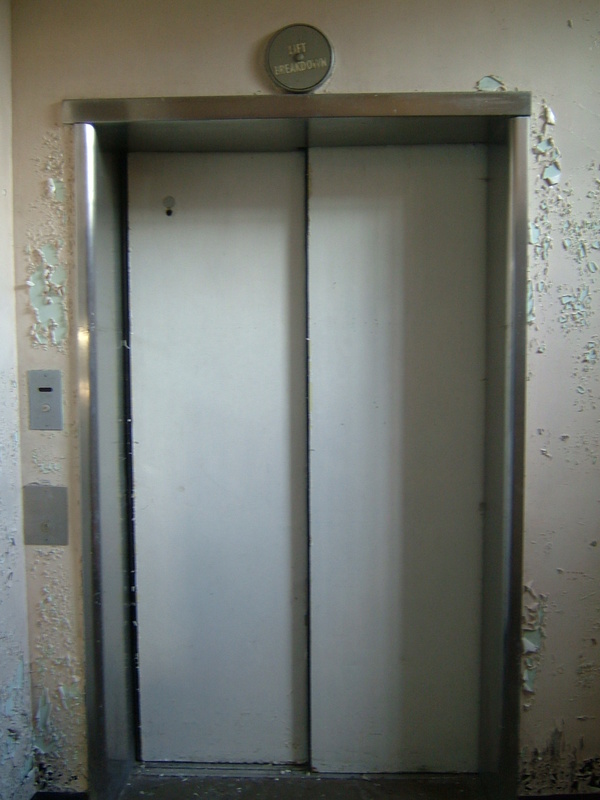 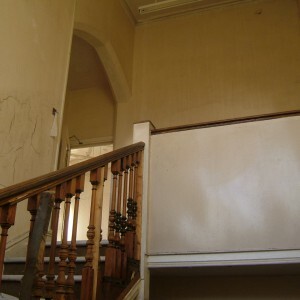 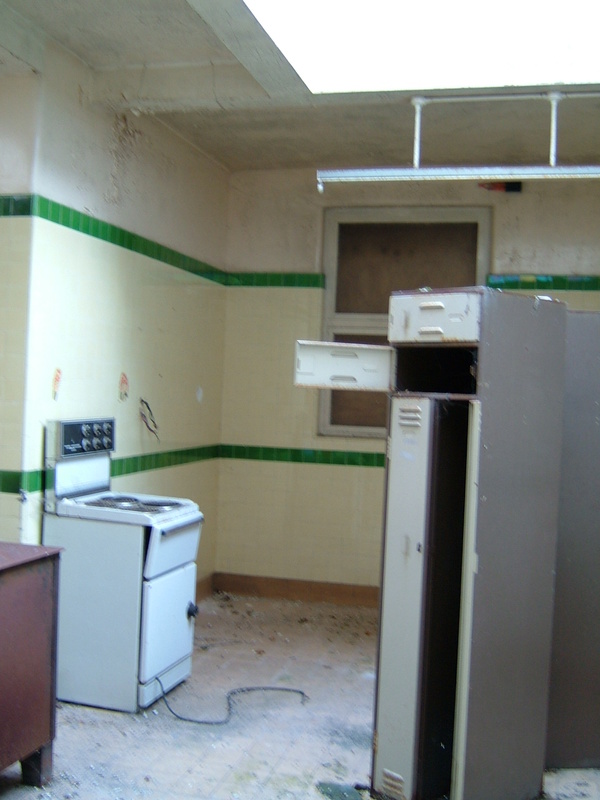 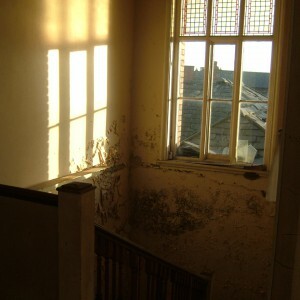 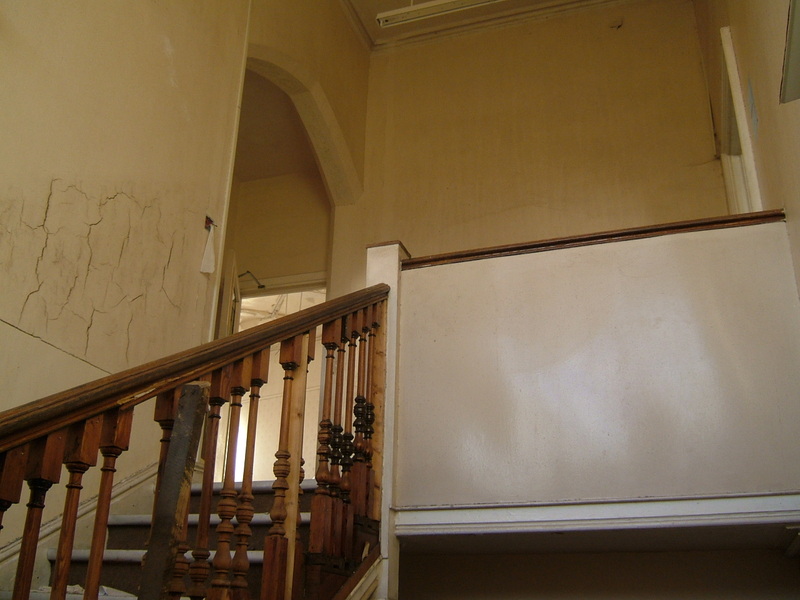 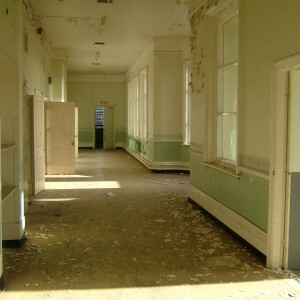 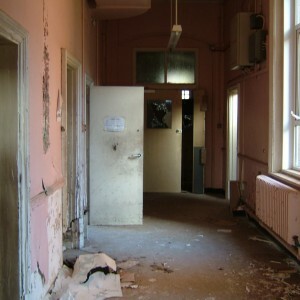 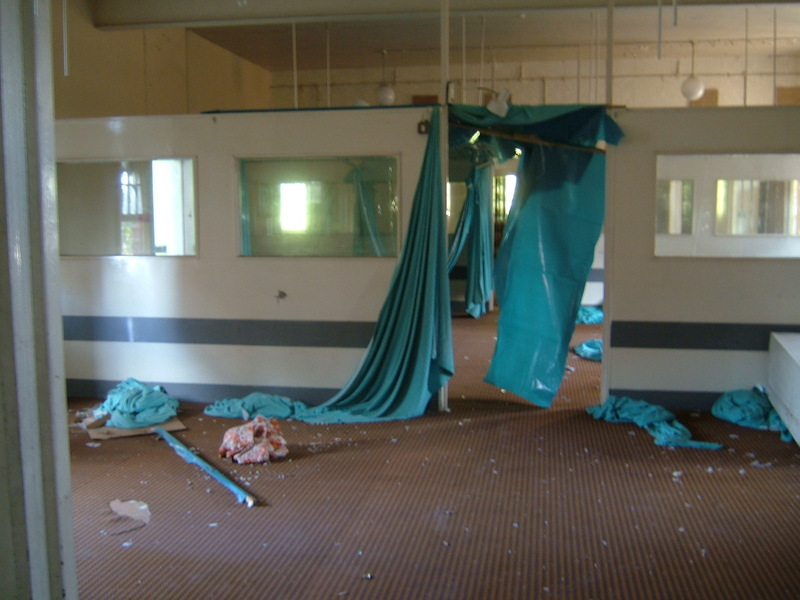 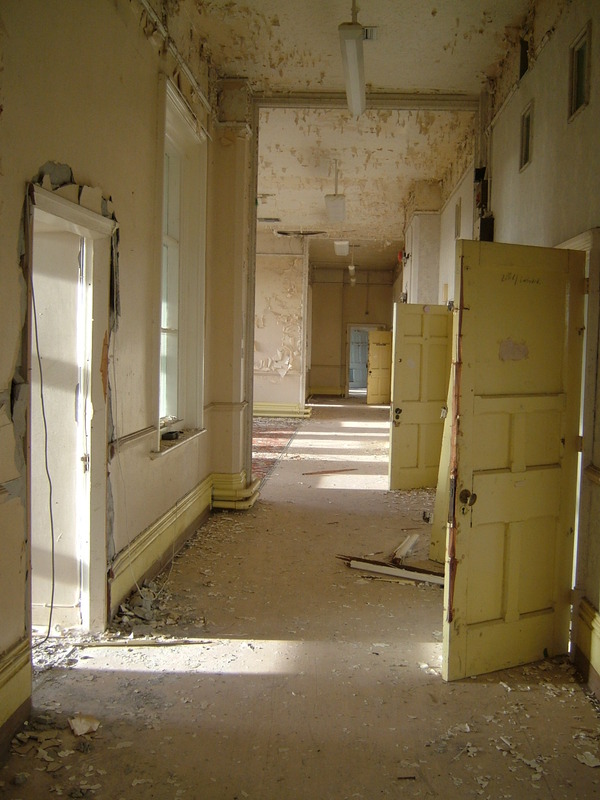 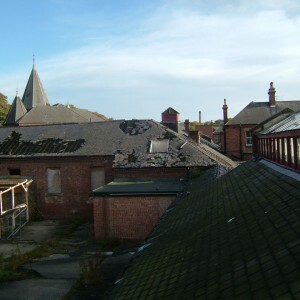 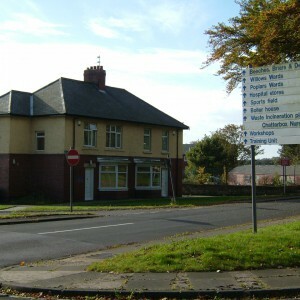 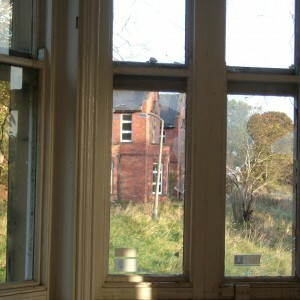 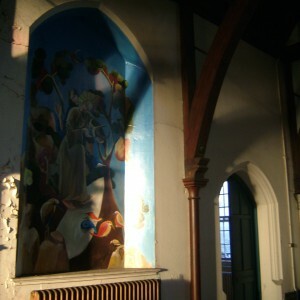 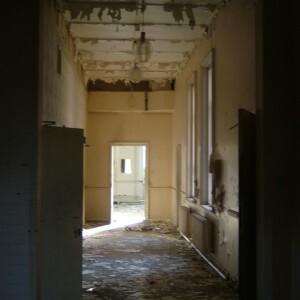 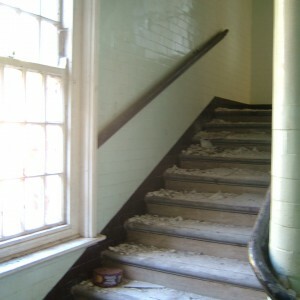 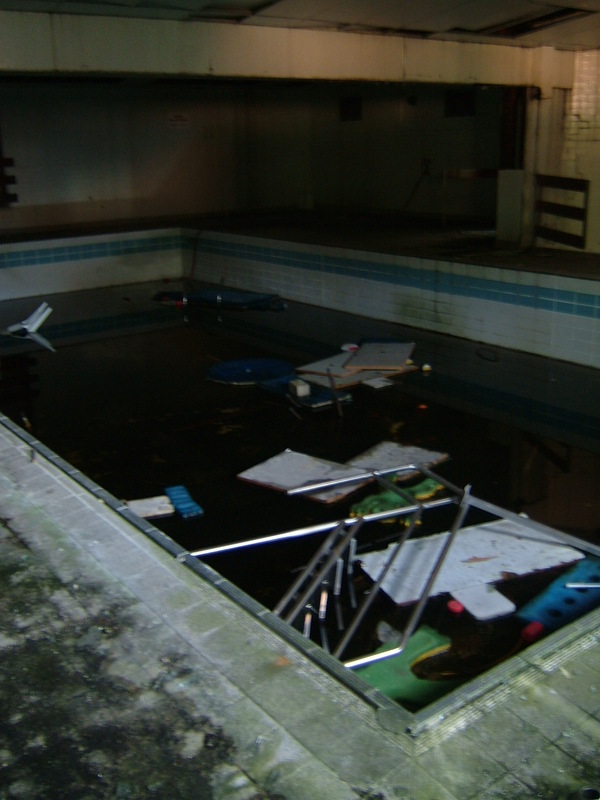 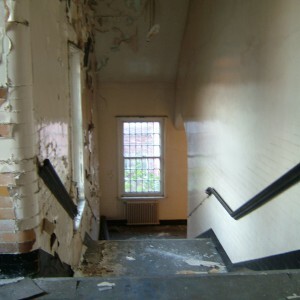 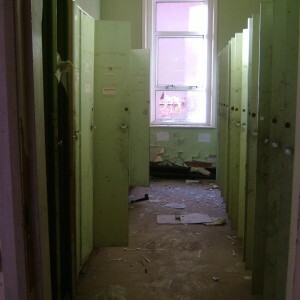 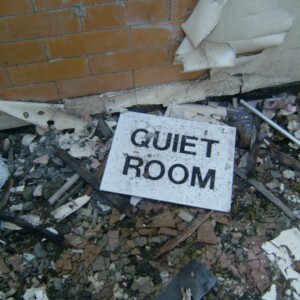 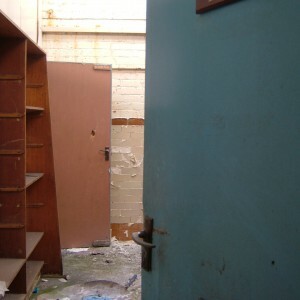 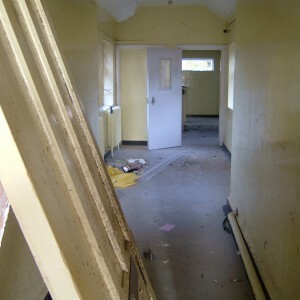 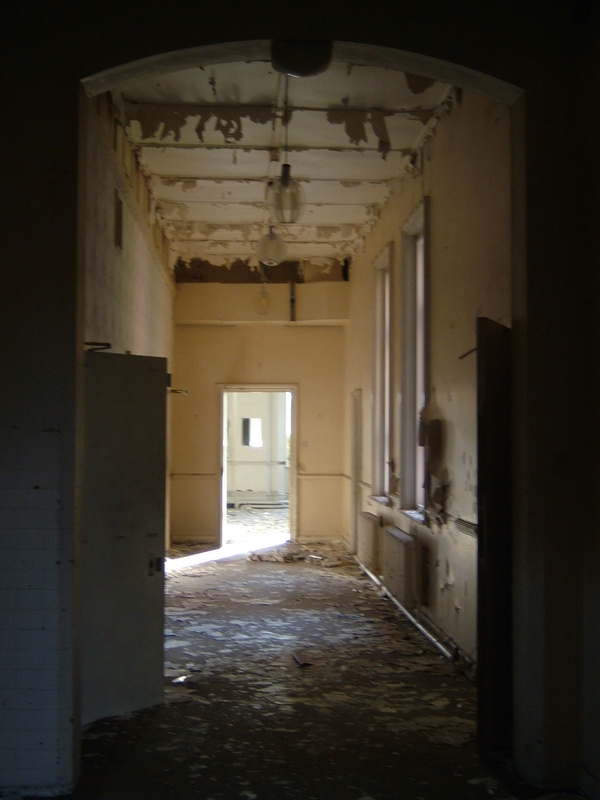 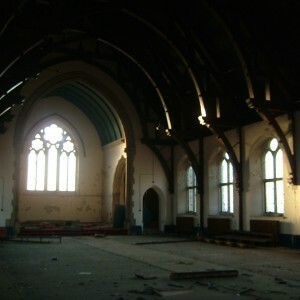 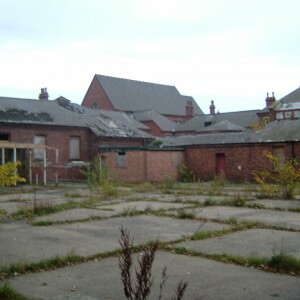 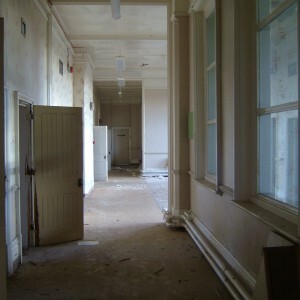 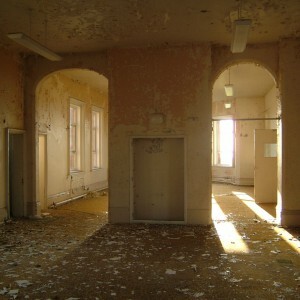 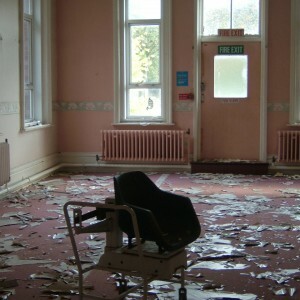 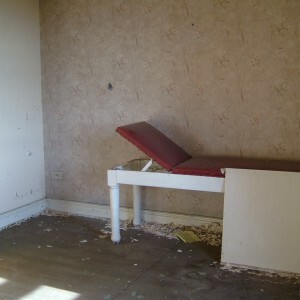 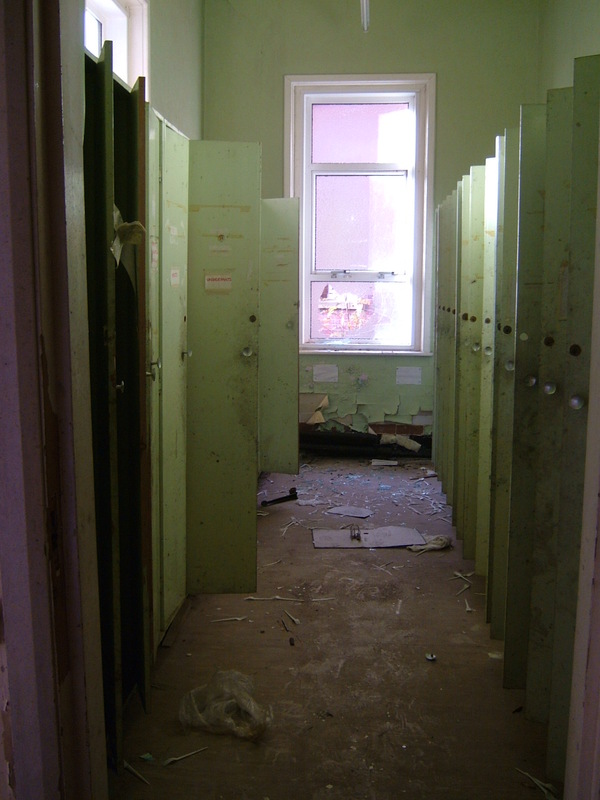 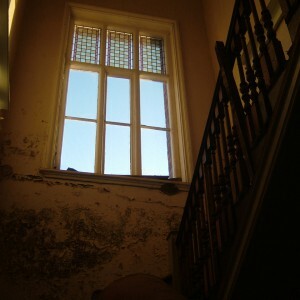 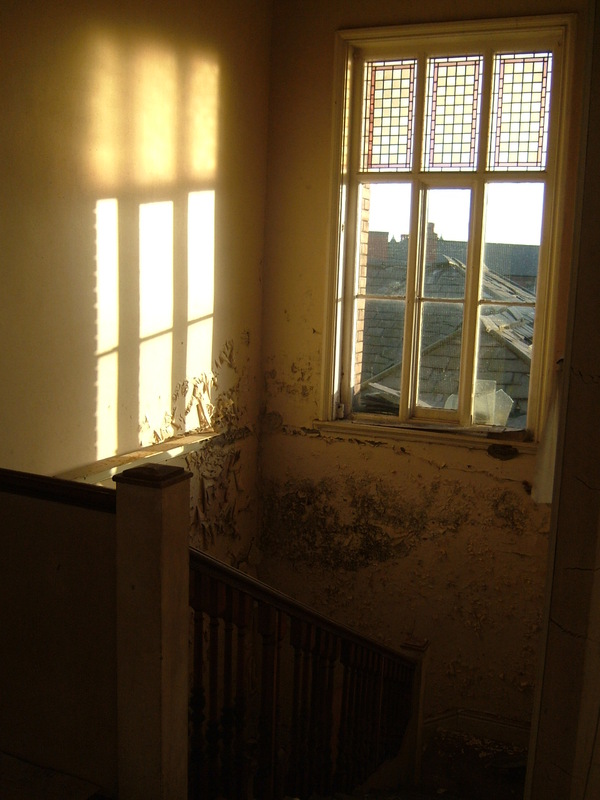 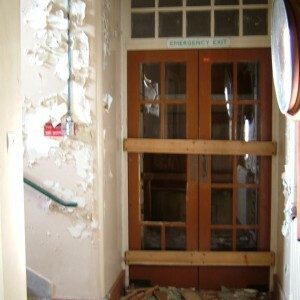 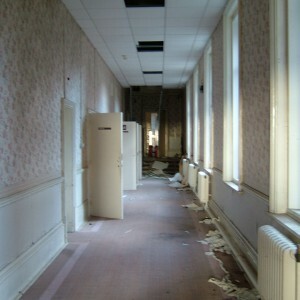 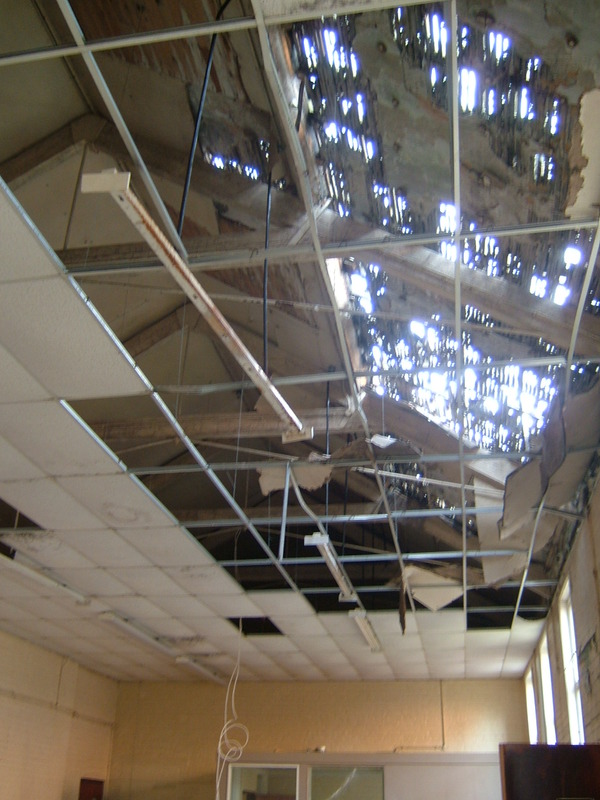 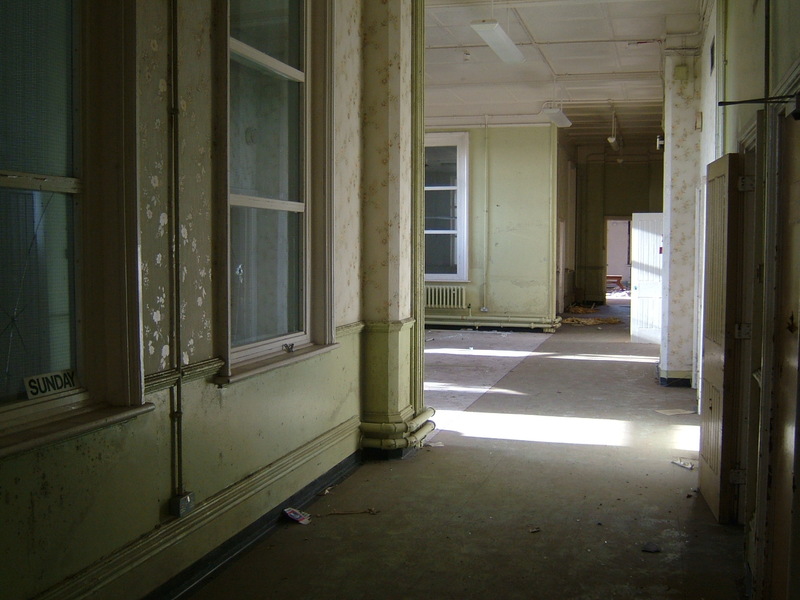 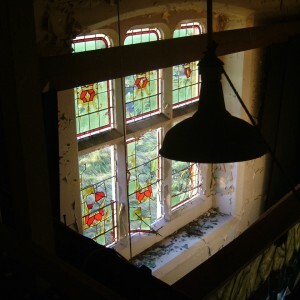 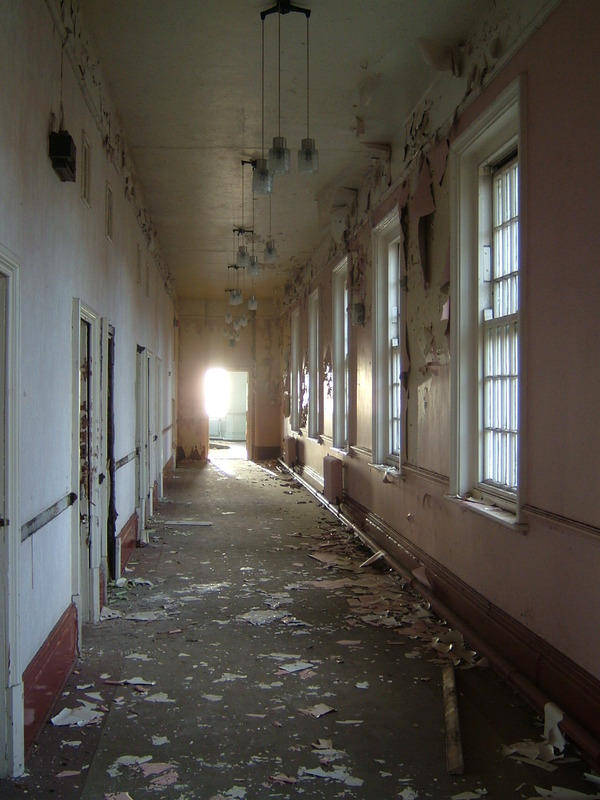 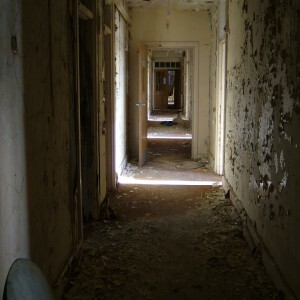 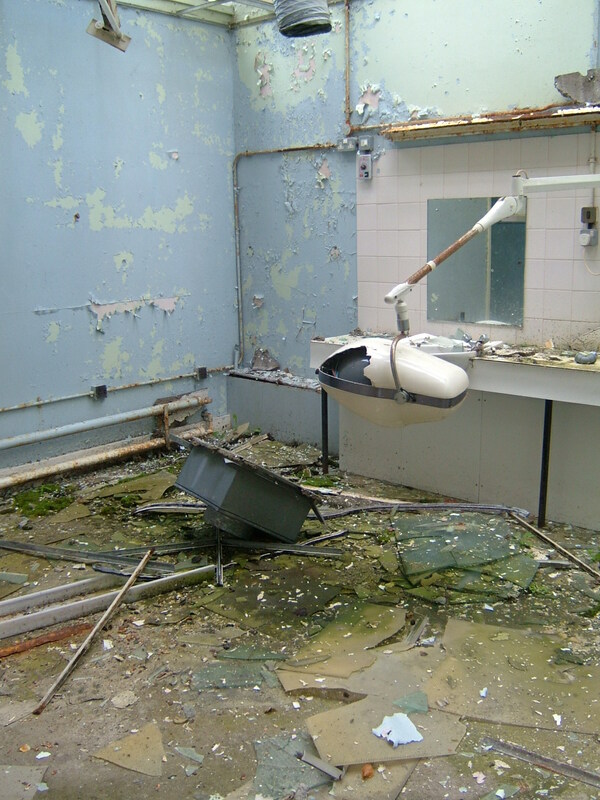 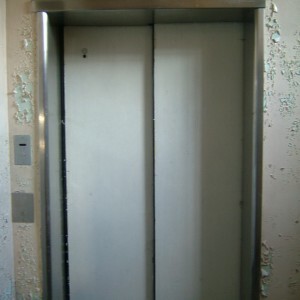 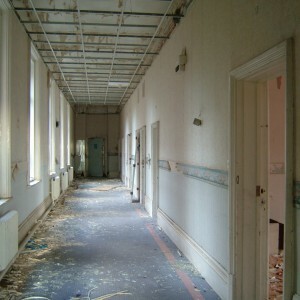 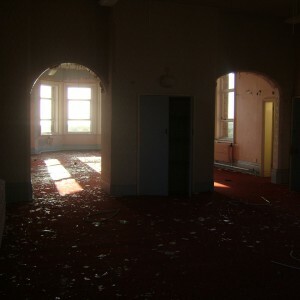 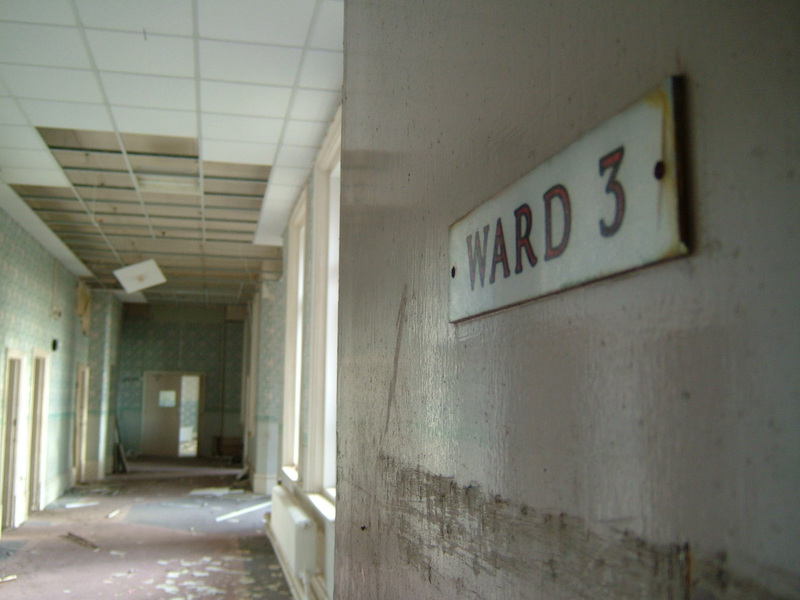 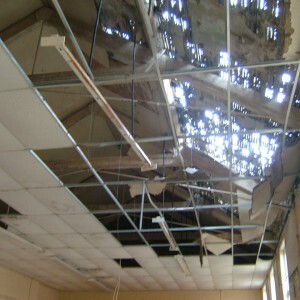 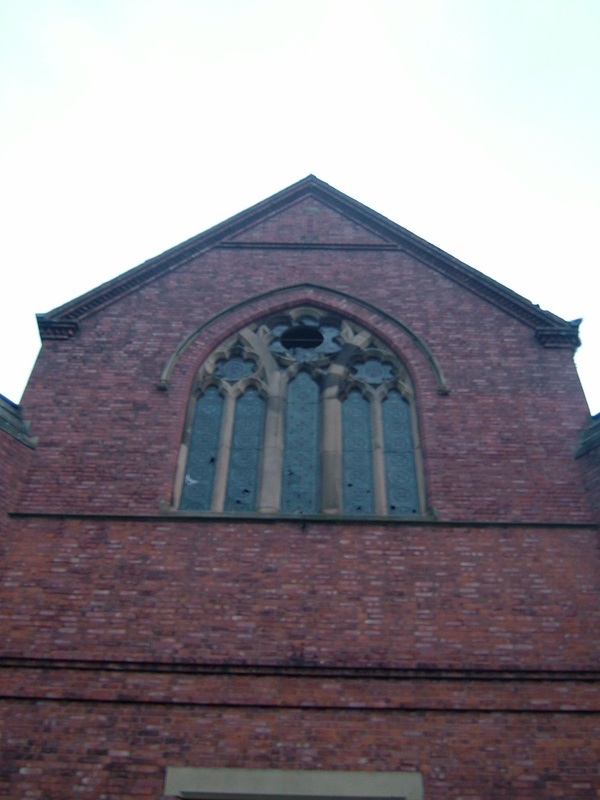 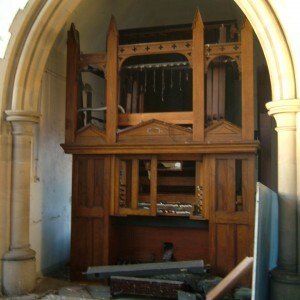 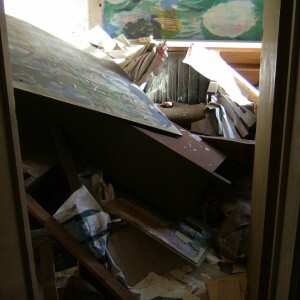 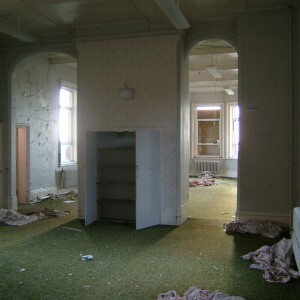 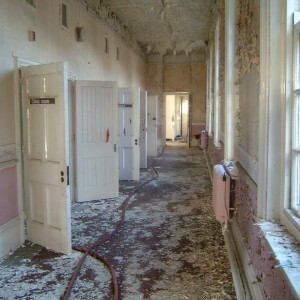 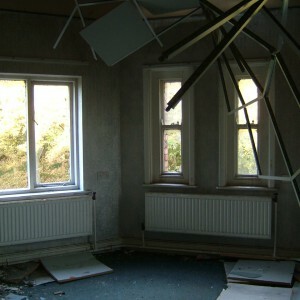 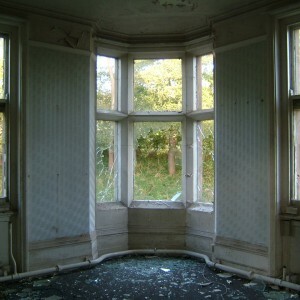 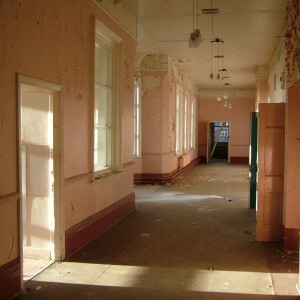 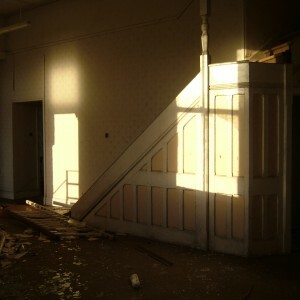 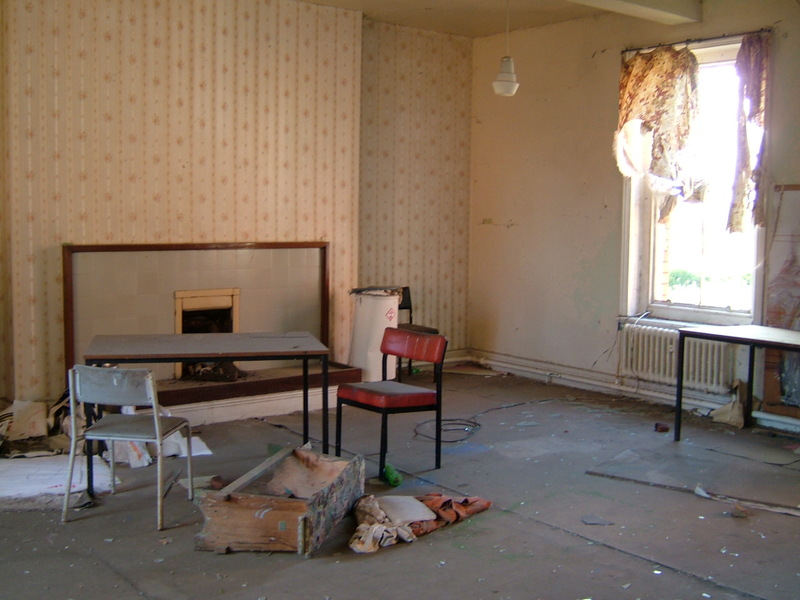 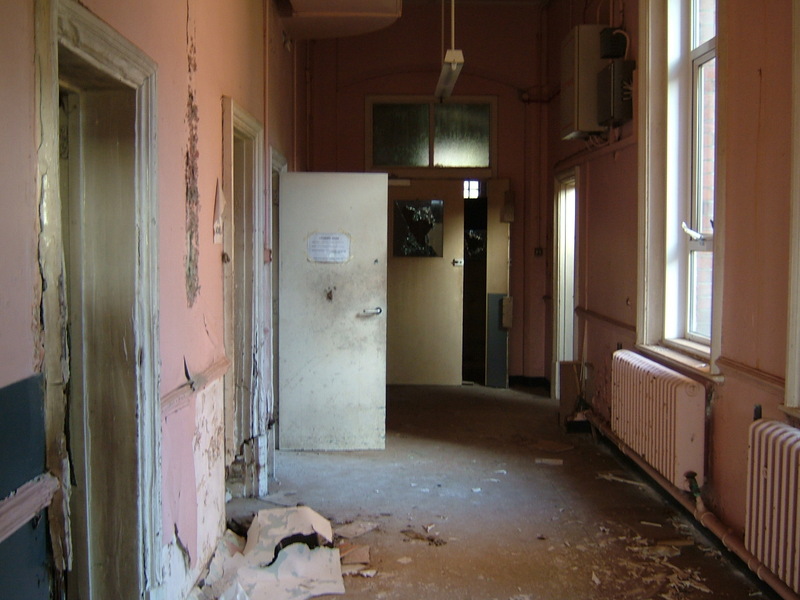 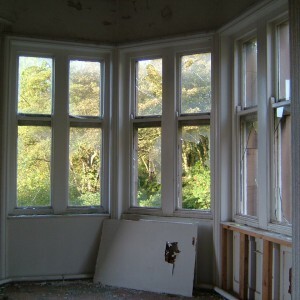 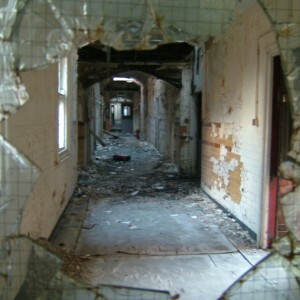 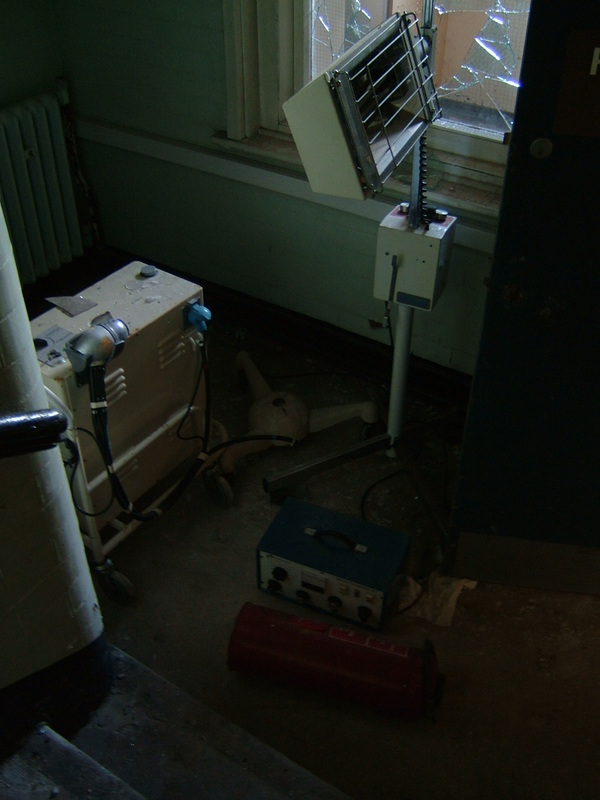 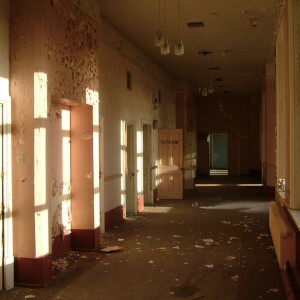 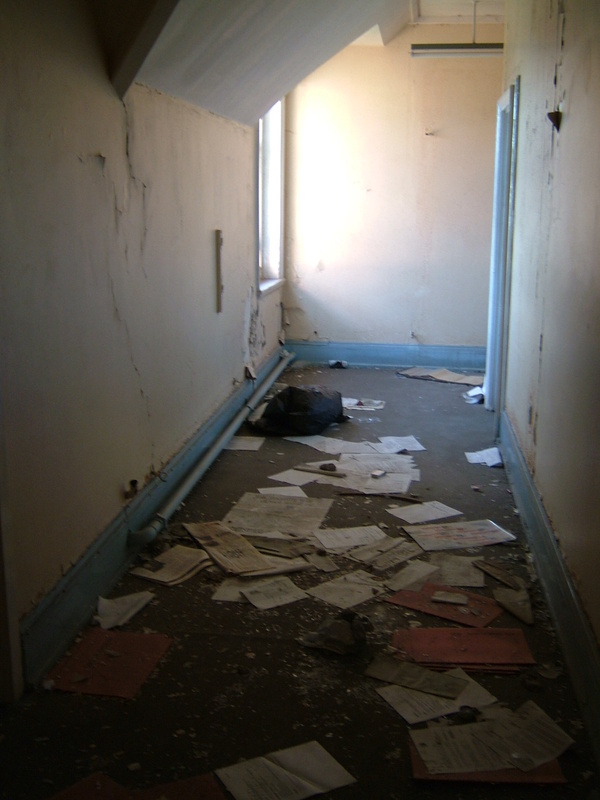 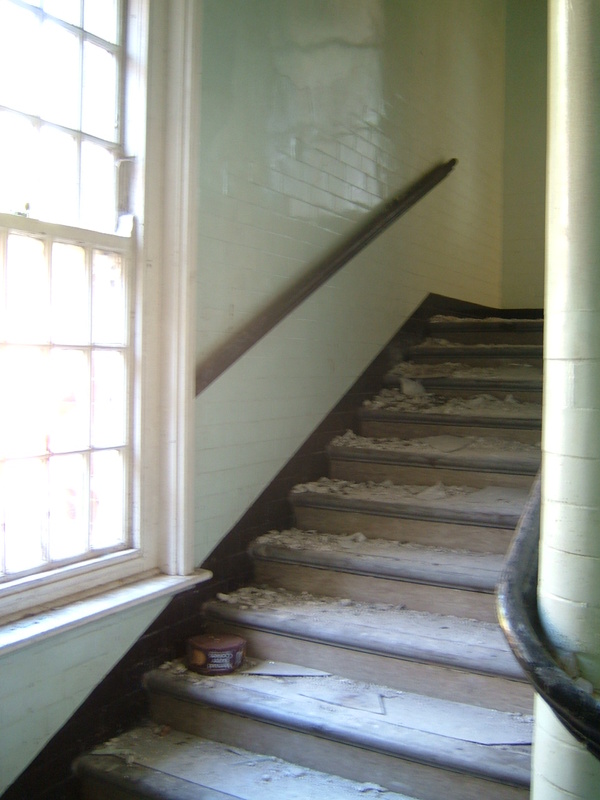 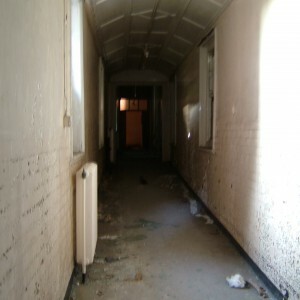 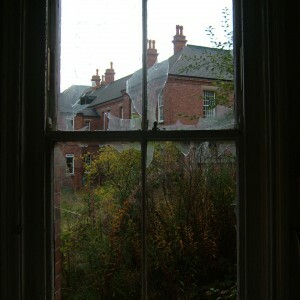 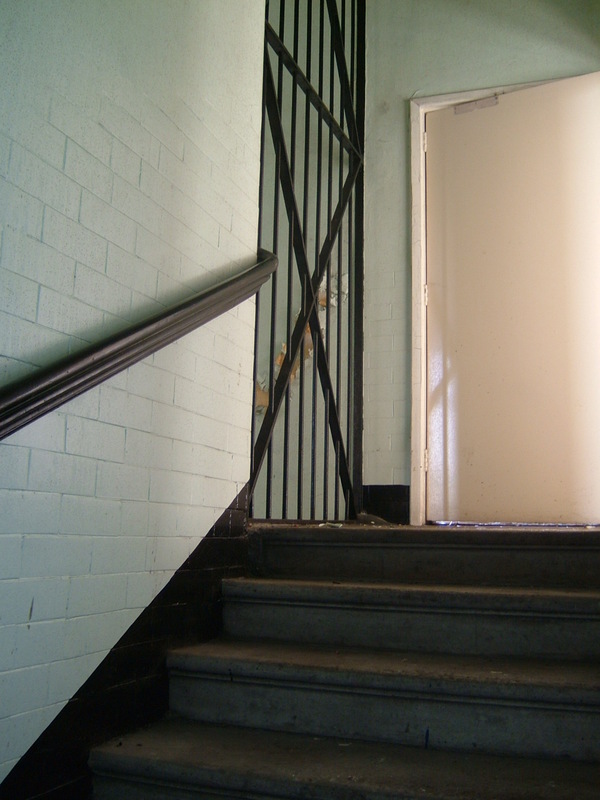 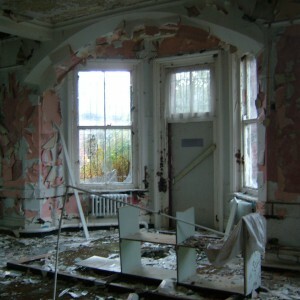 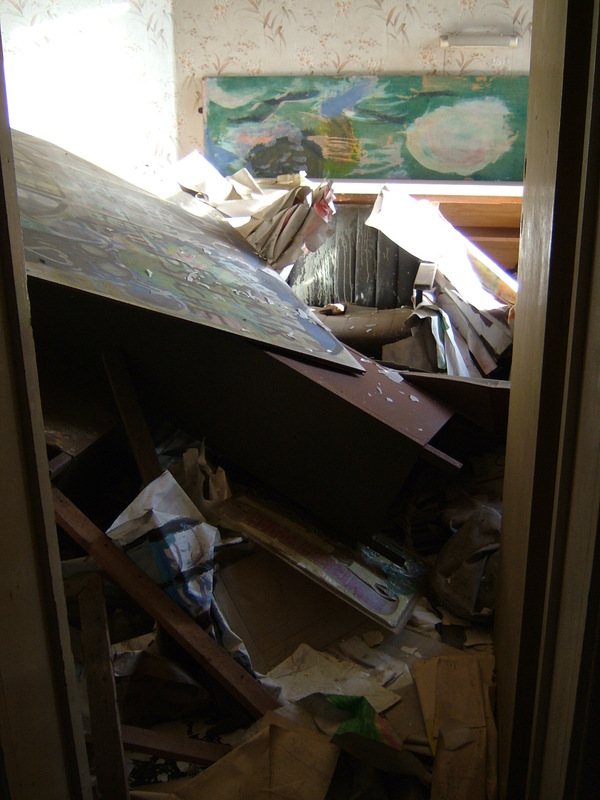 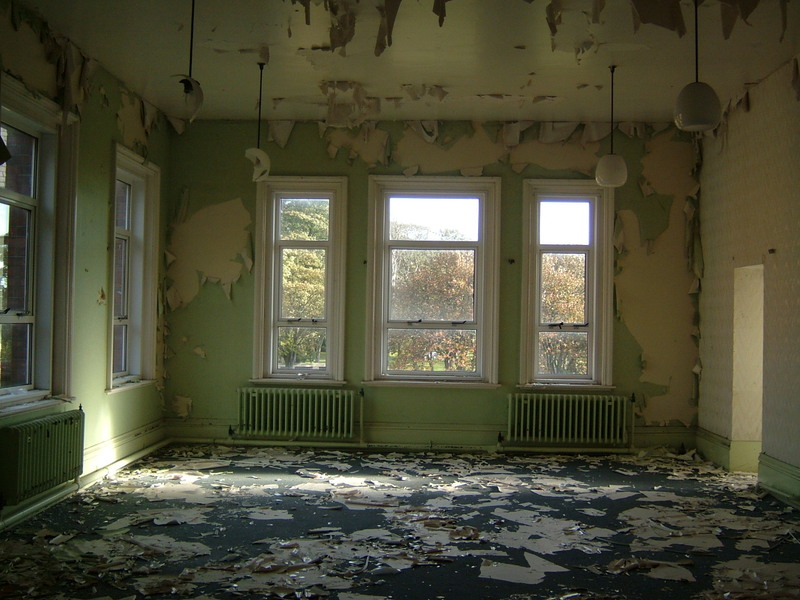 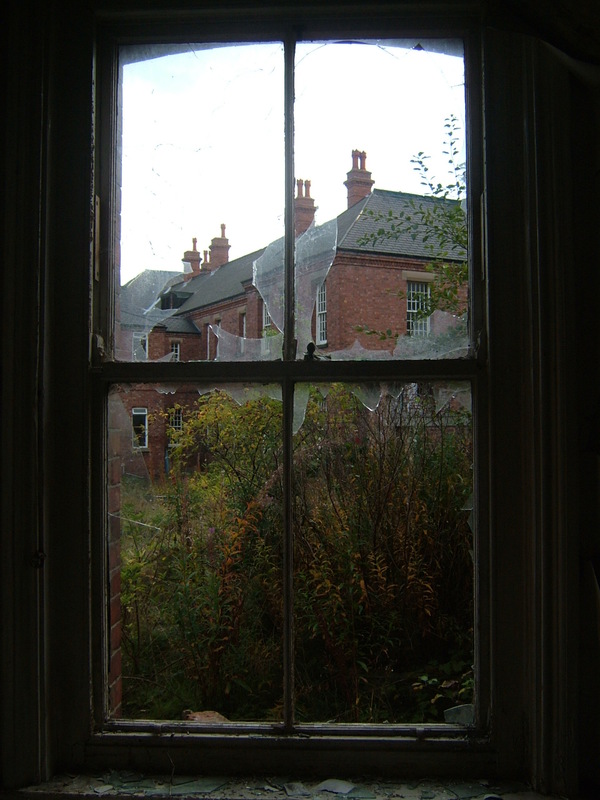 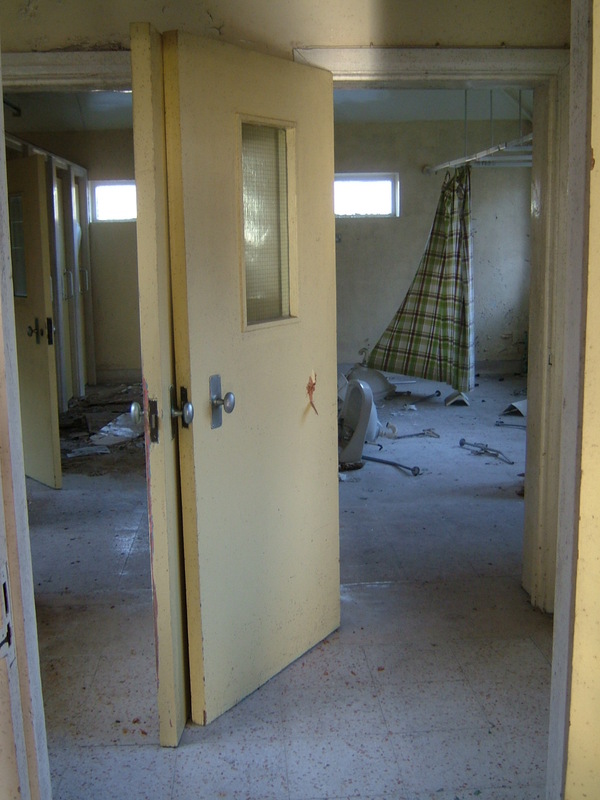 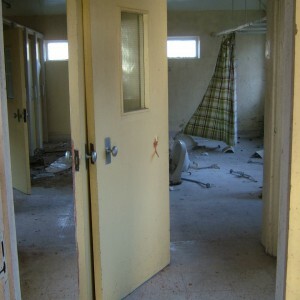 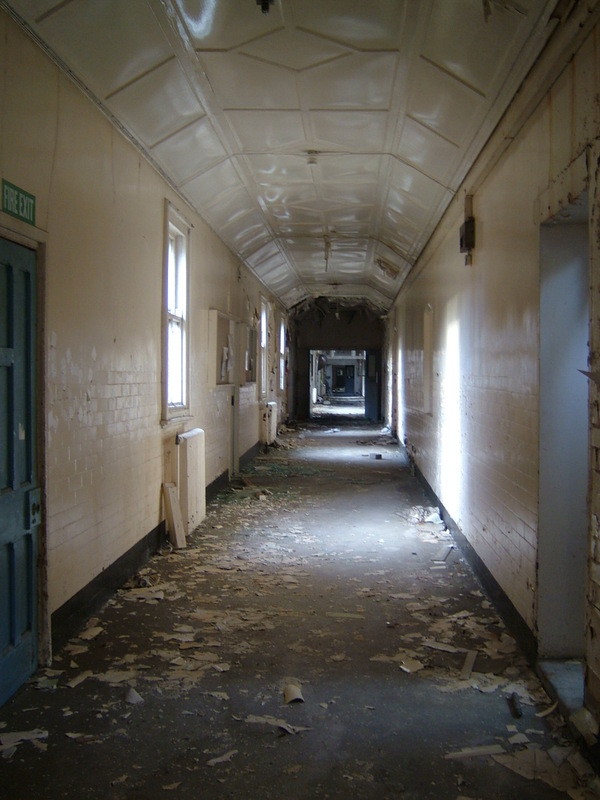 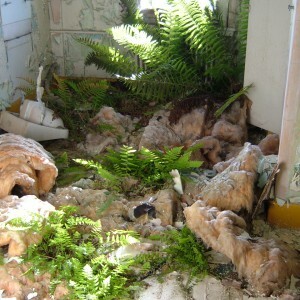 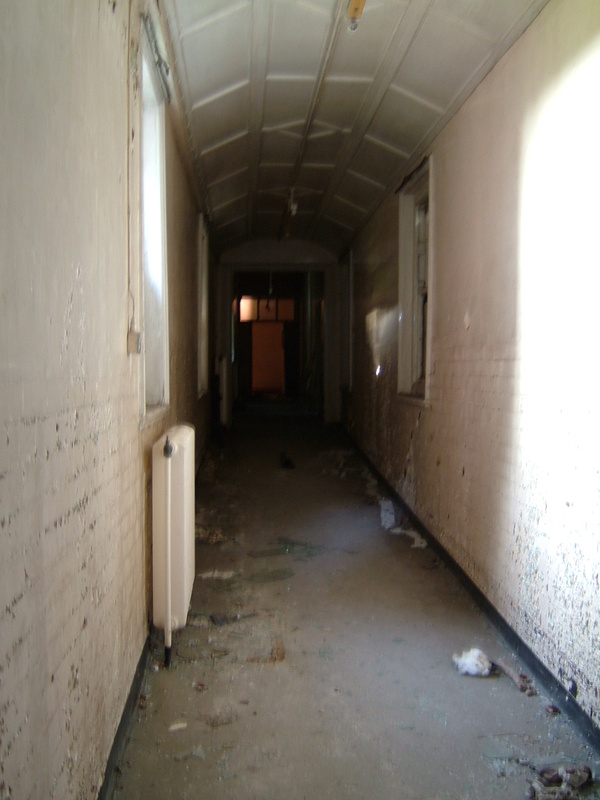 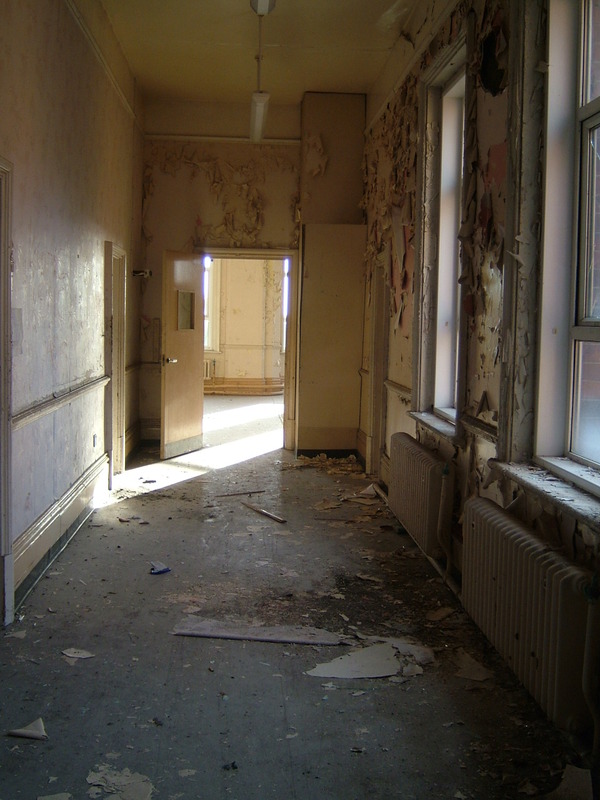 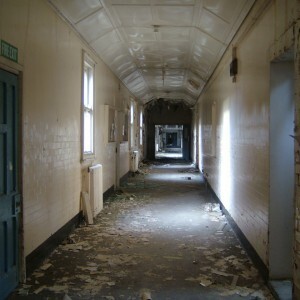 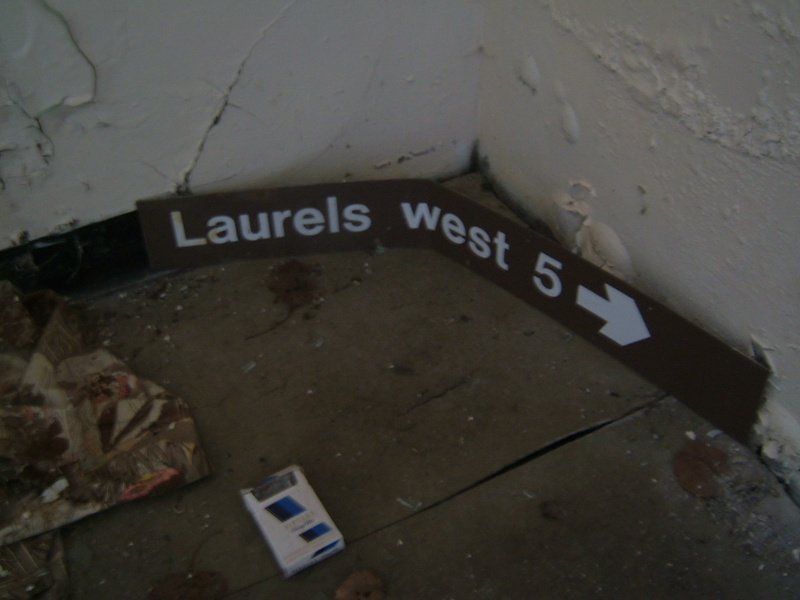 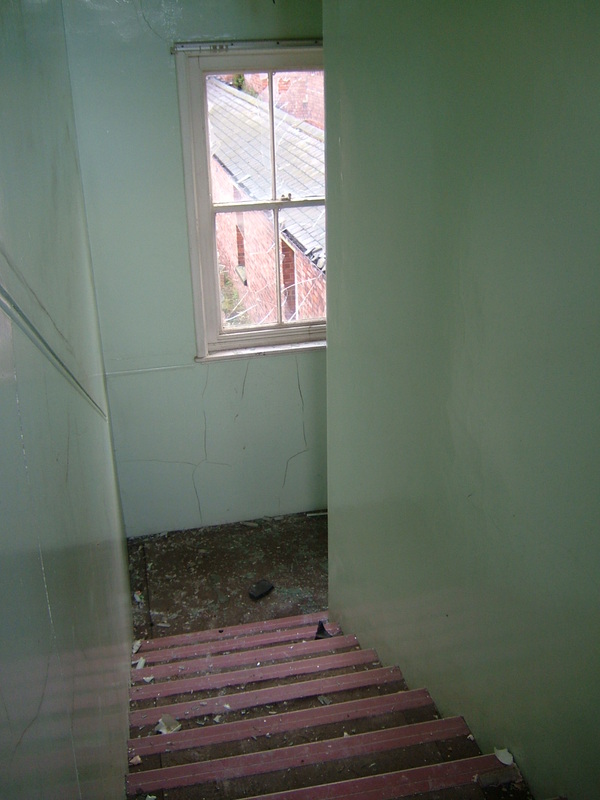 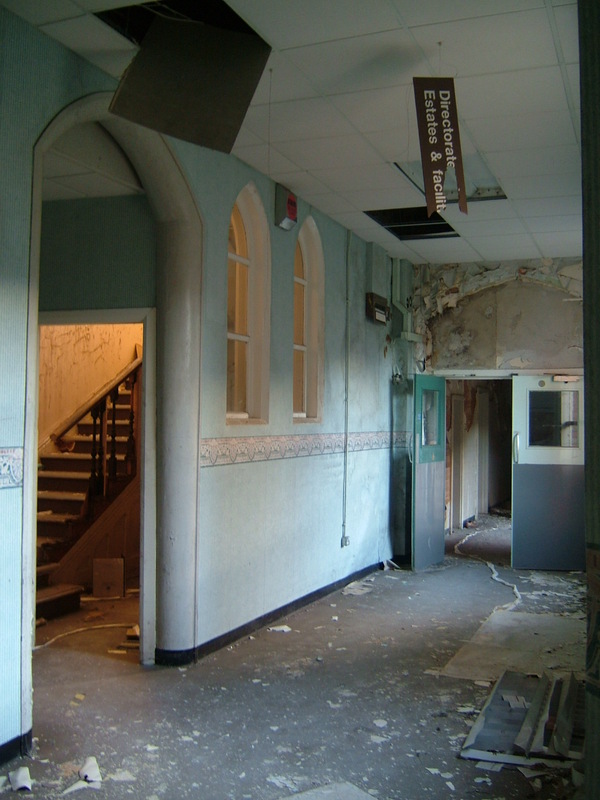 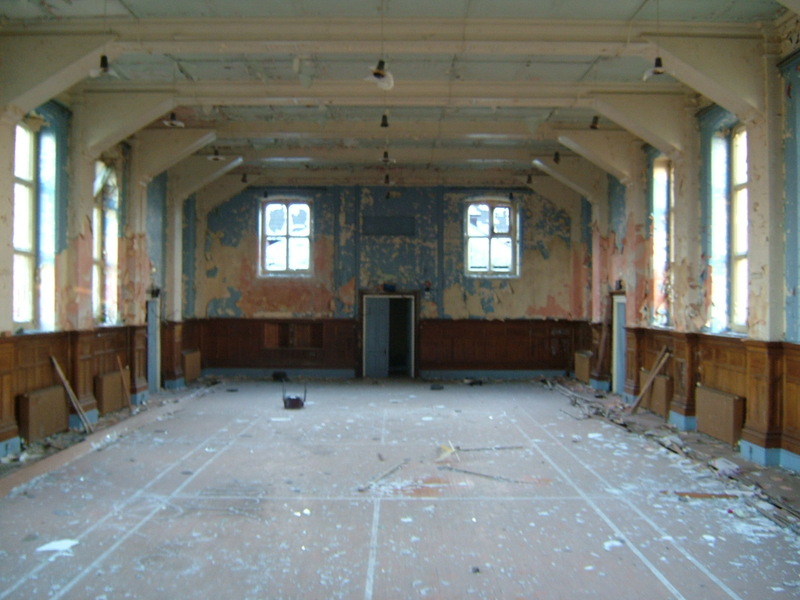 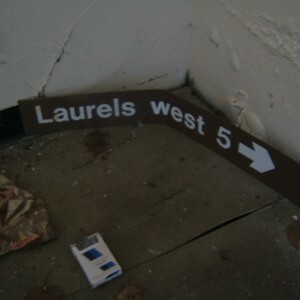 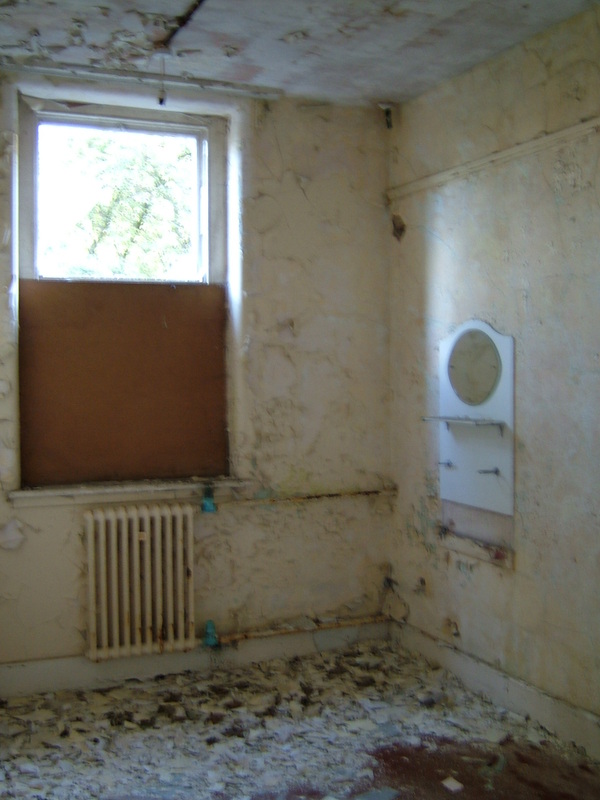 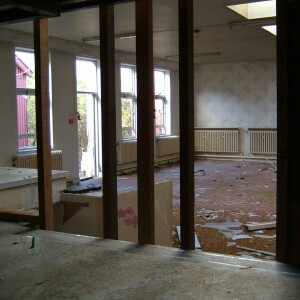 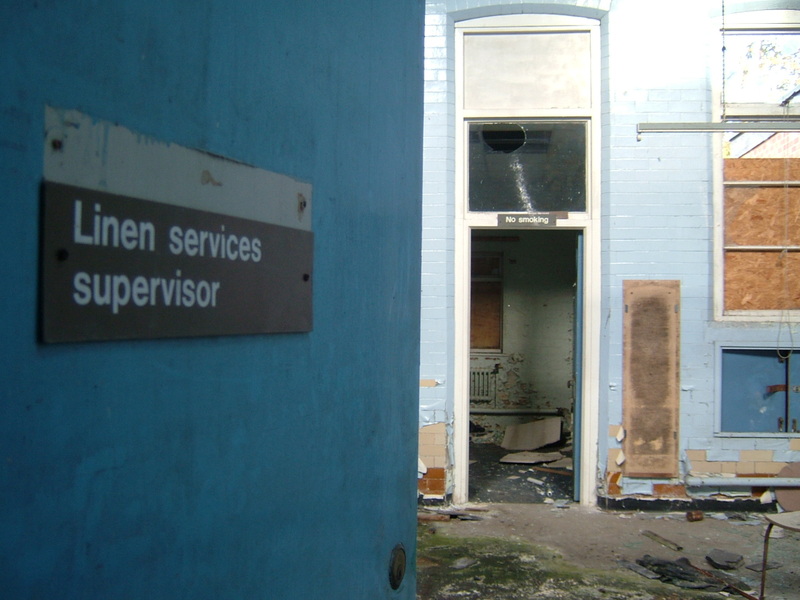 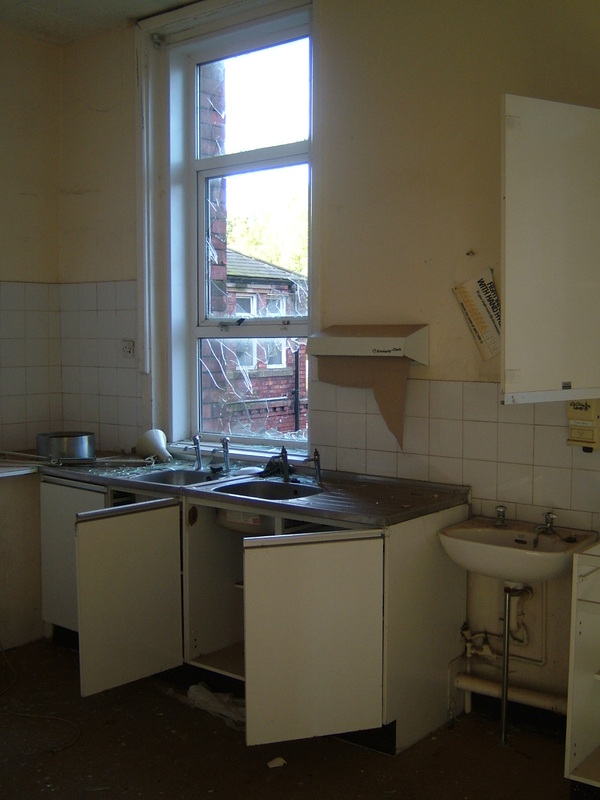 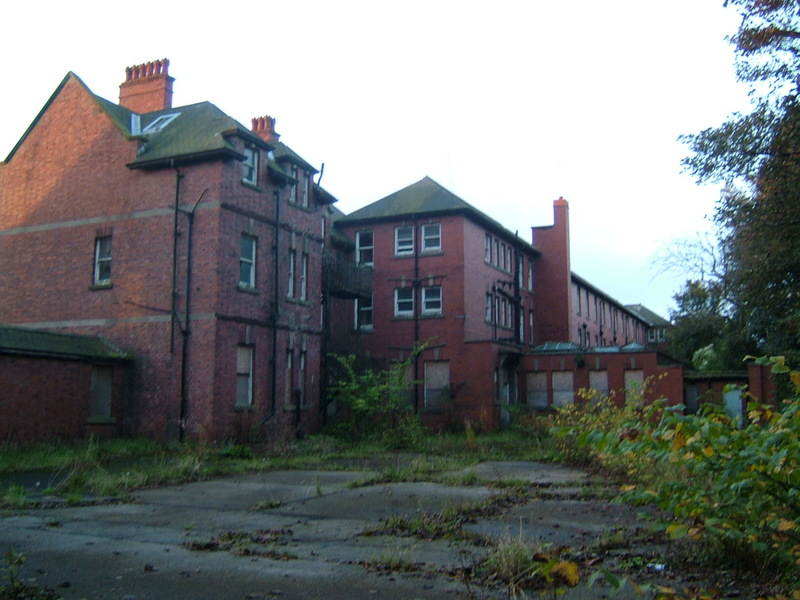 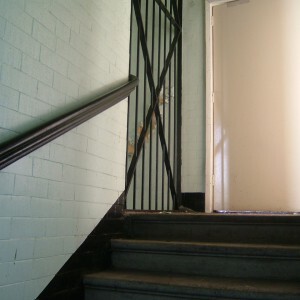 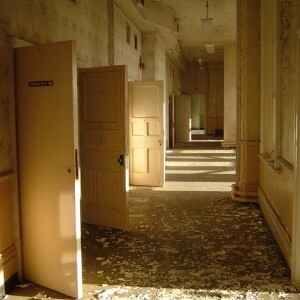 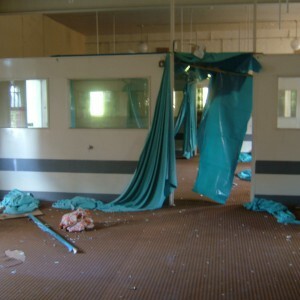 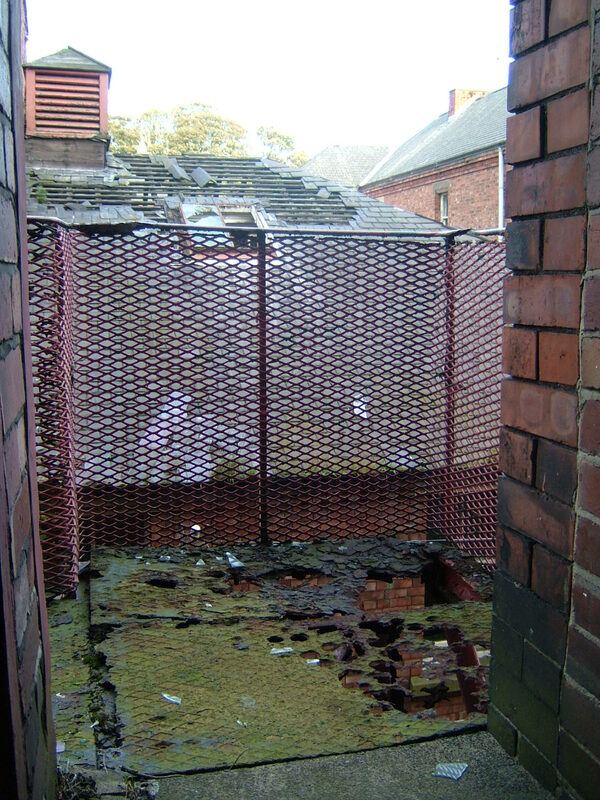 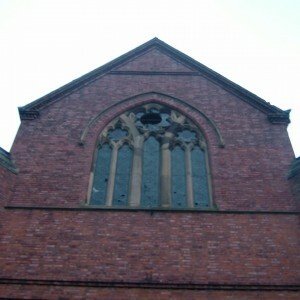 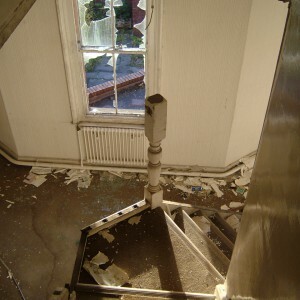 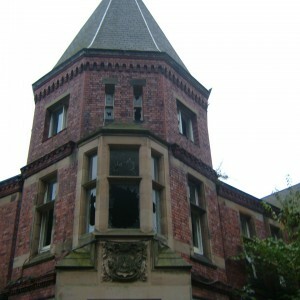 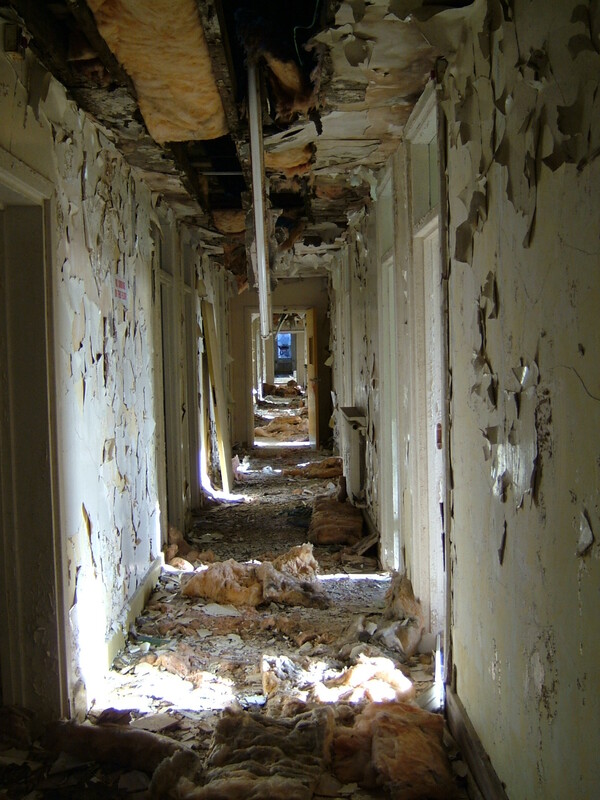 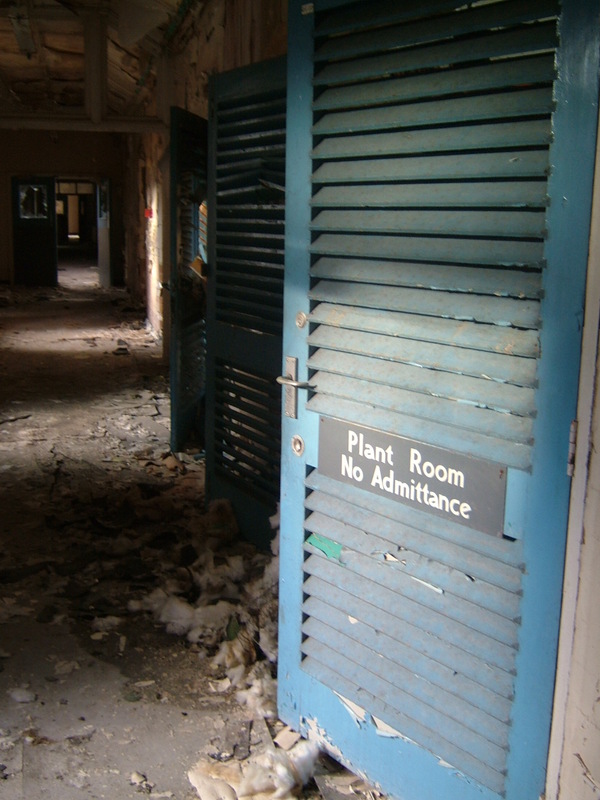 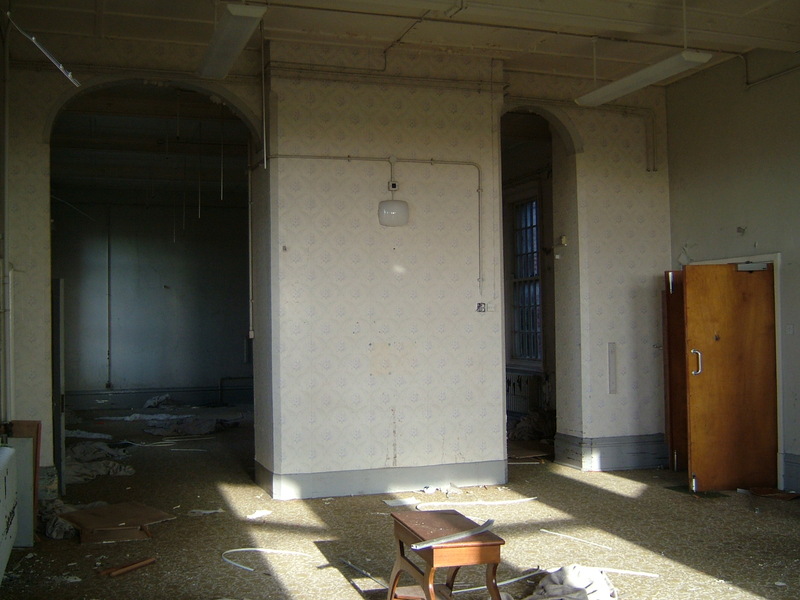 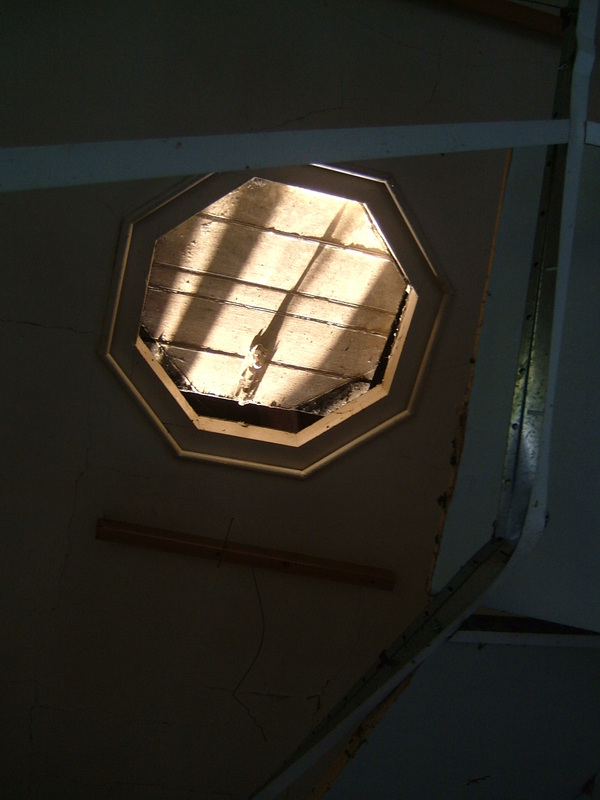 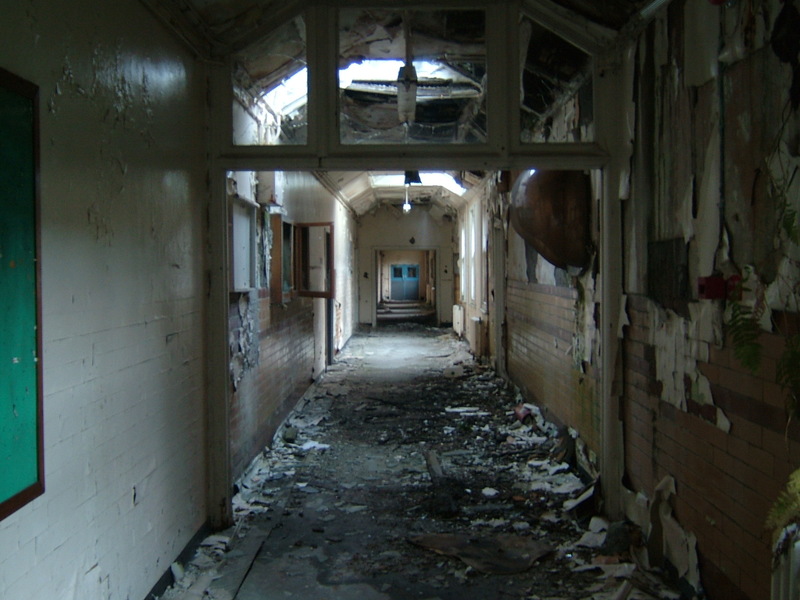 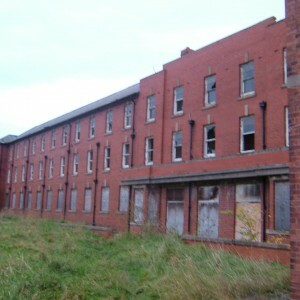 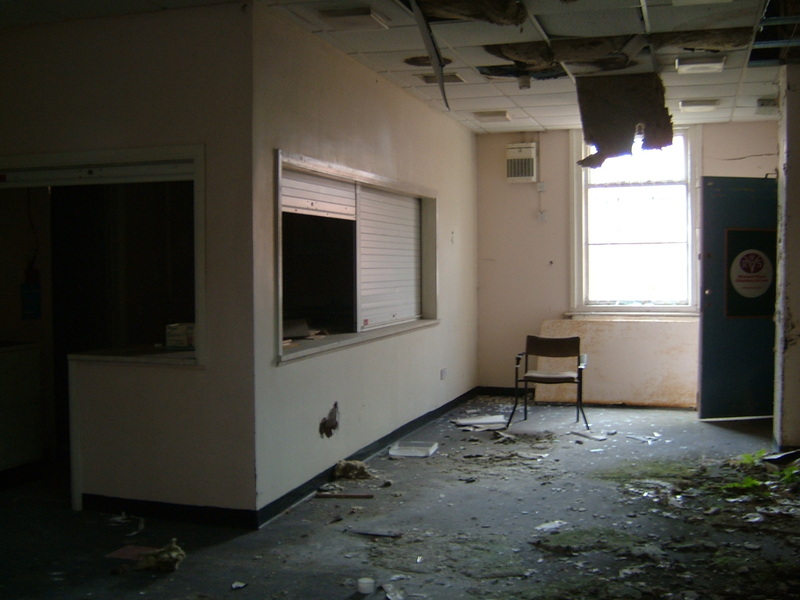 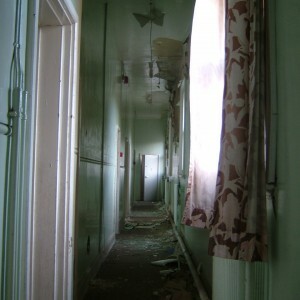 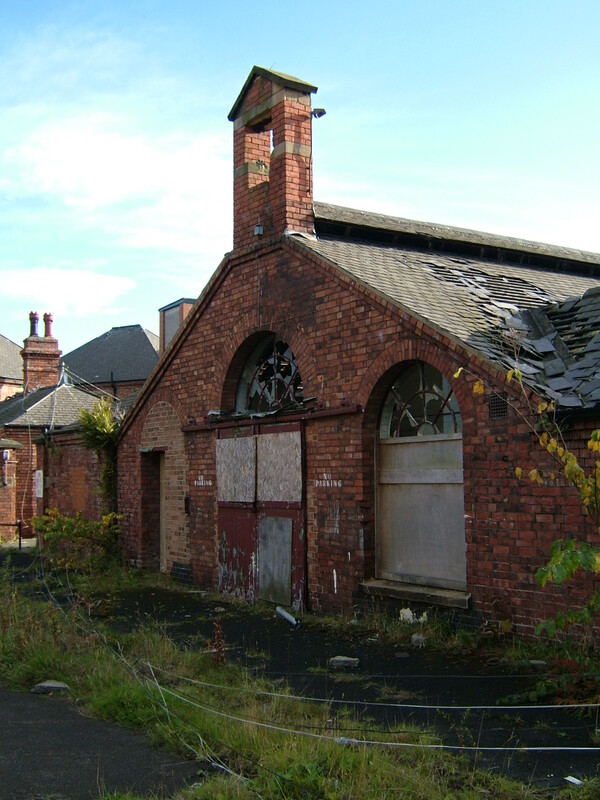 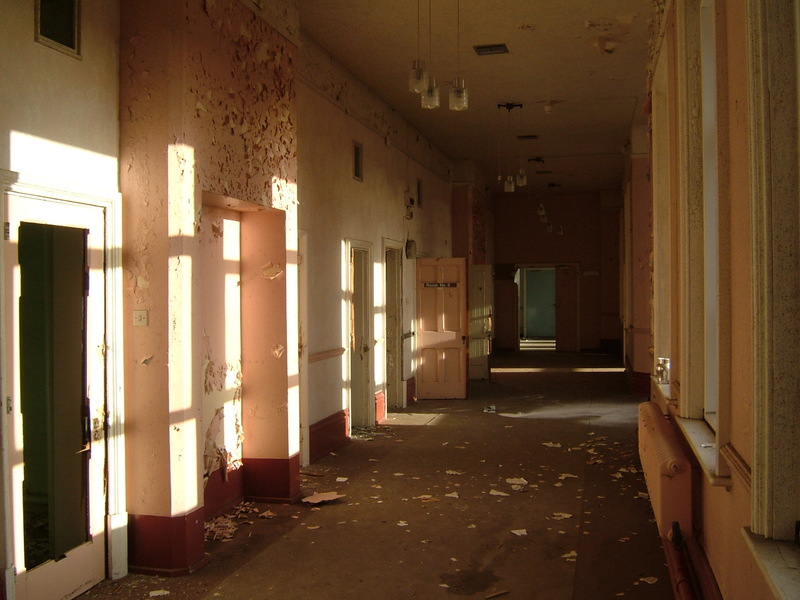 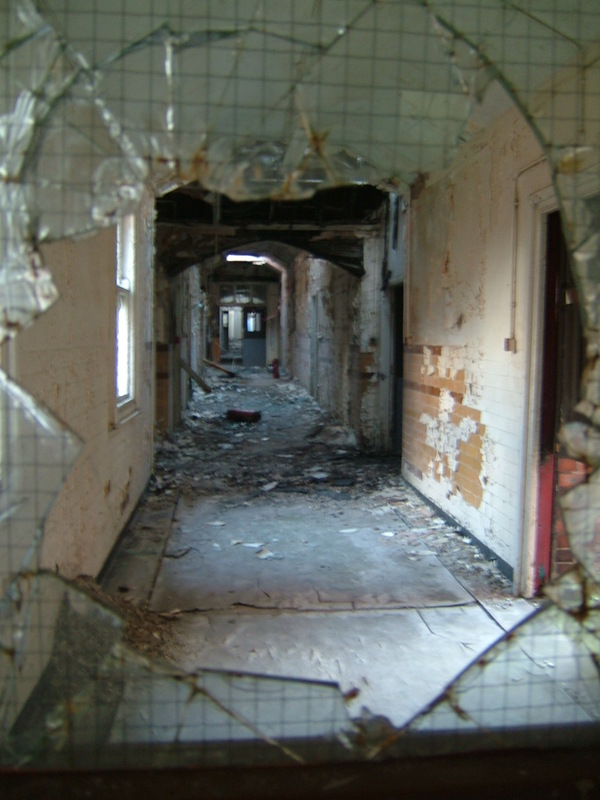 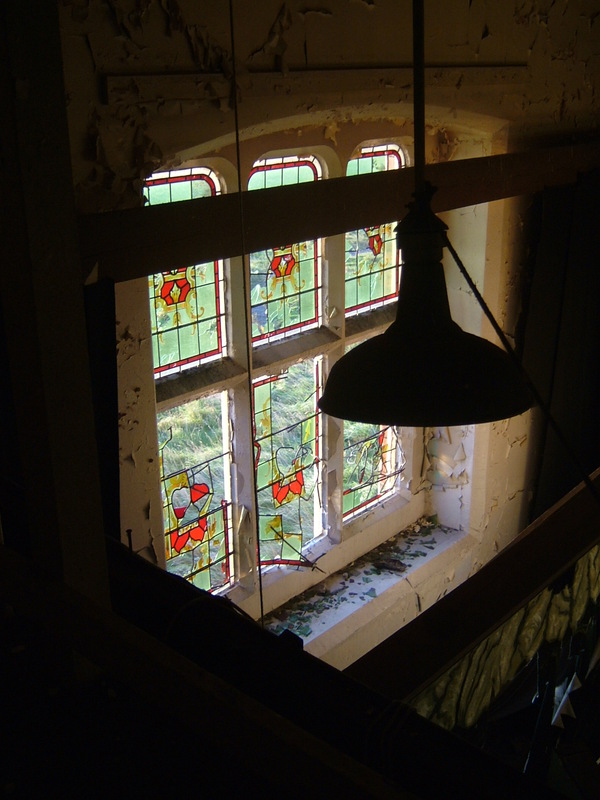 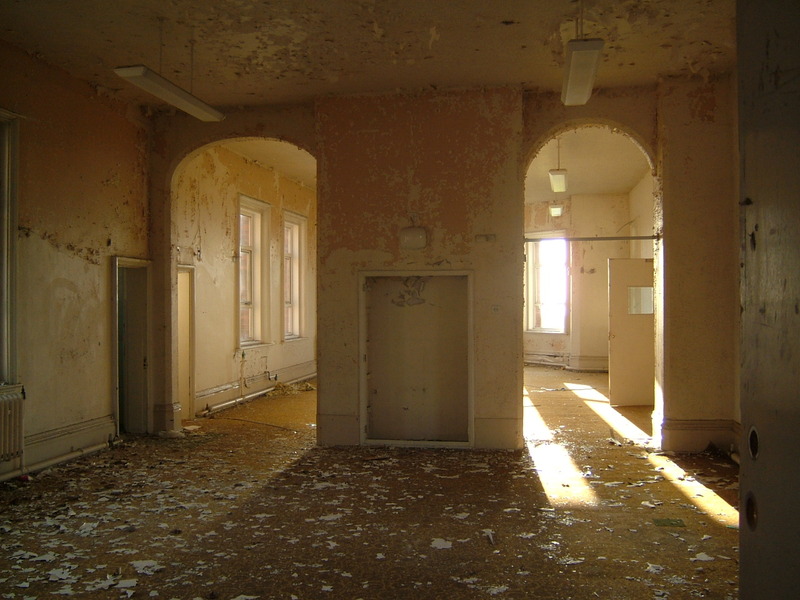 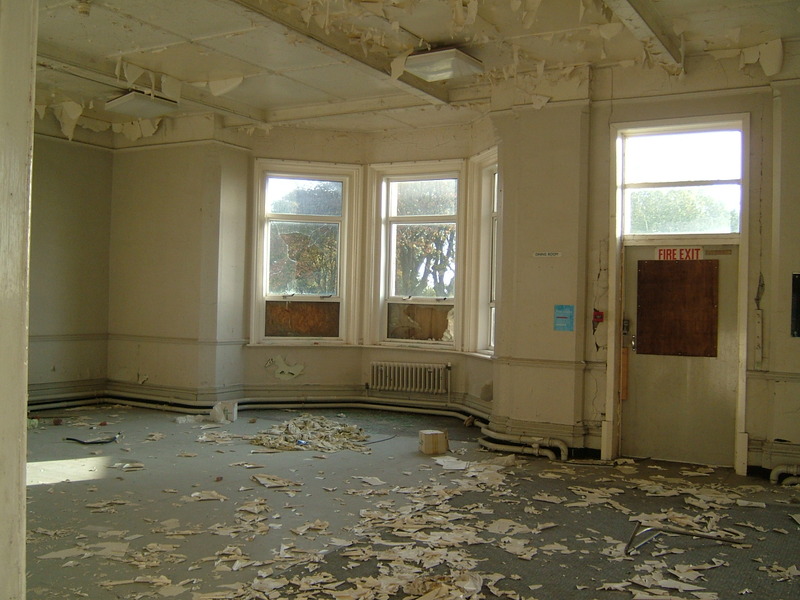 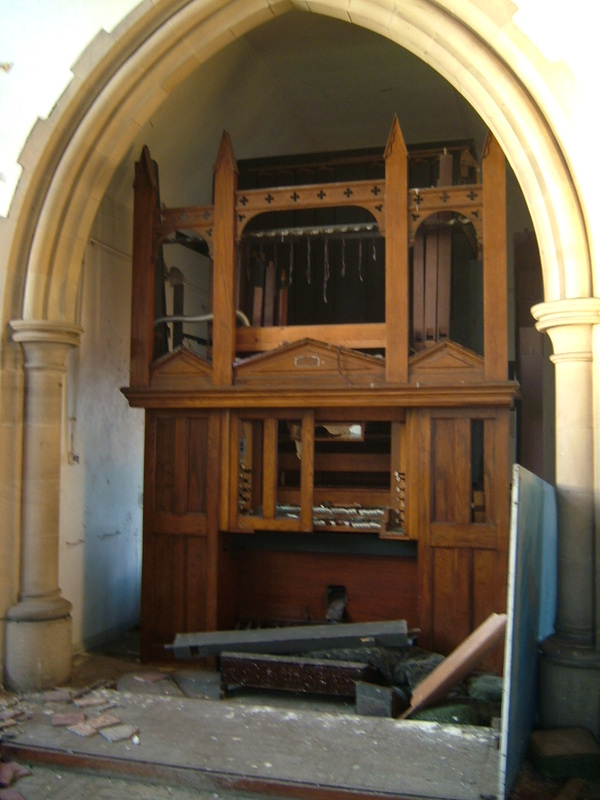 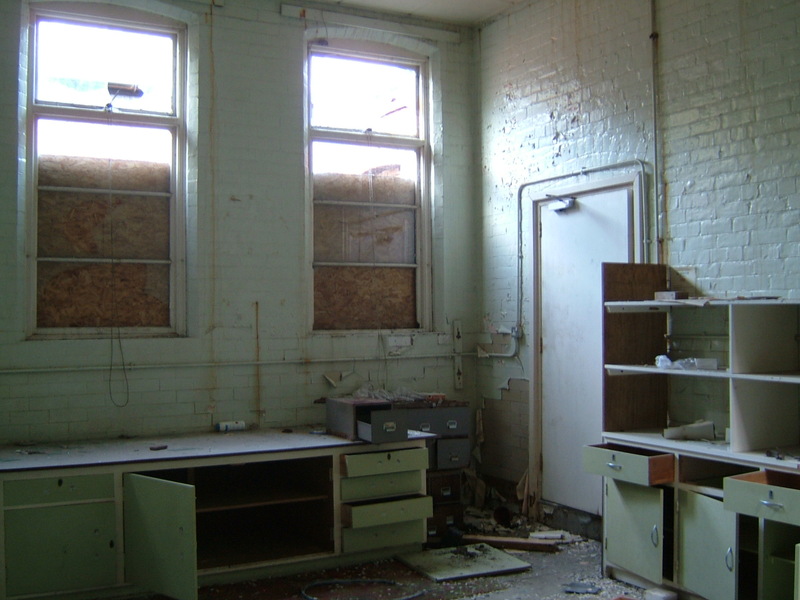 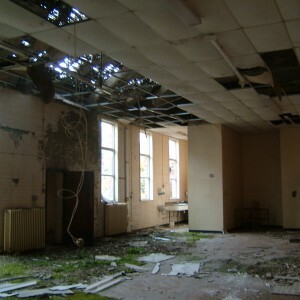 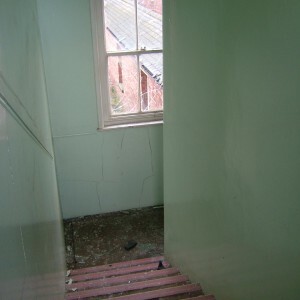 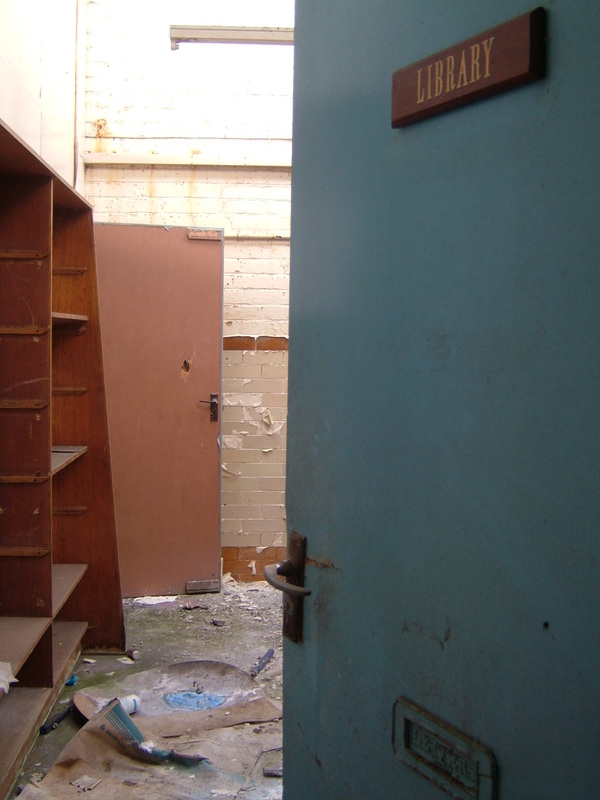 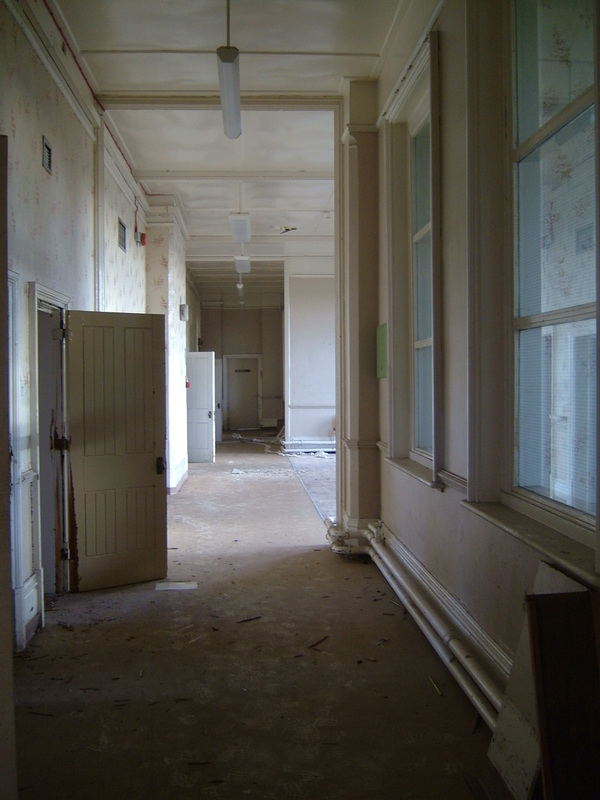 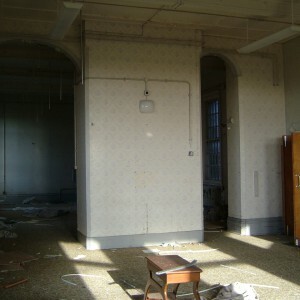 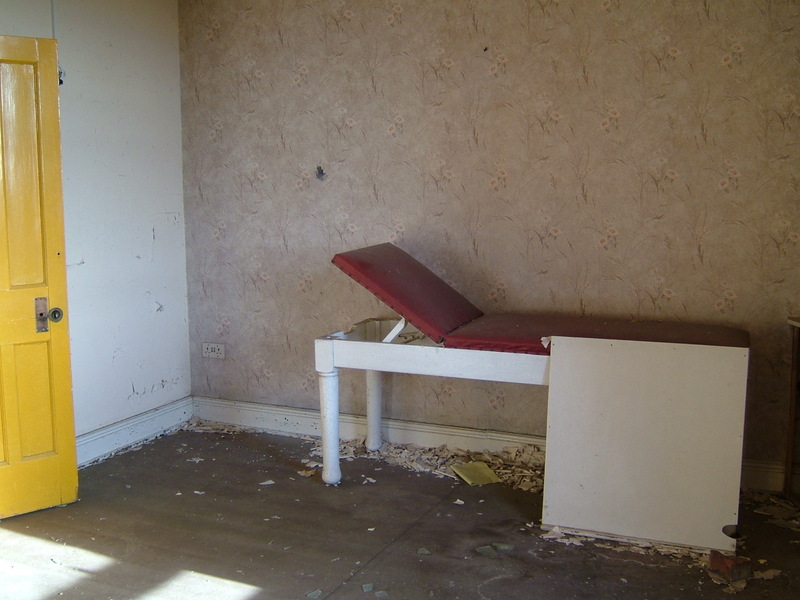 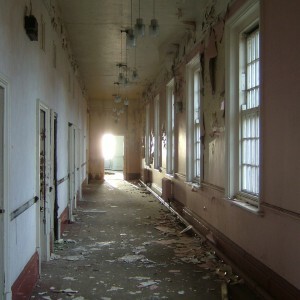 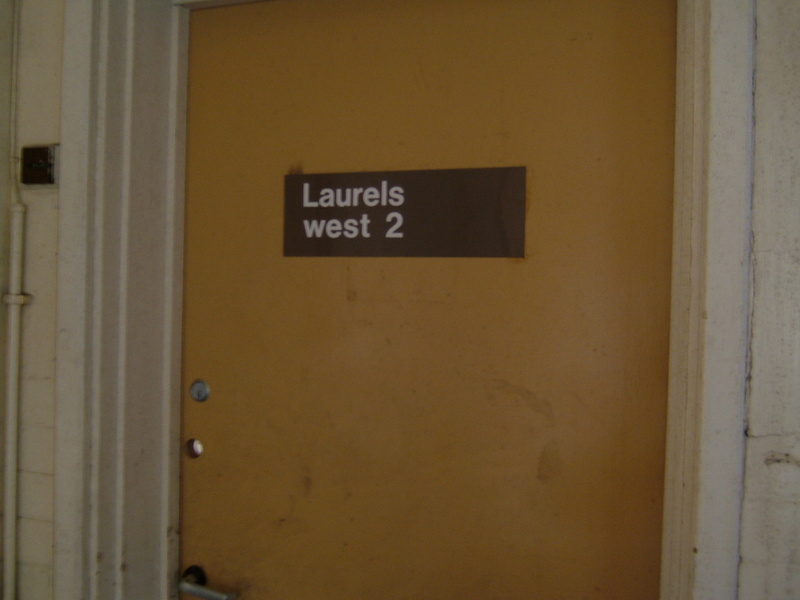 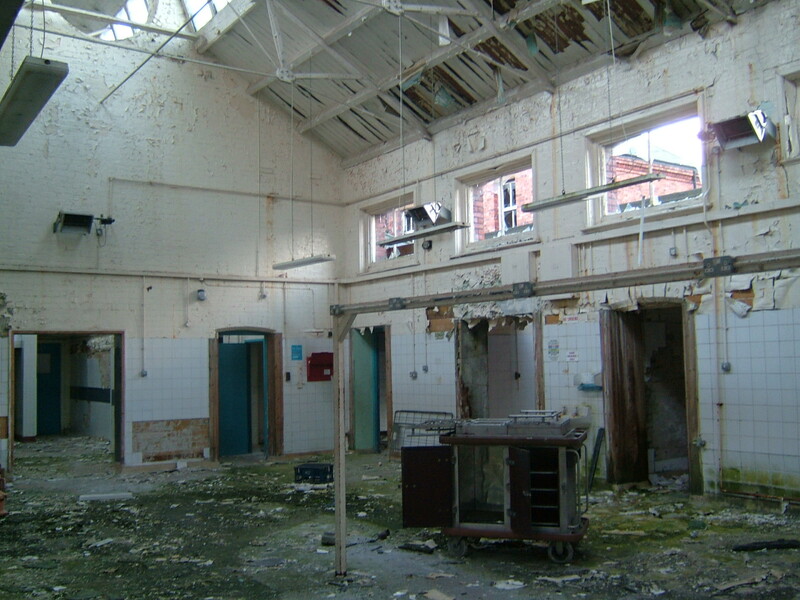 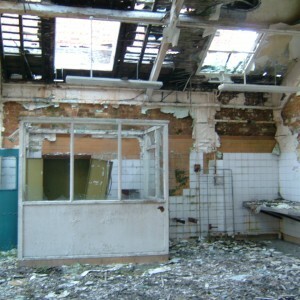 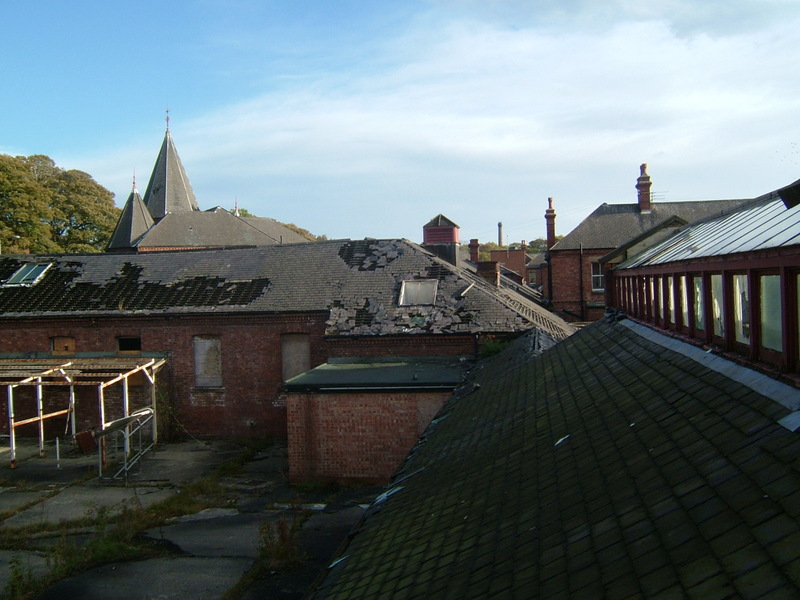 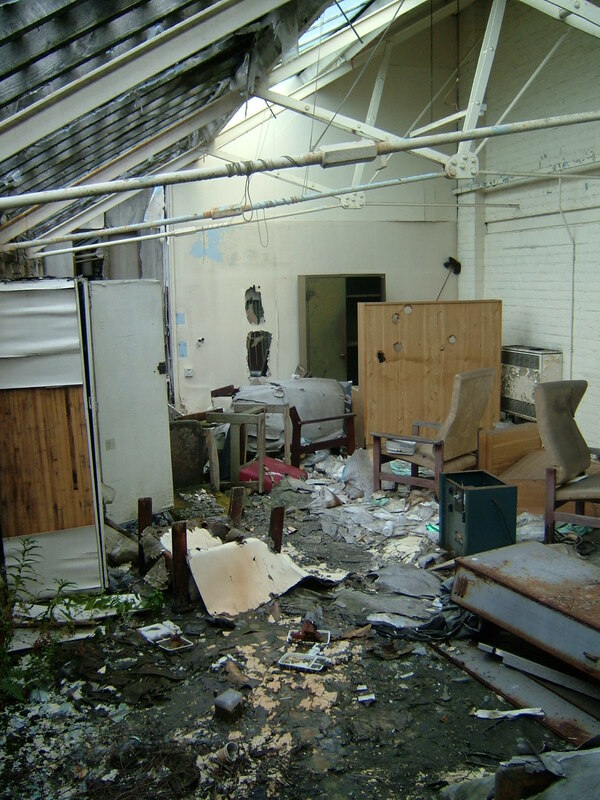 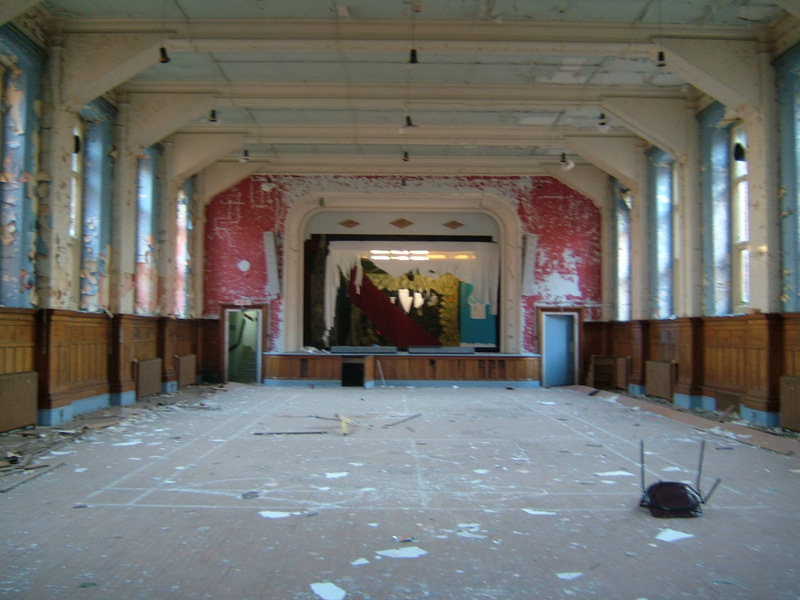 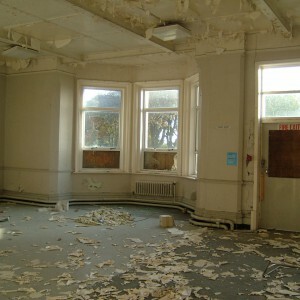 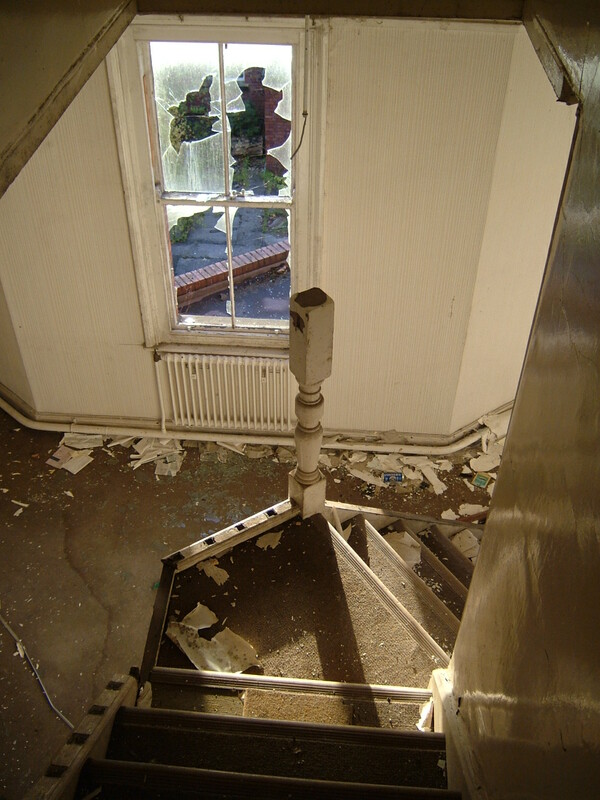 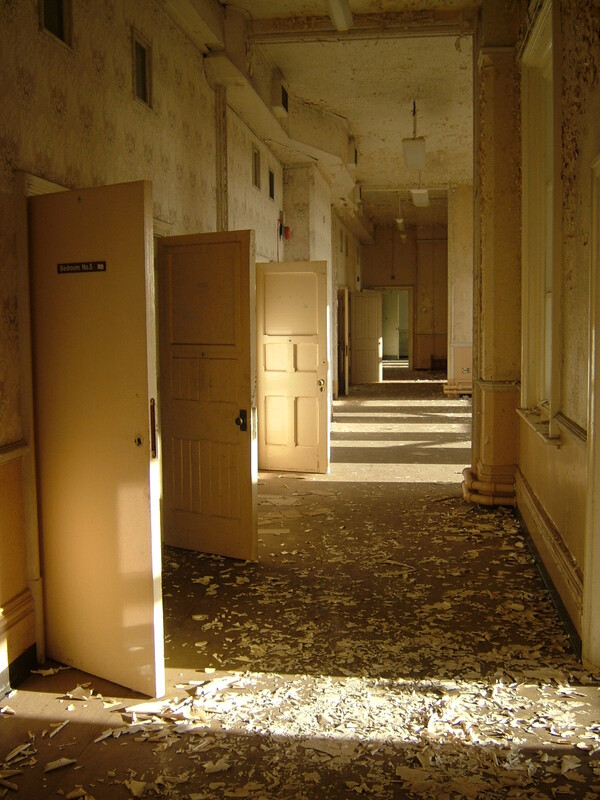 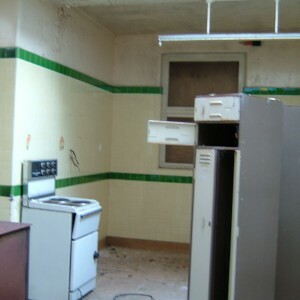 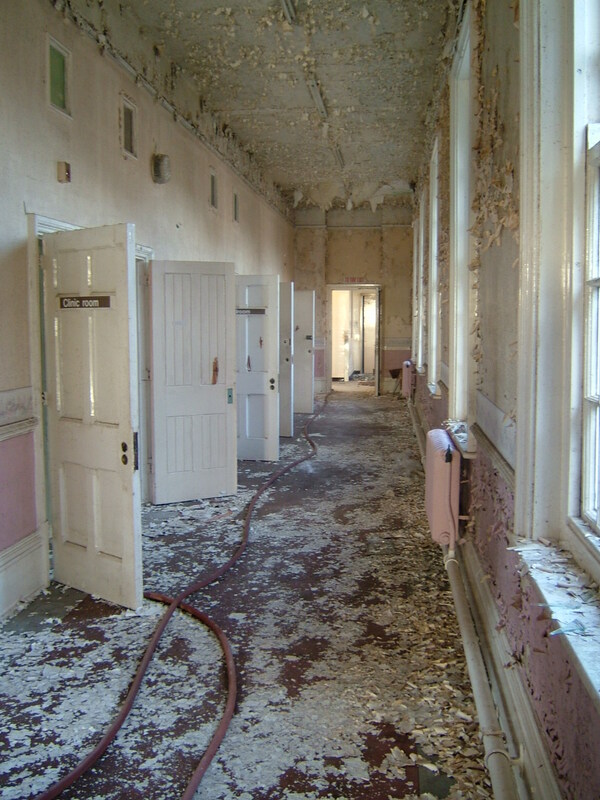 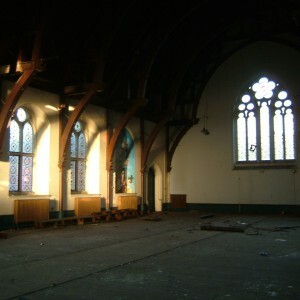 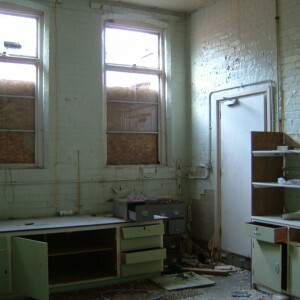 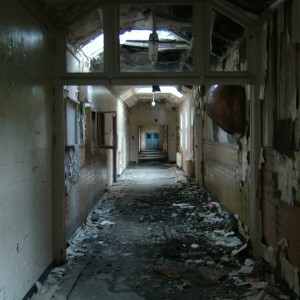 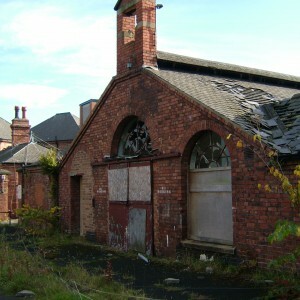 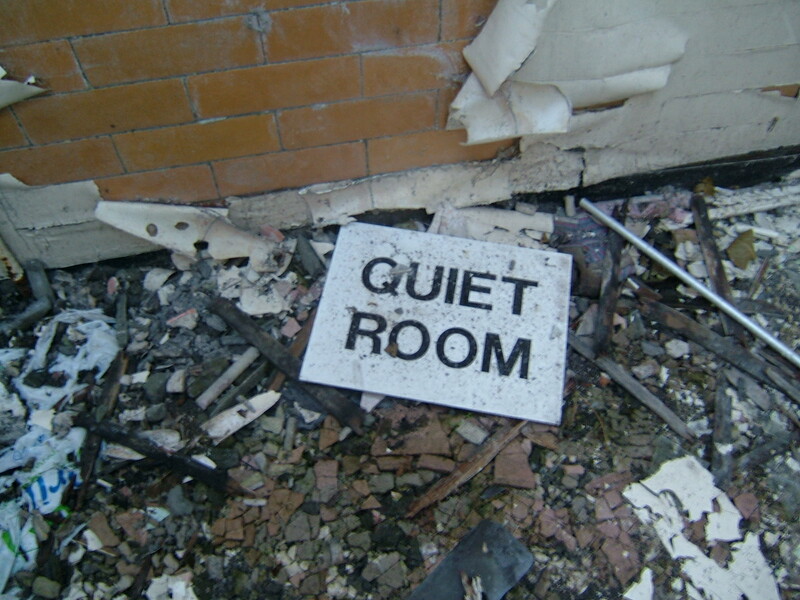 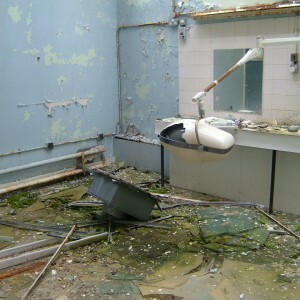 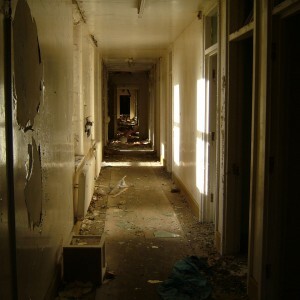 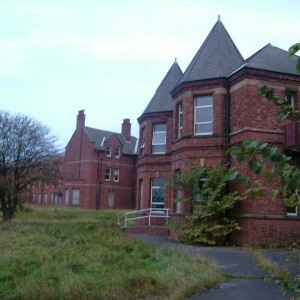 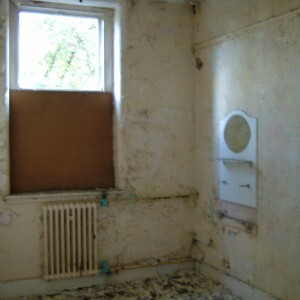 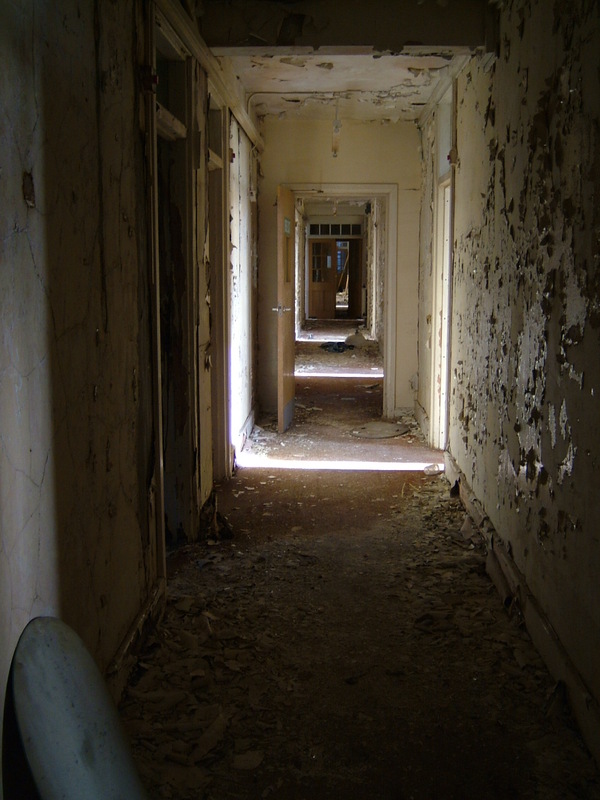 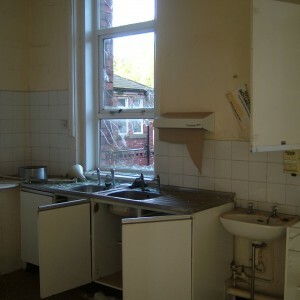 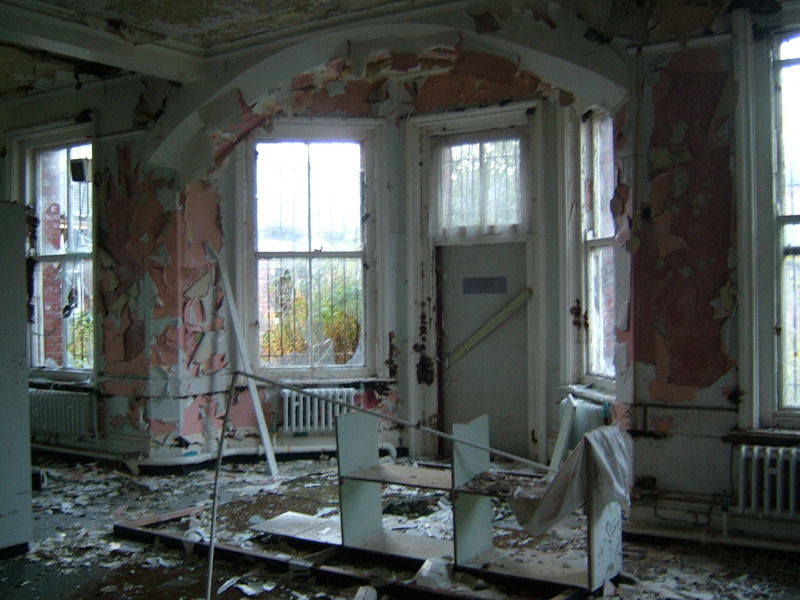 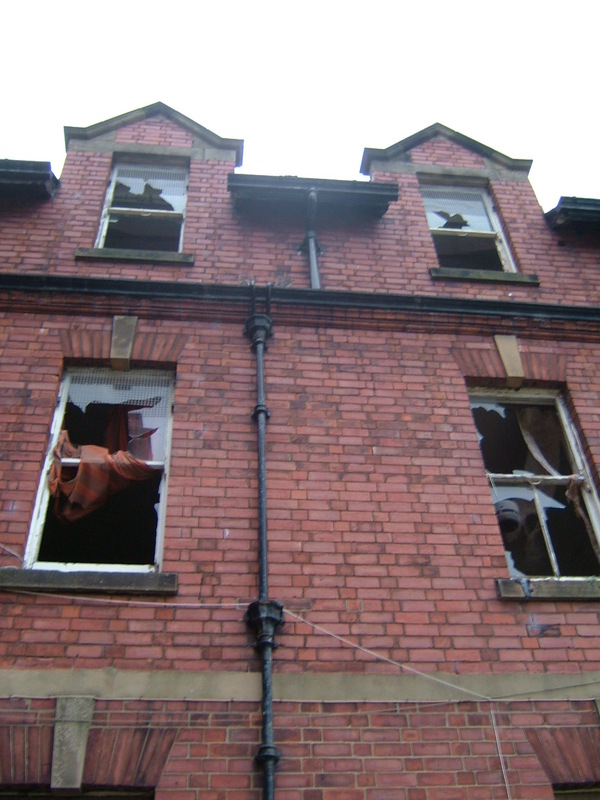 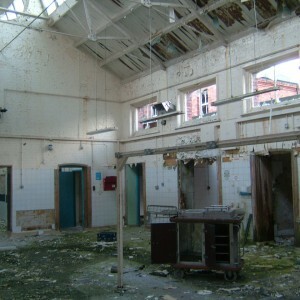 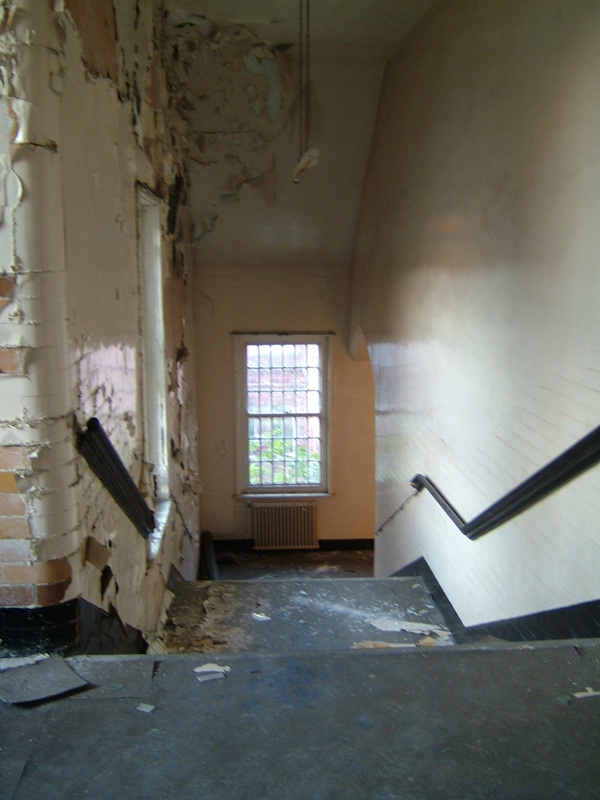 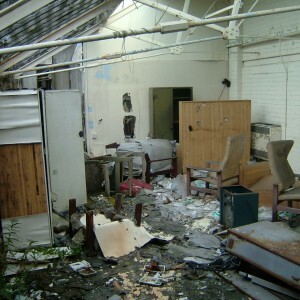 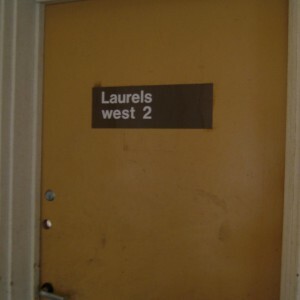 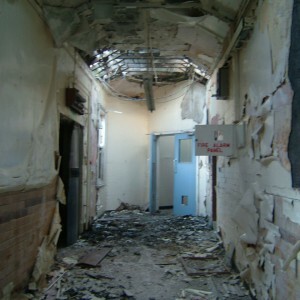 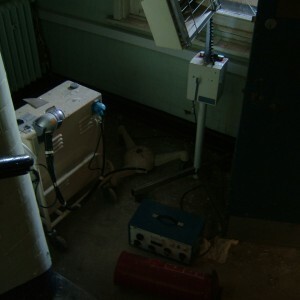 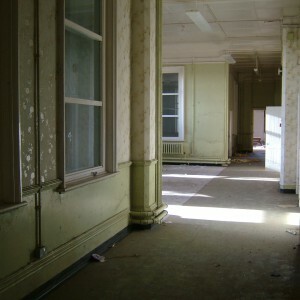 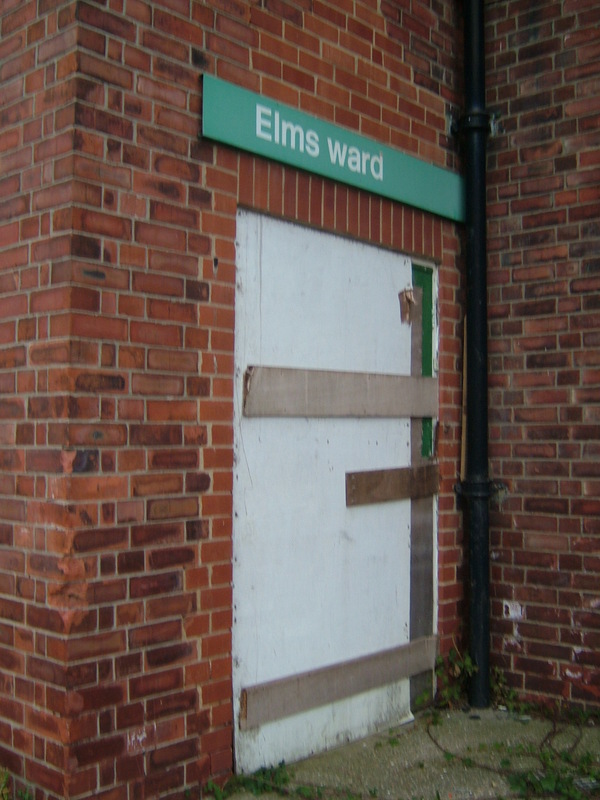 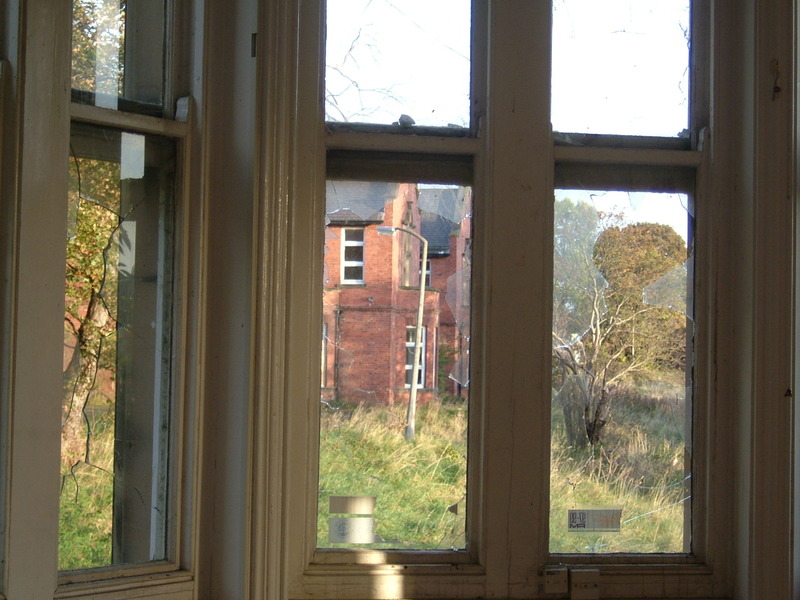 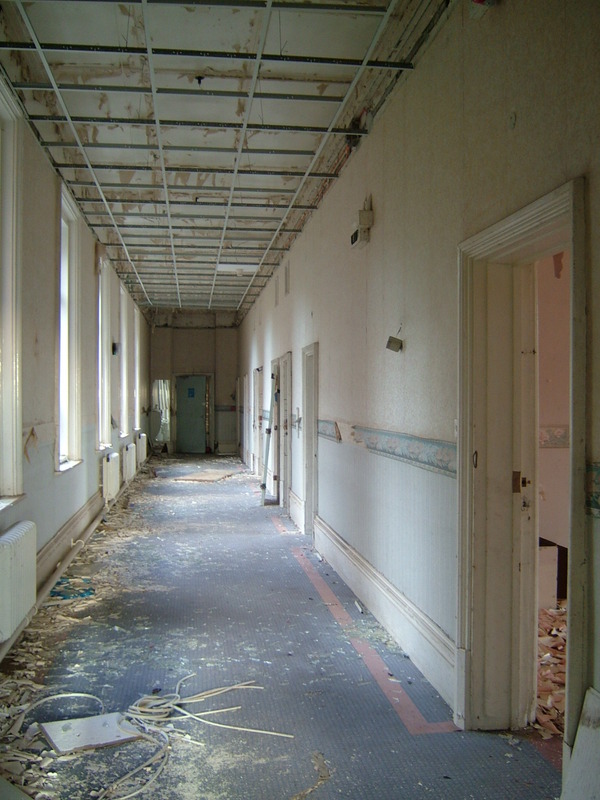 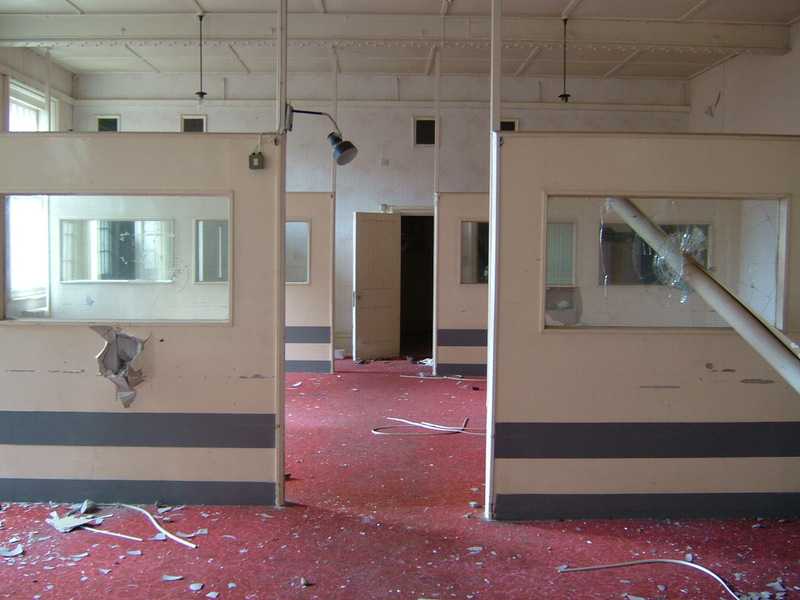 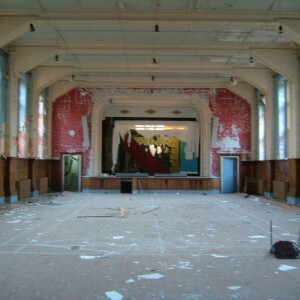 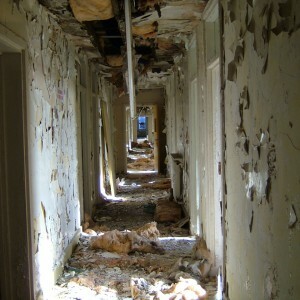 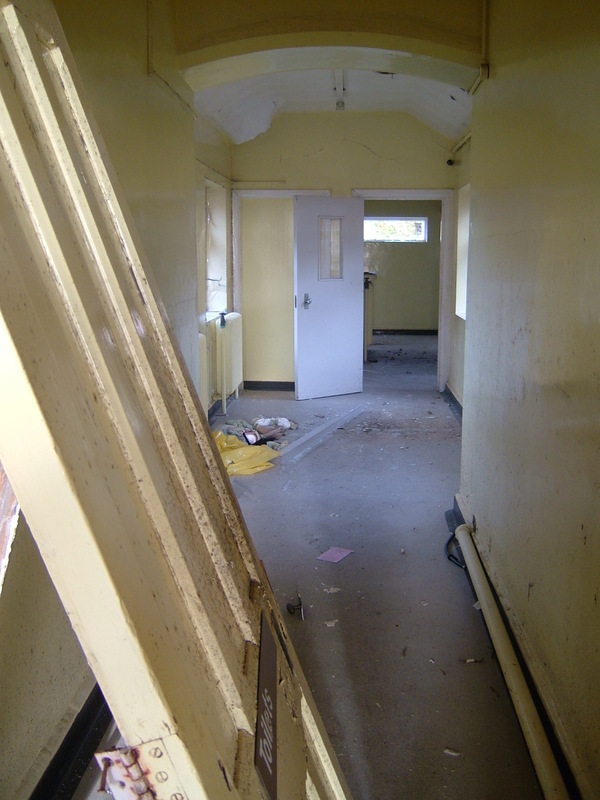 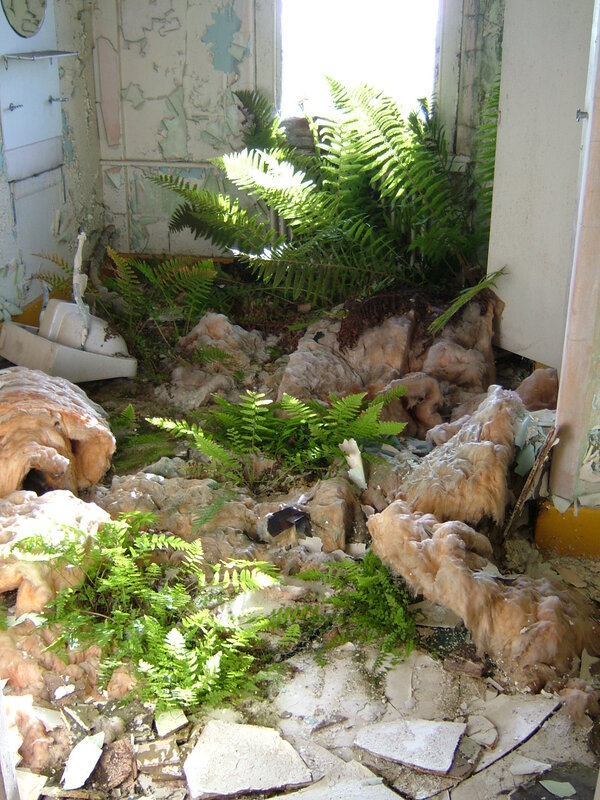 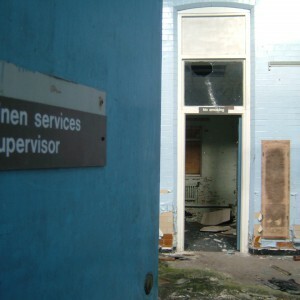 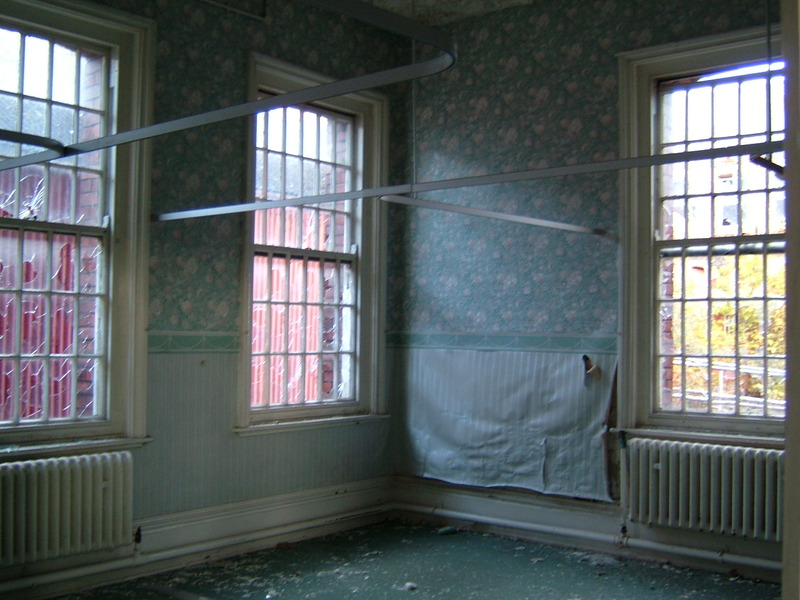 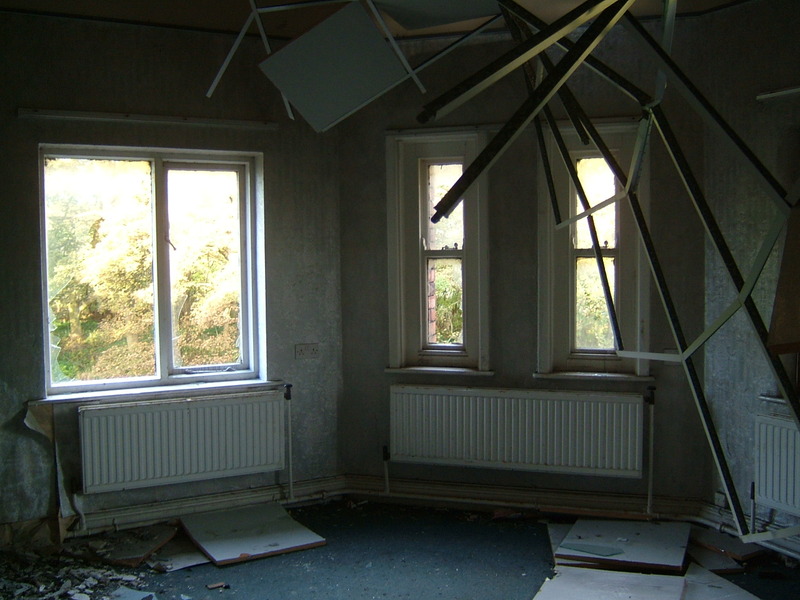 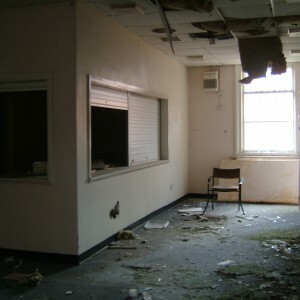 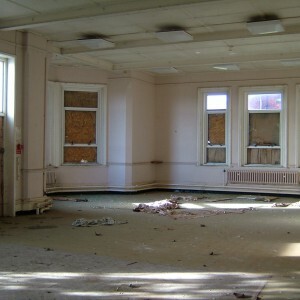 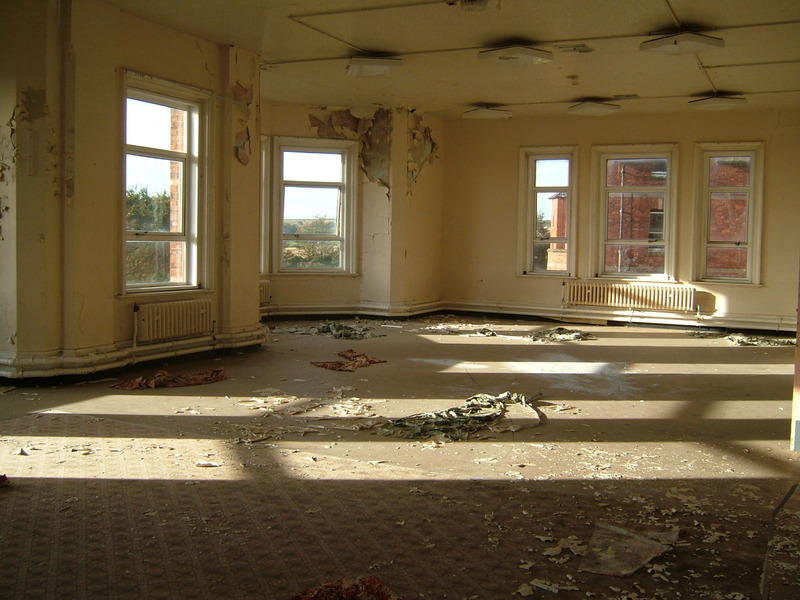 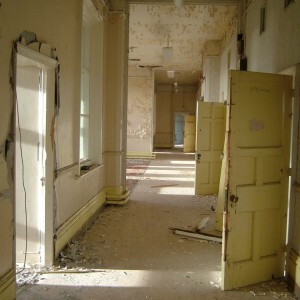 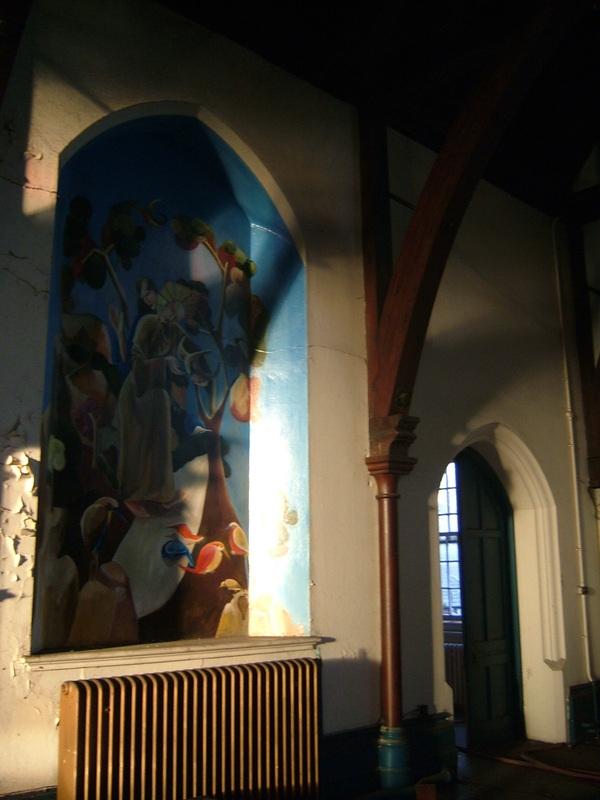 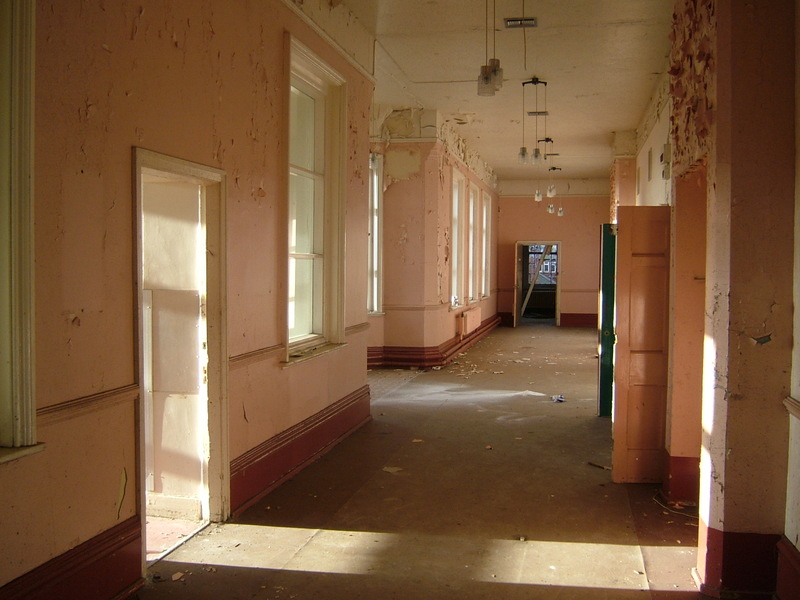 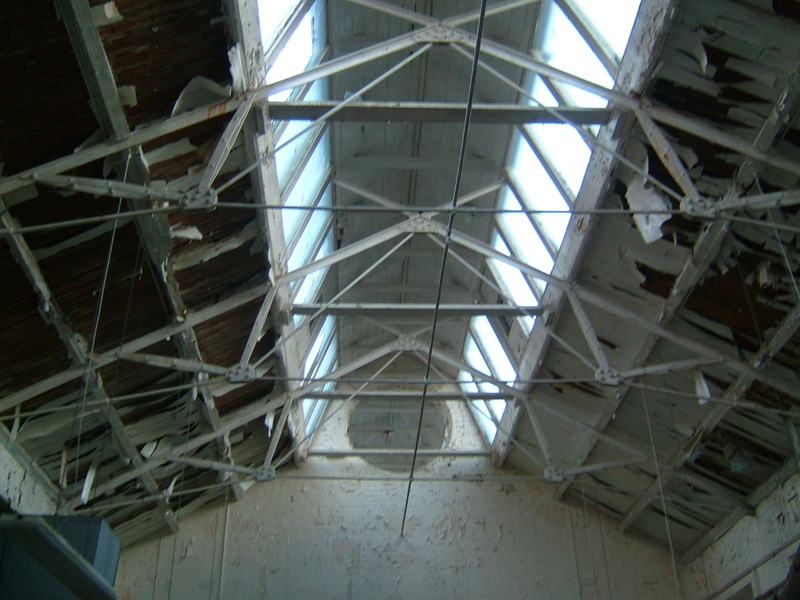 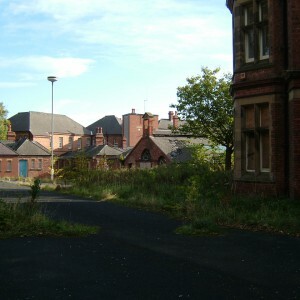 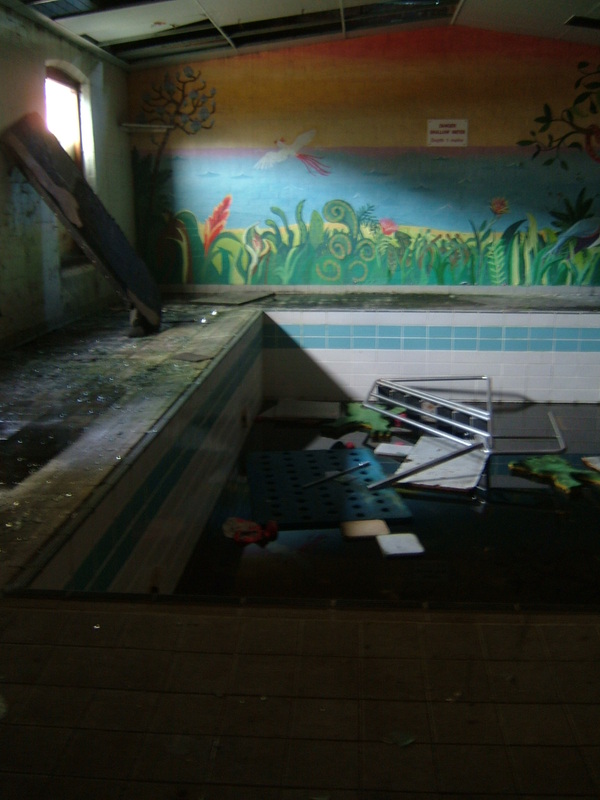 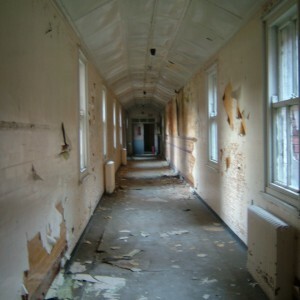 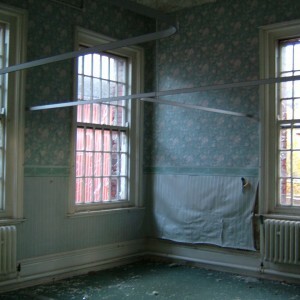 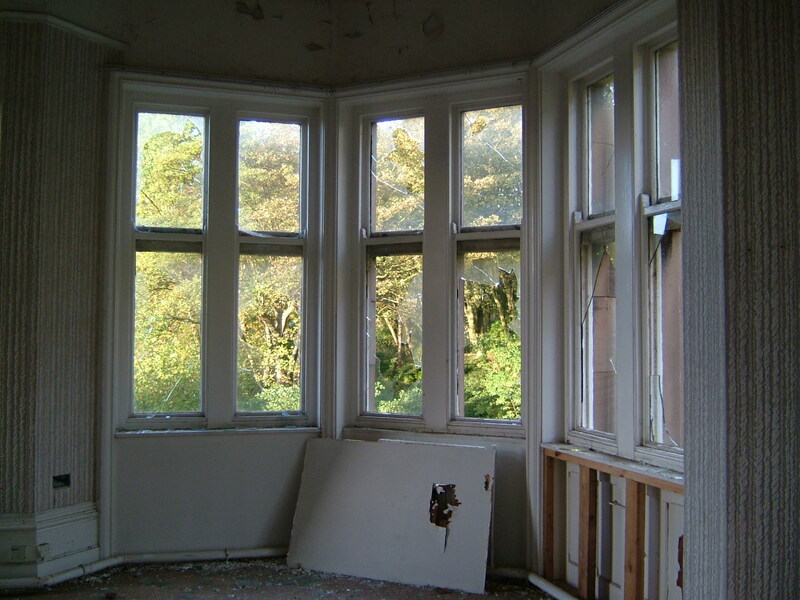 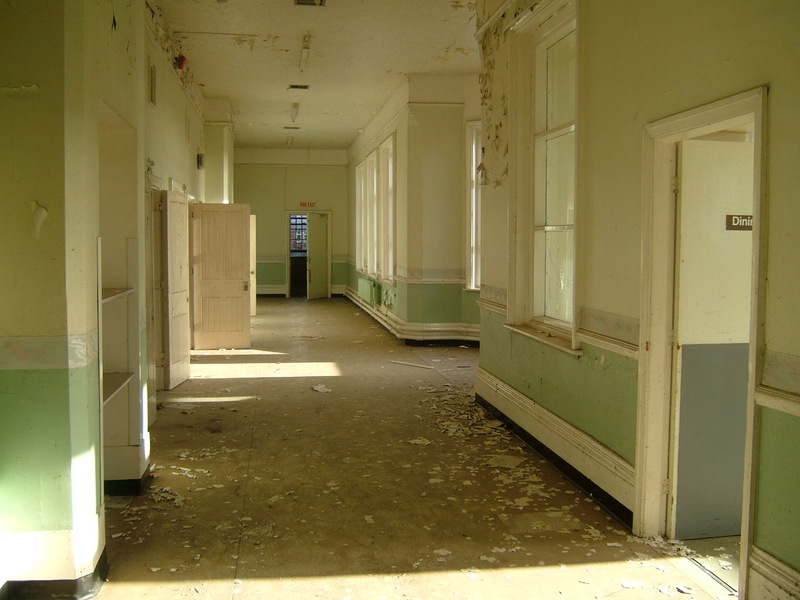 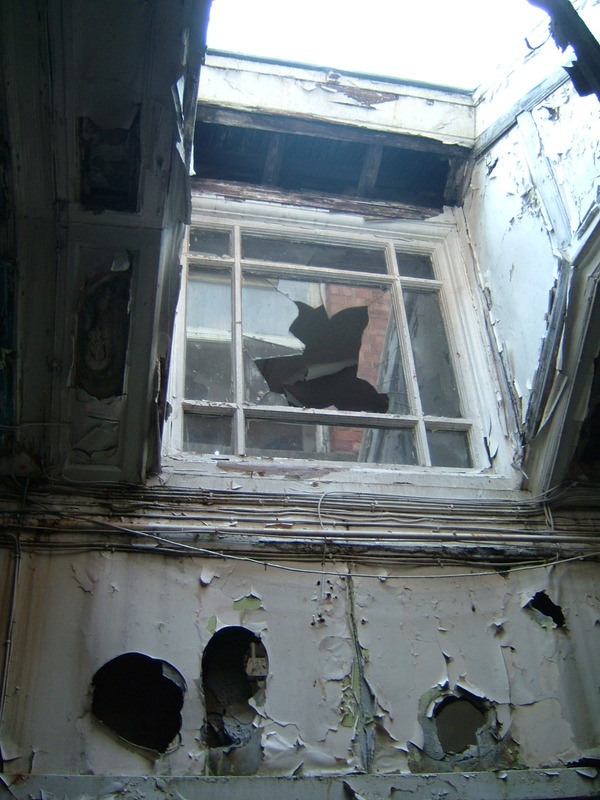 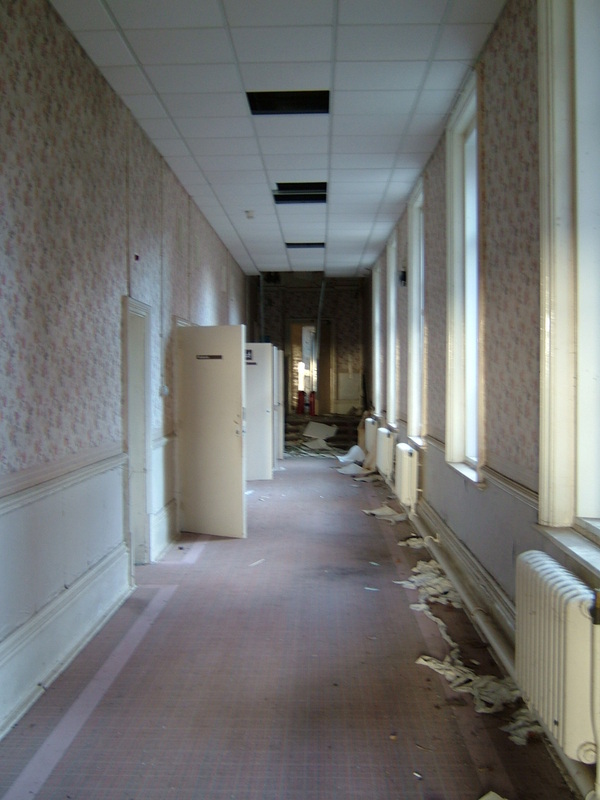 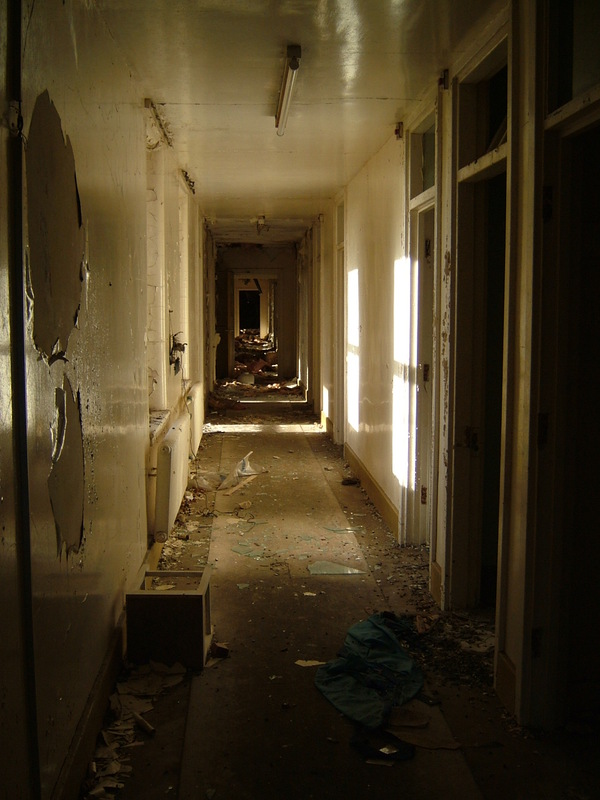 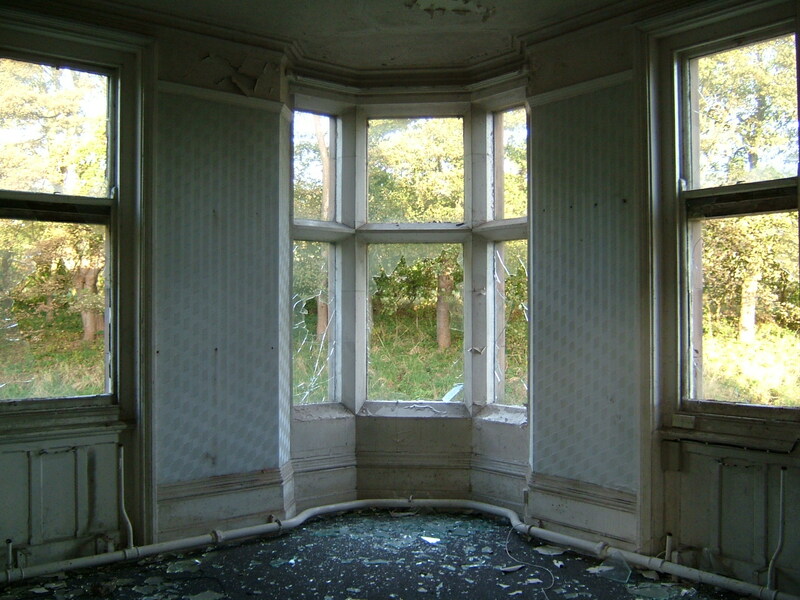 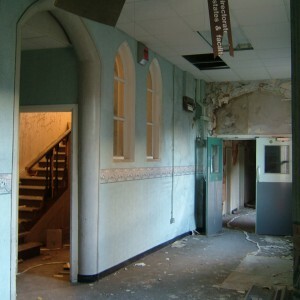 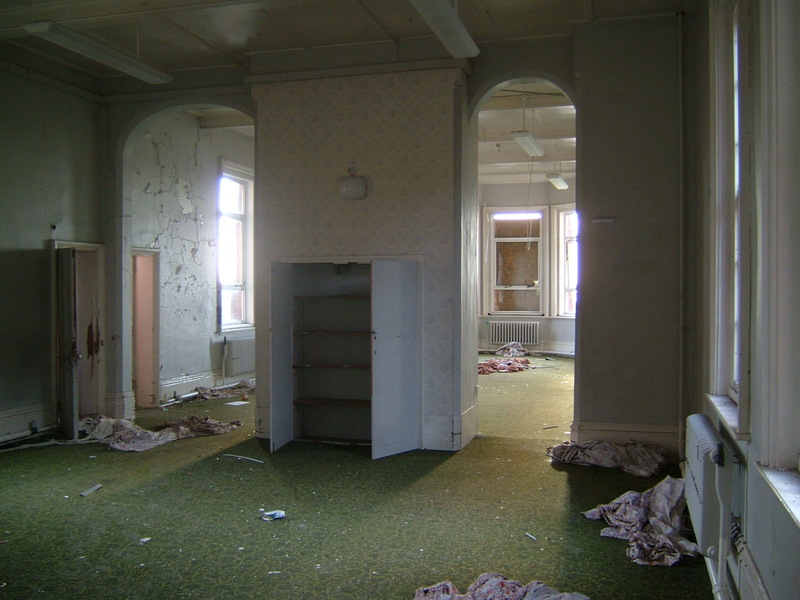 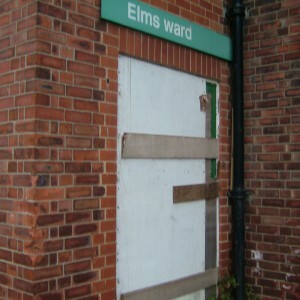 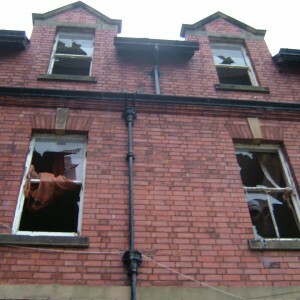 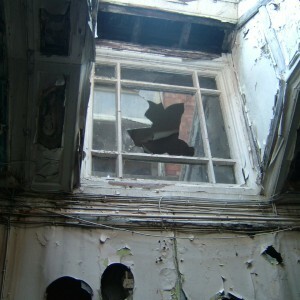 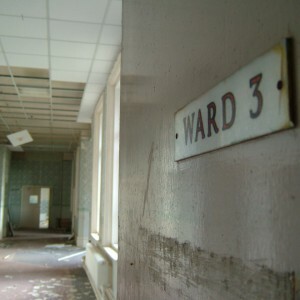 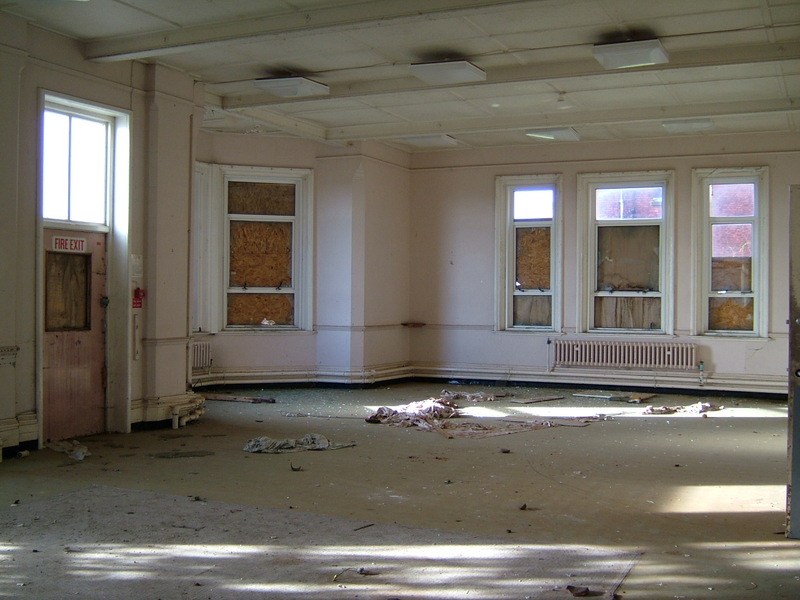 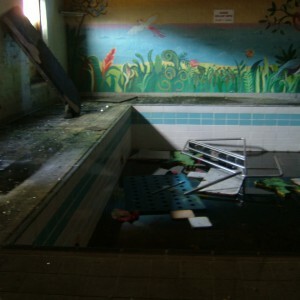 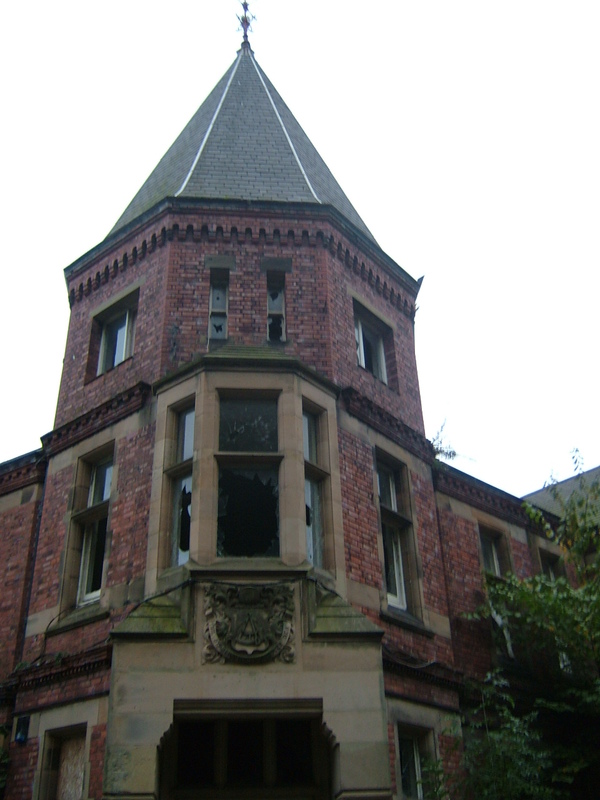 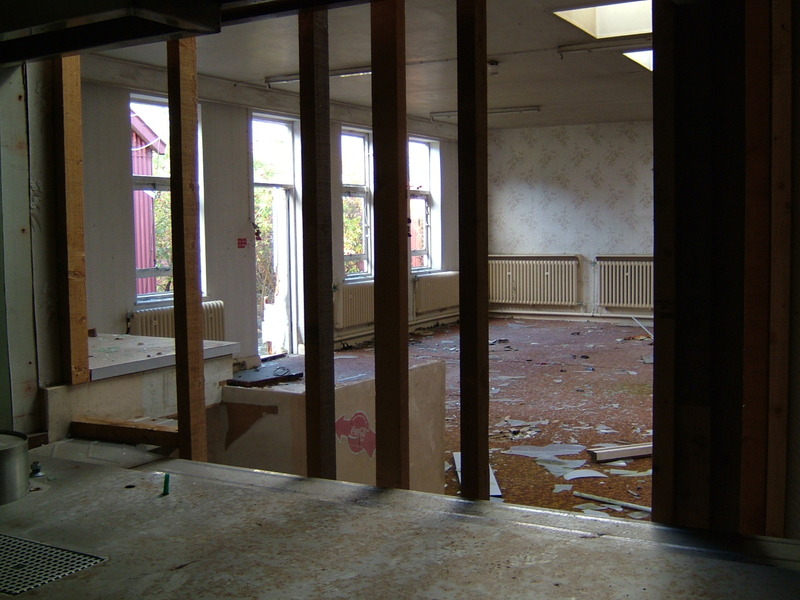 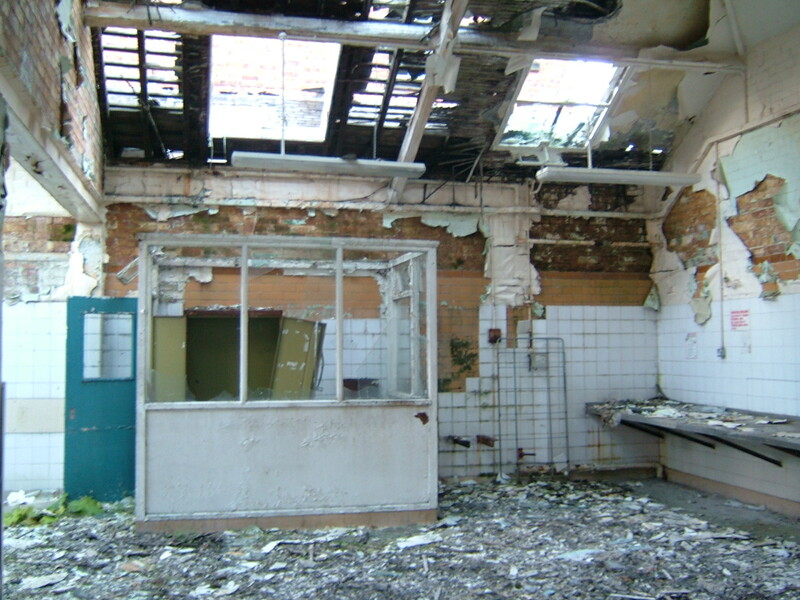 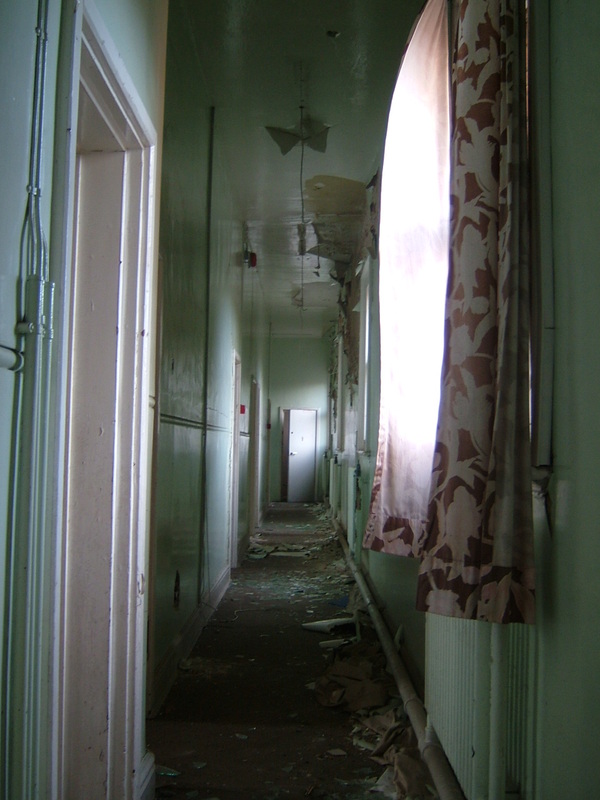 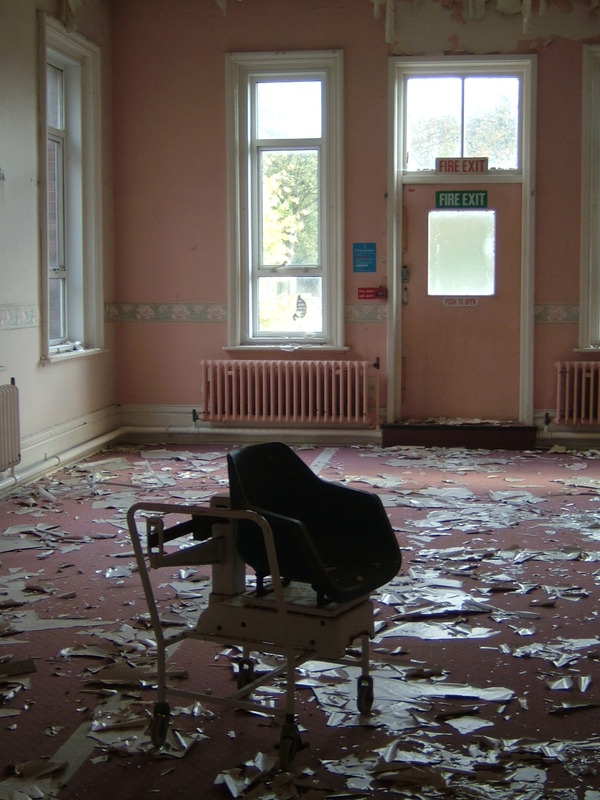 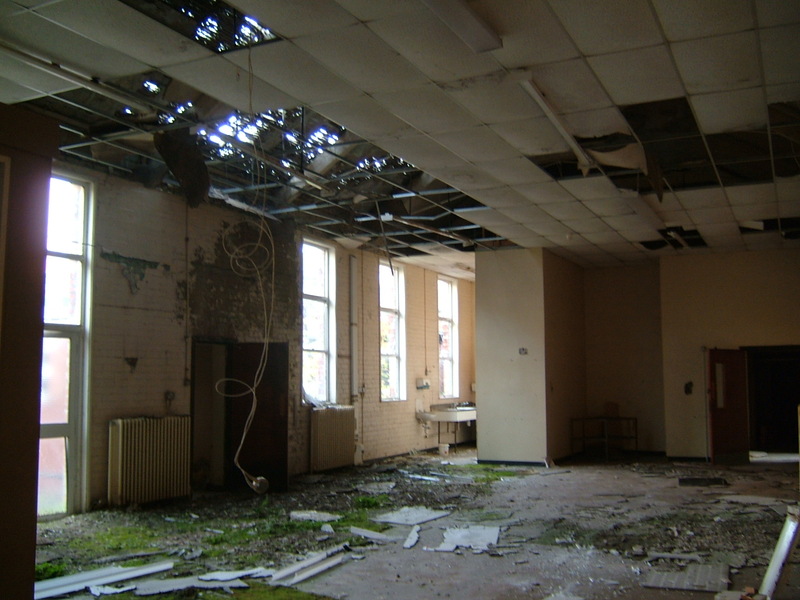 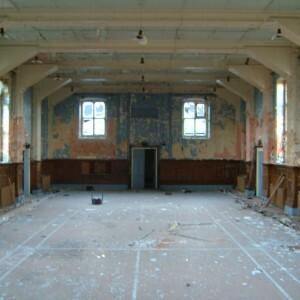 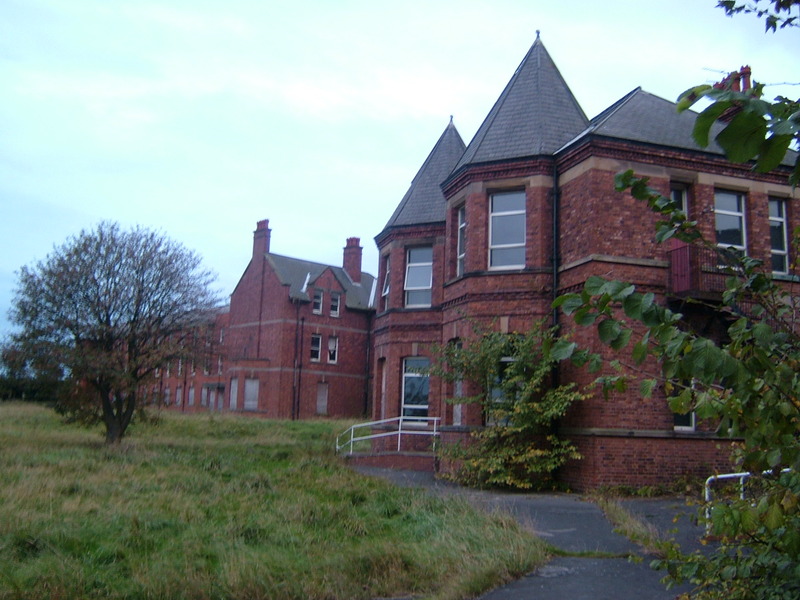 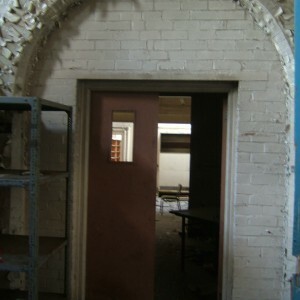 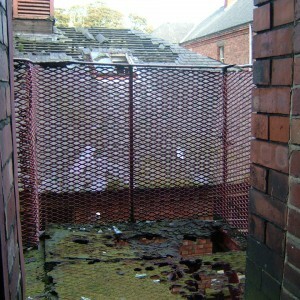 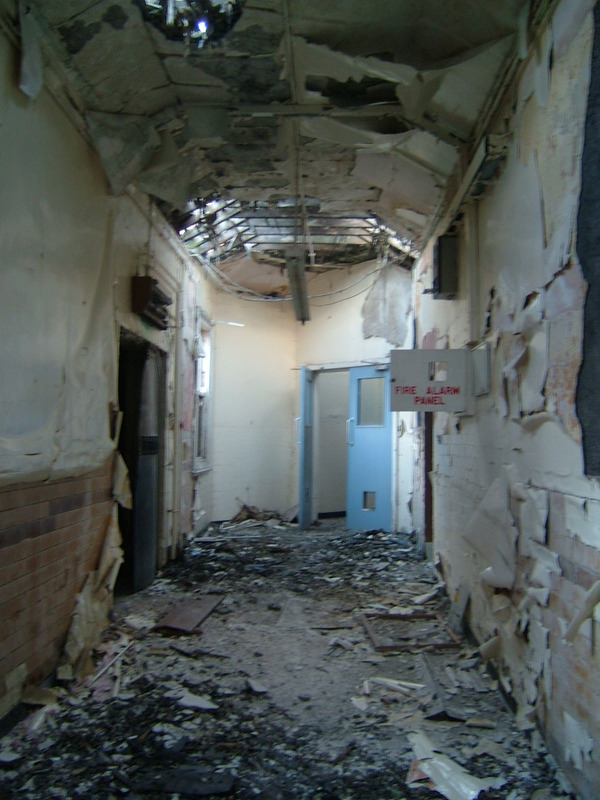 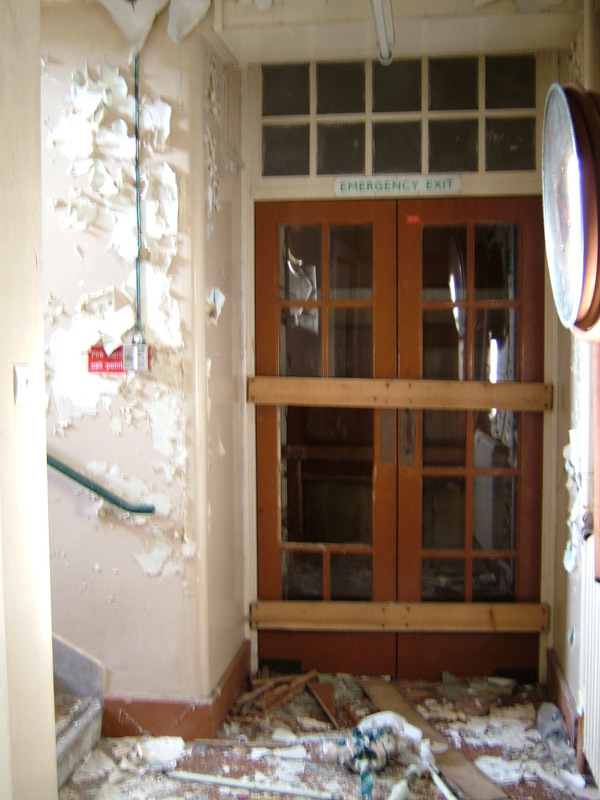 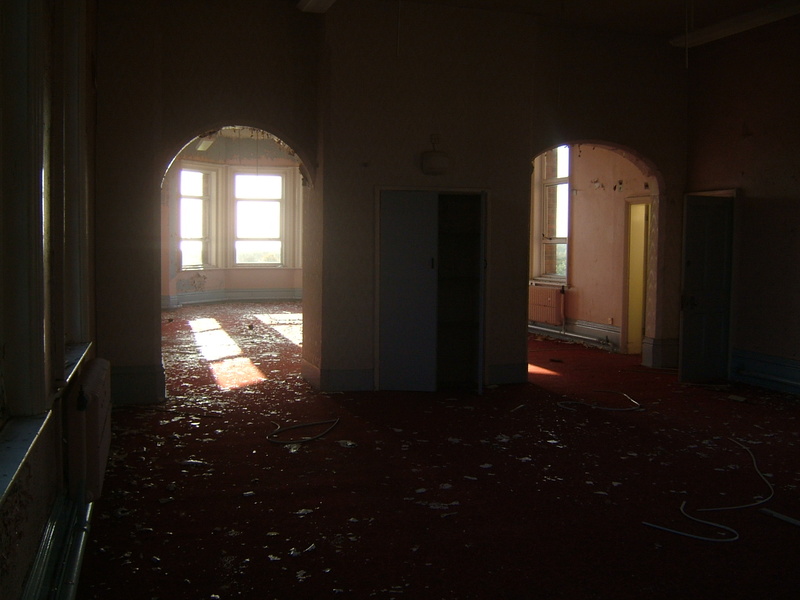 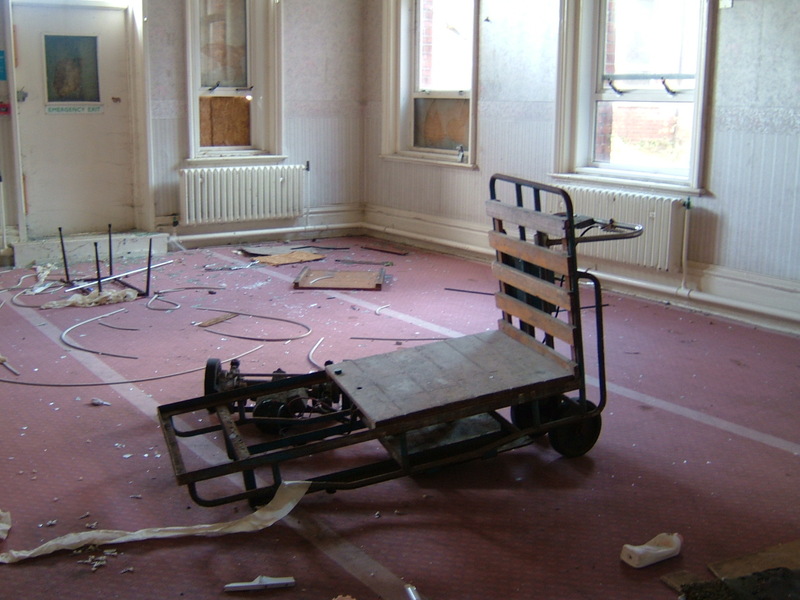 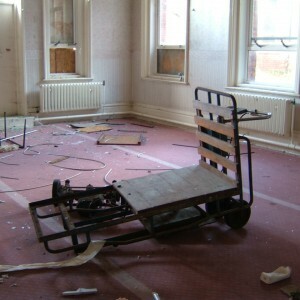 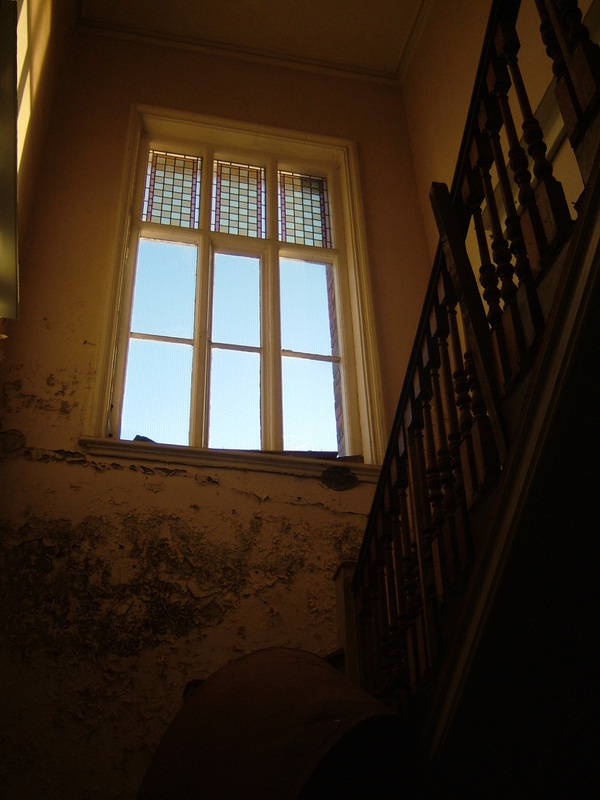 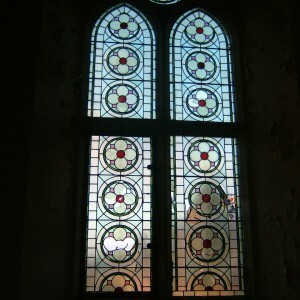 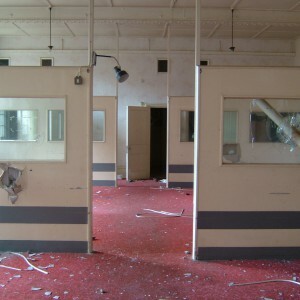 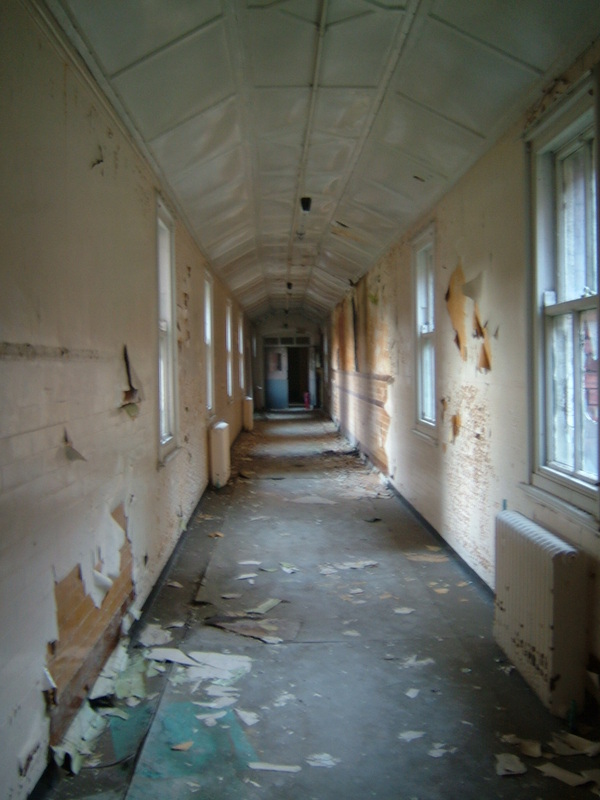 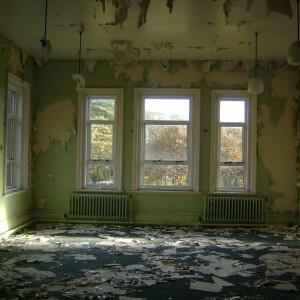 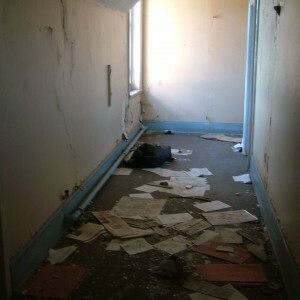 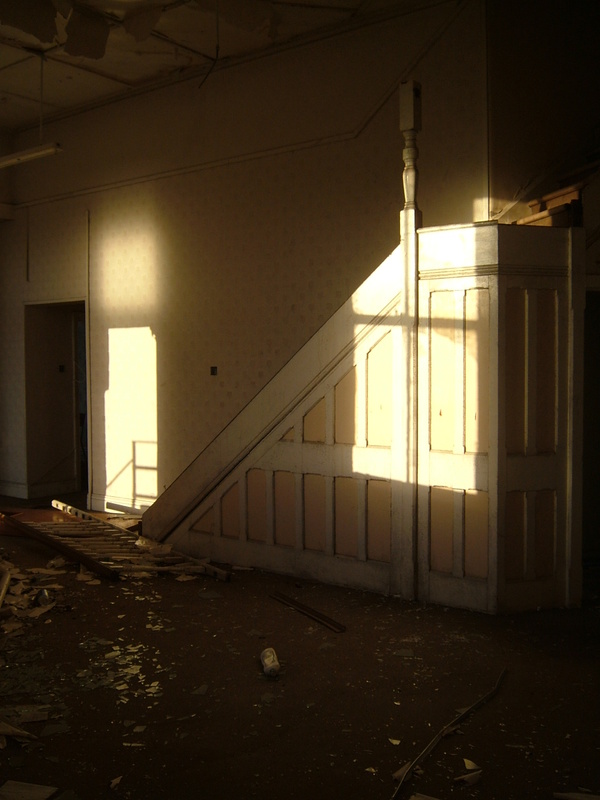 The majority of the original buildings were disused and derelict for many years following closure but have now been demolished, with later buildings and staff accomodation still in NHS use. 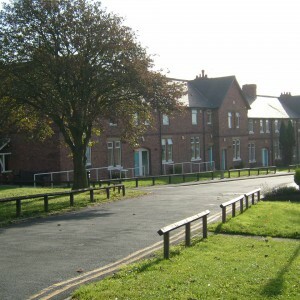 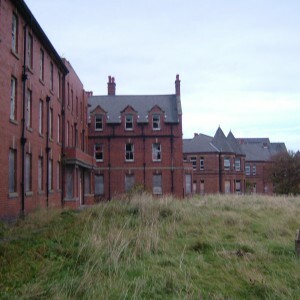 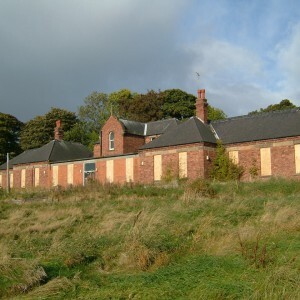 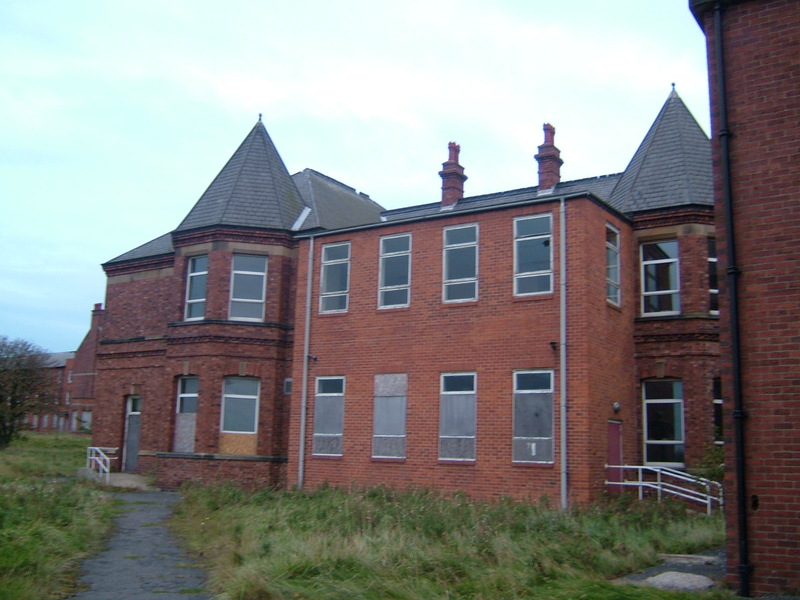 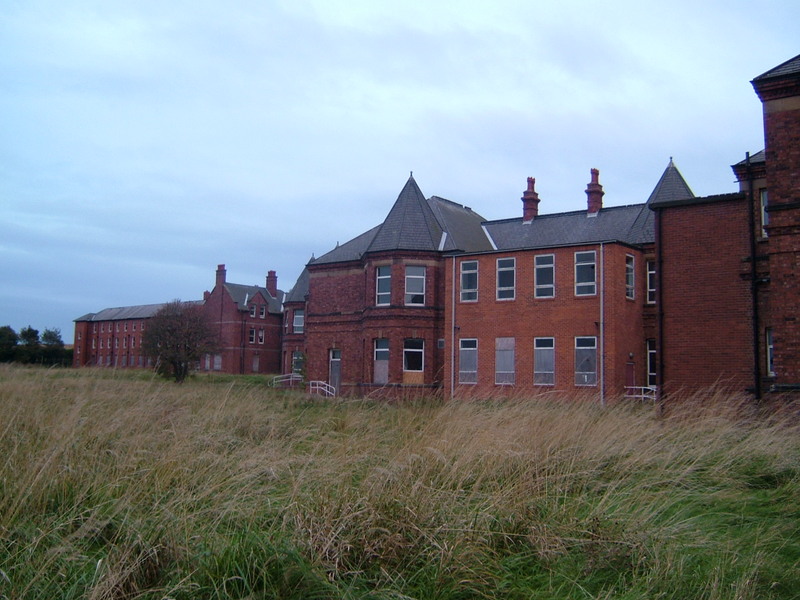 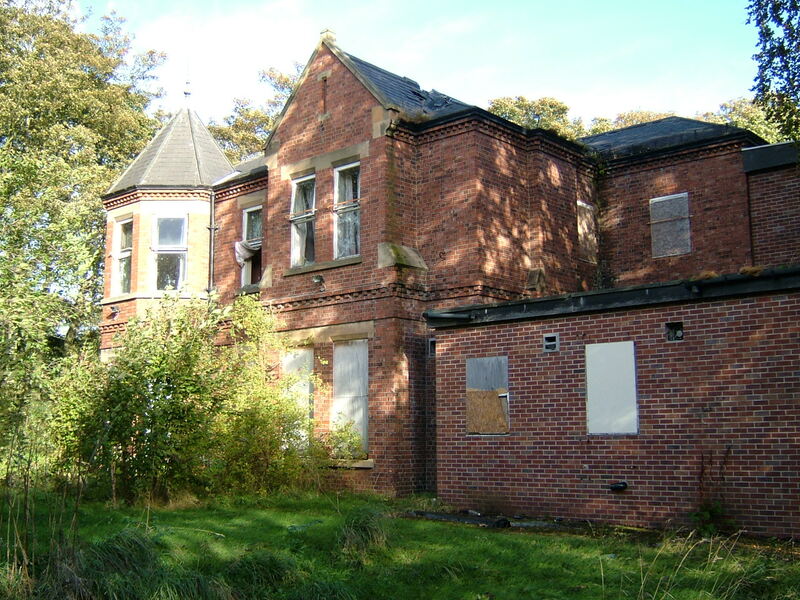 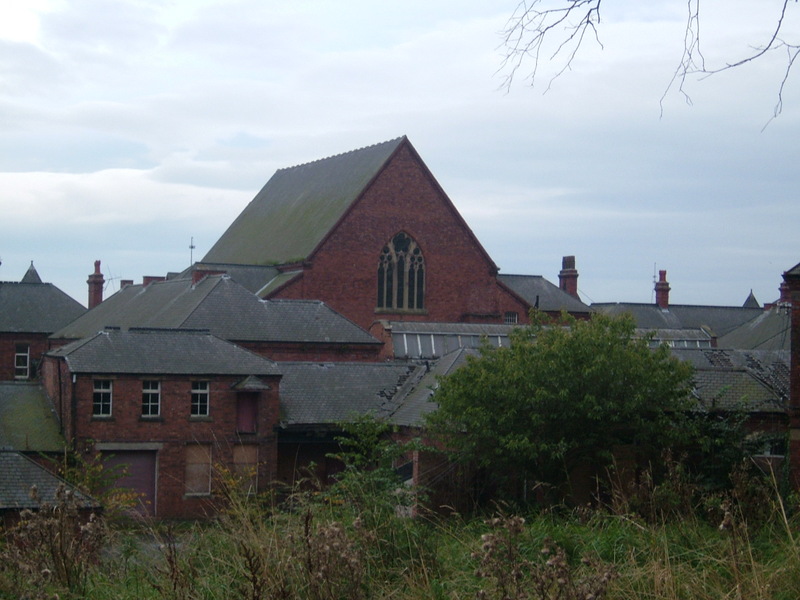 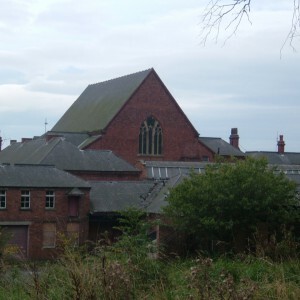 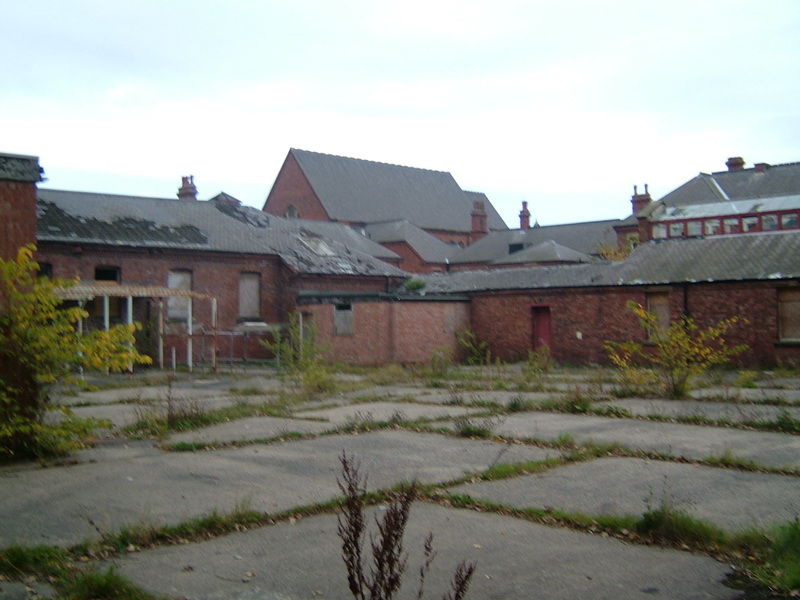 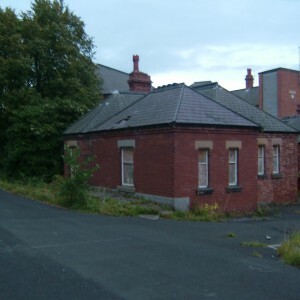 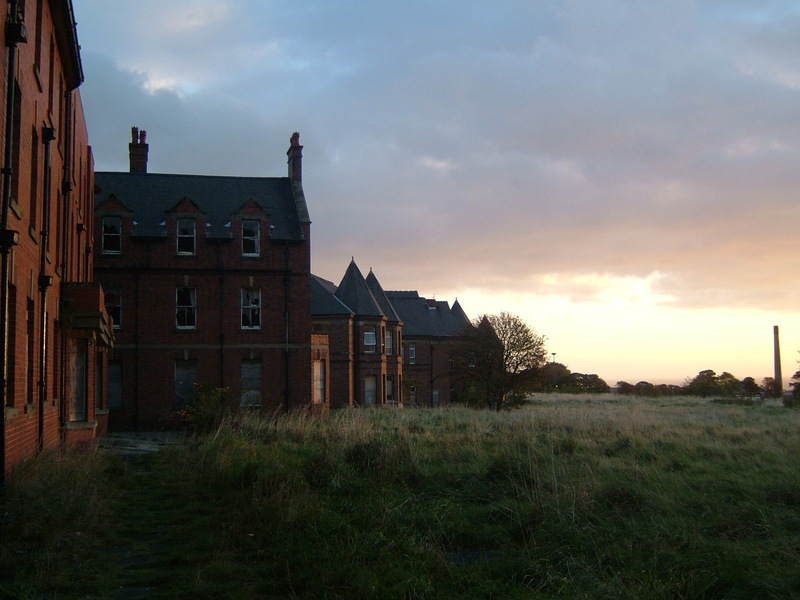 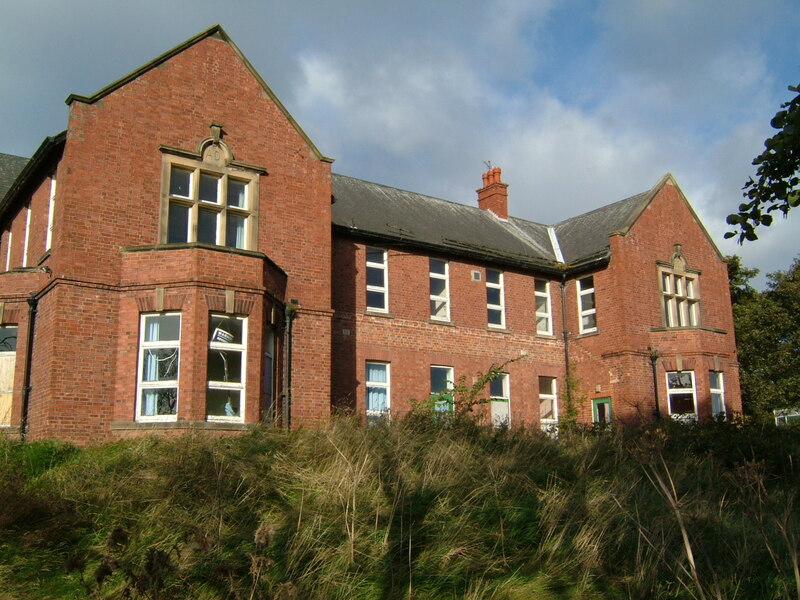 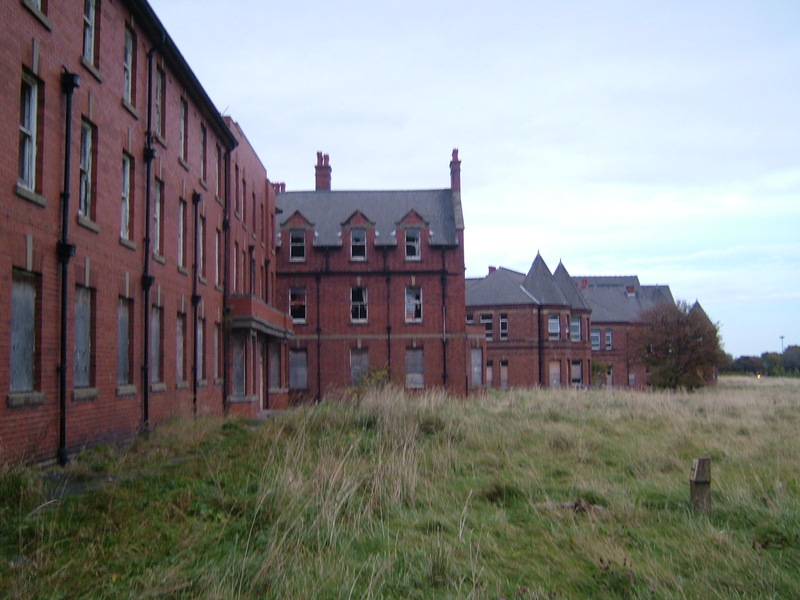 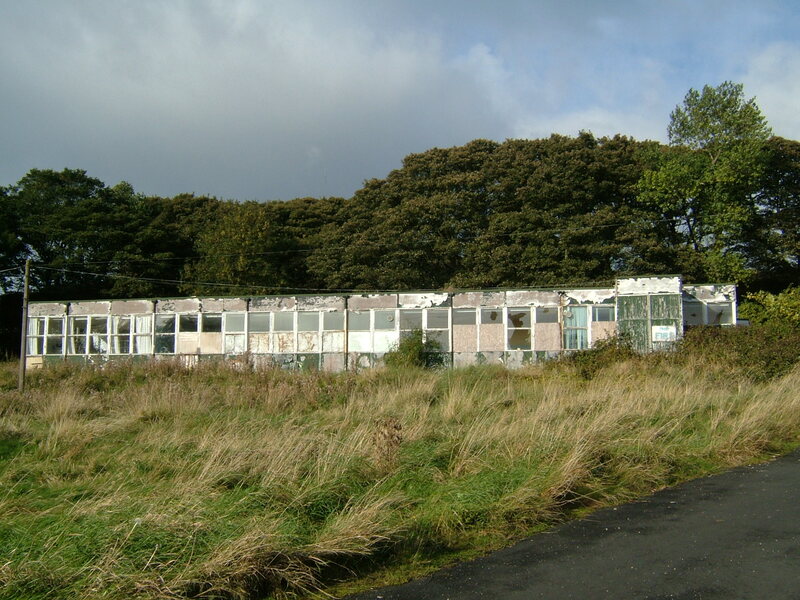 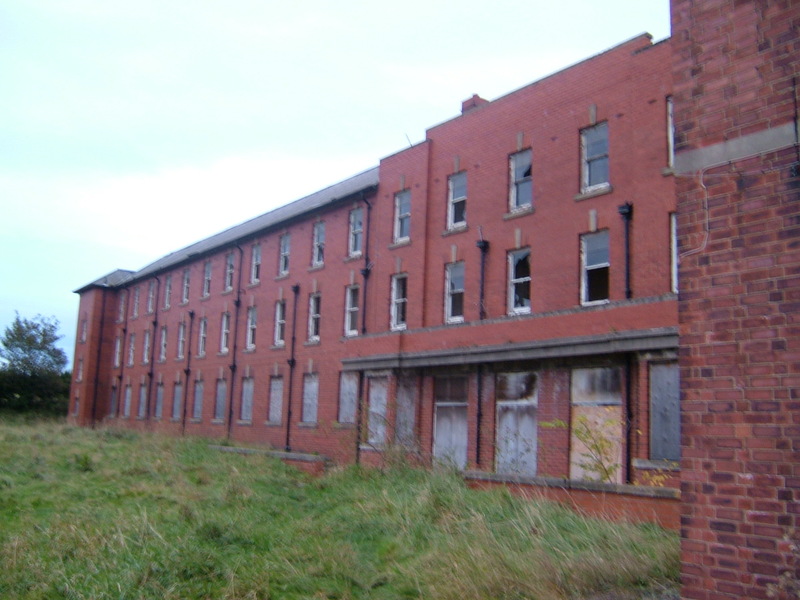 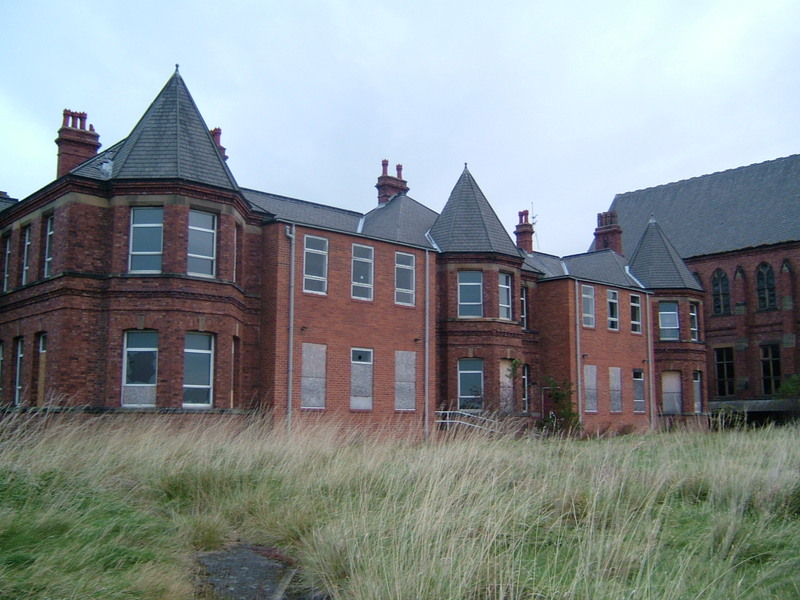 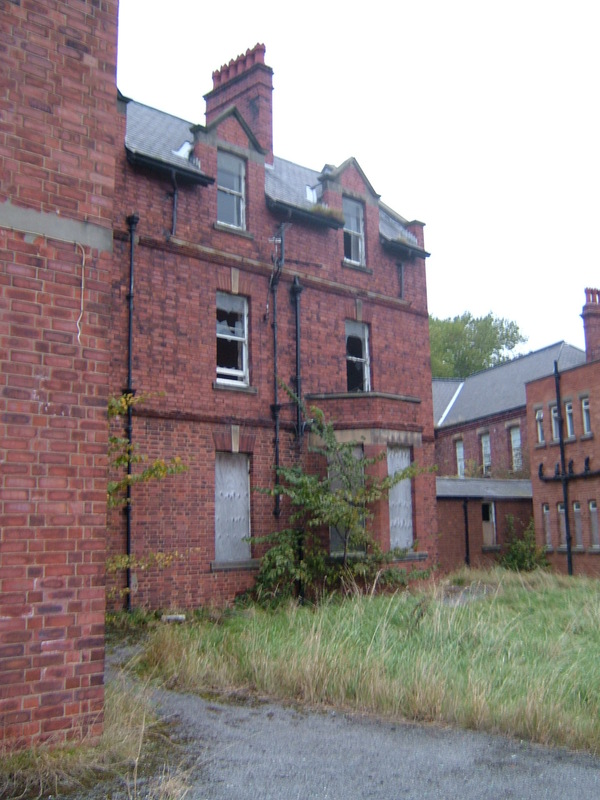 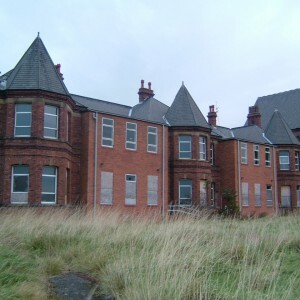 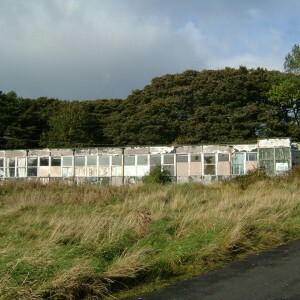 Plans for redevelopment of the entire site are to include reprovision of existing mental health facilities, reconstruction of Ryhope General Hospital, with remaining land and open space to be used for housing development.